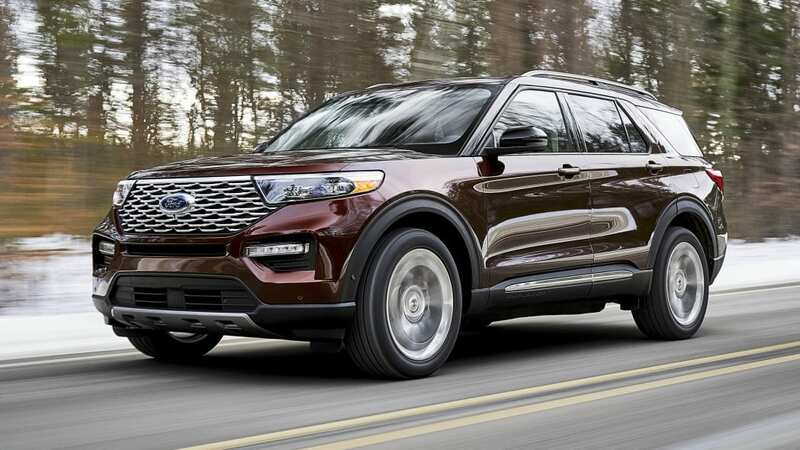 The 2020 Ford Explorer has finally landed, and if history serves as an indicator, it should be bigger than sliced bread. 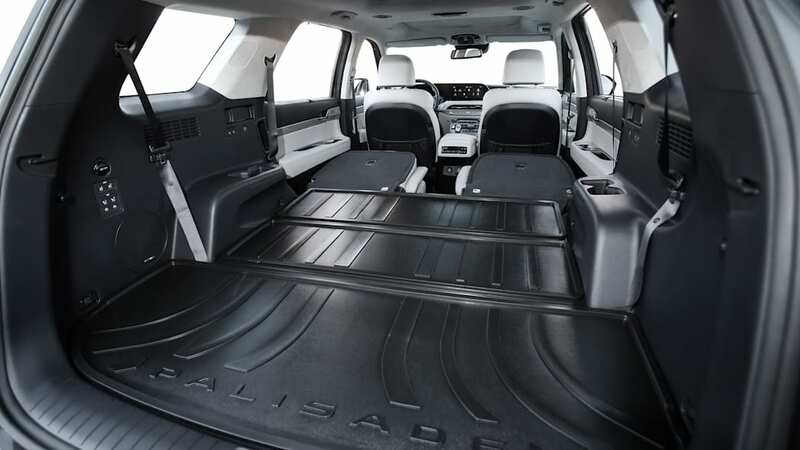 And people sure love themselves some sliced bread. 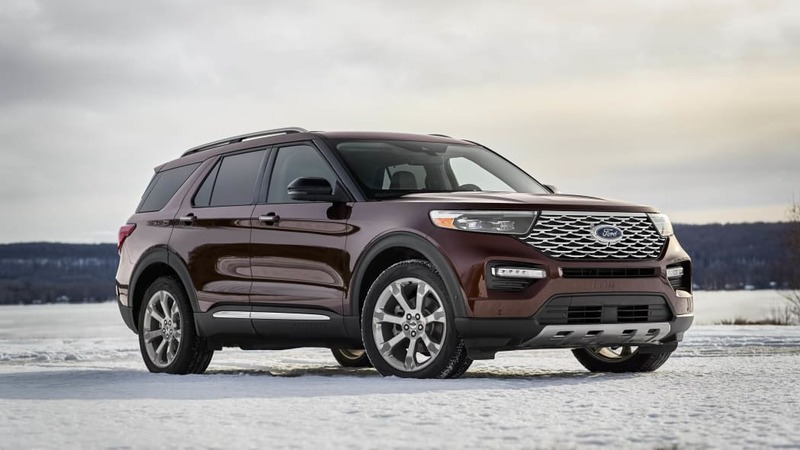 This new Explorer may look familiar on the outside, but beneath the skin is a radically new rear-drive platform related to the Ford Mustang (as opposed to a front-drive platform related to the Ford Taurus and a Volvo from the 1990s). 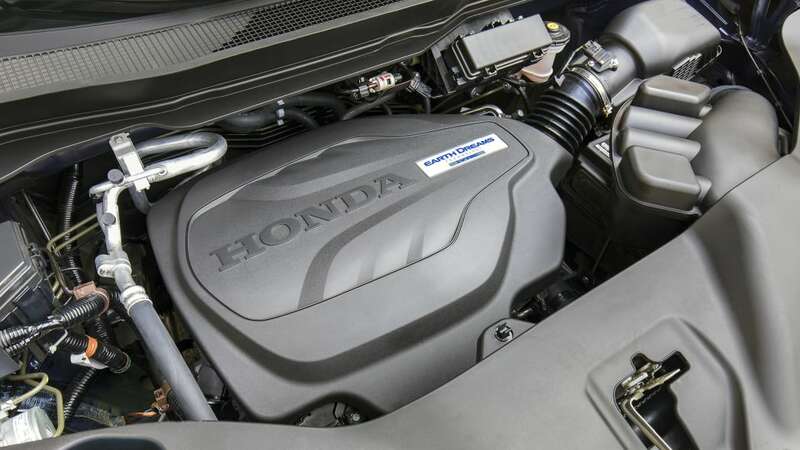 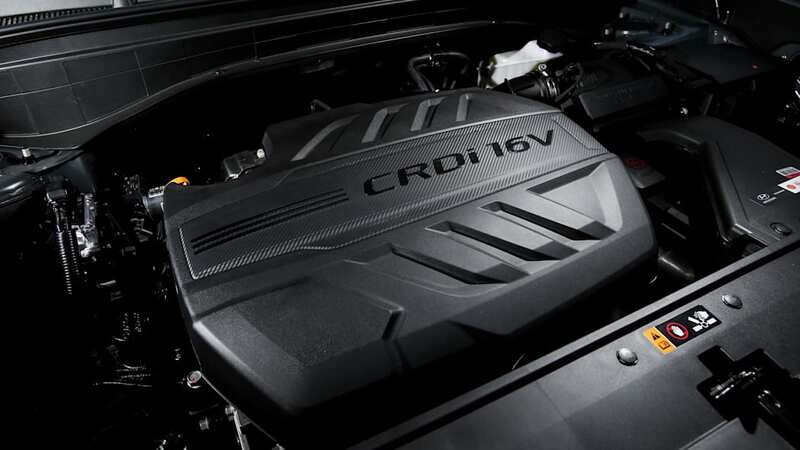 Turbocharged four- and six-cylinder engines now exclusively rest under its hood, which as you'll see below, both better anything its competitors offer. 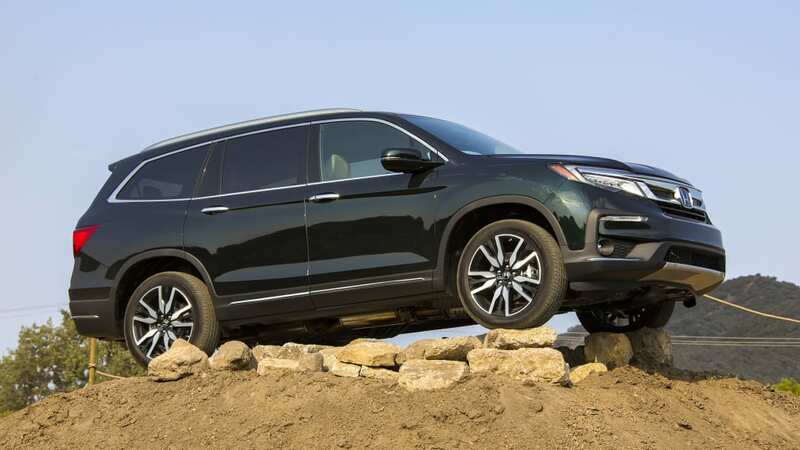 Ah, but if you're curious to know how the new 2020 Explorer compares to its various three-row family crossover rivals, take a look at the chart below where we stack it up against the 2019 Chevrolet Traverse, 2019 Honda Pilot, 2020 Hyundai Palisade, 2019 Subaru Ascent and 2019 Toyota Highlander. 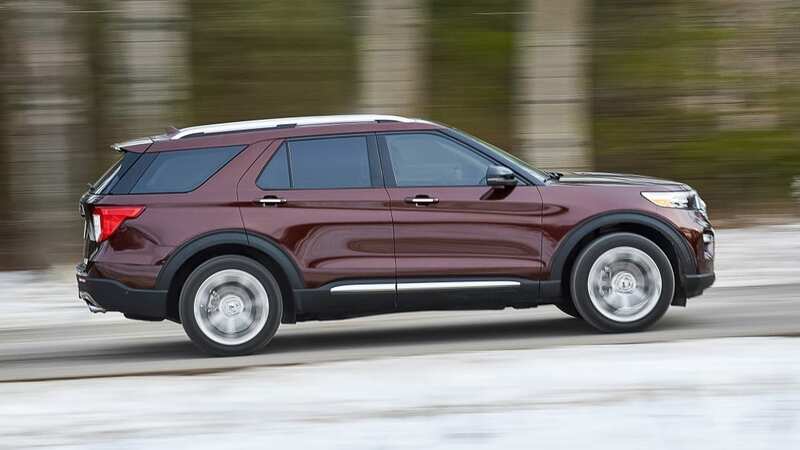 There are others of course (Mazda CX-9, Dodge Durango, GMC Acadia, VW Atlas), but we only had so much room on the chart, and these were the newest and/or most likely to be cross-shopped with the new Explorer. 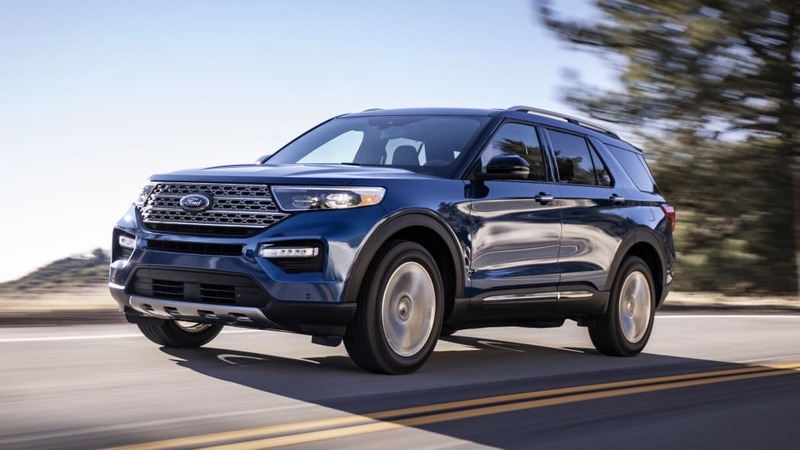 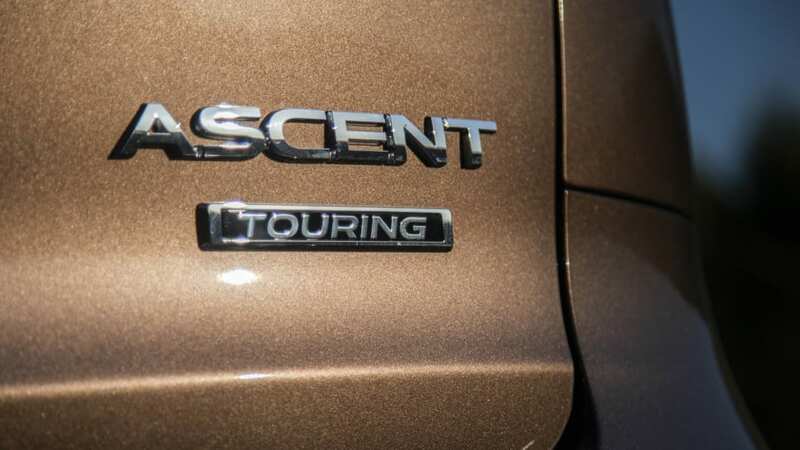 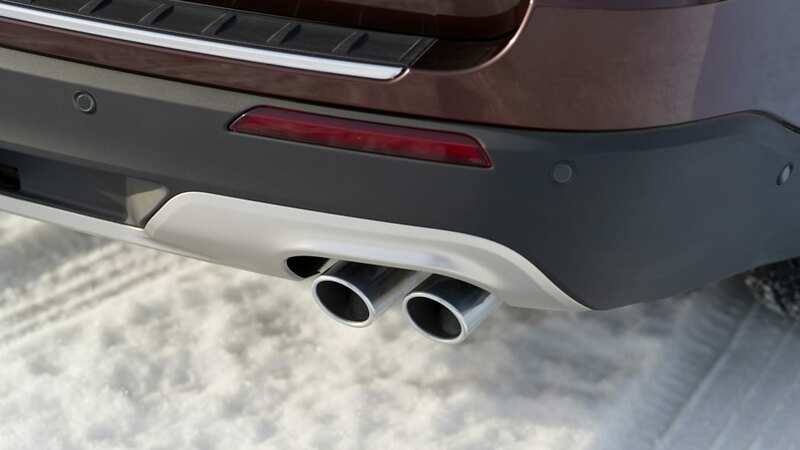 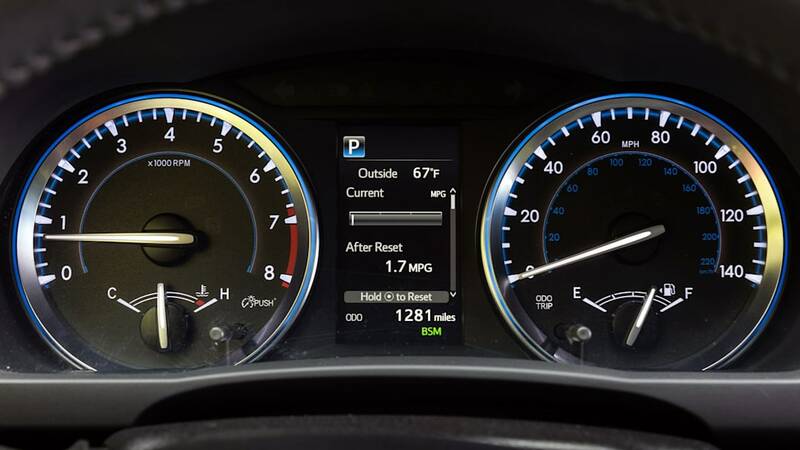 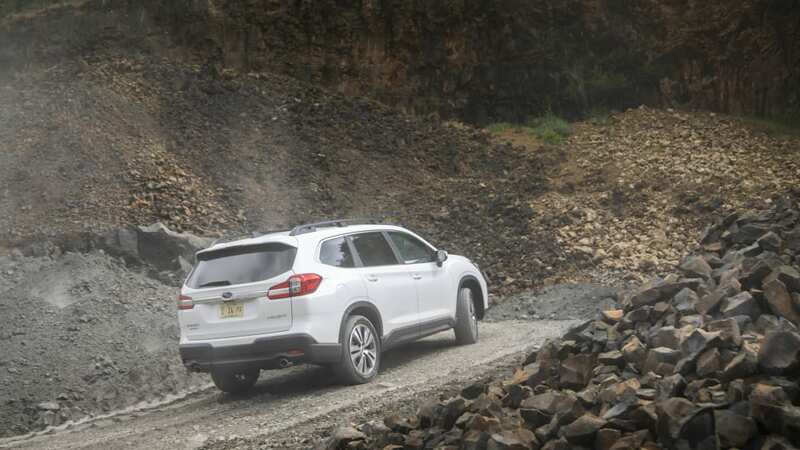 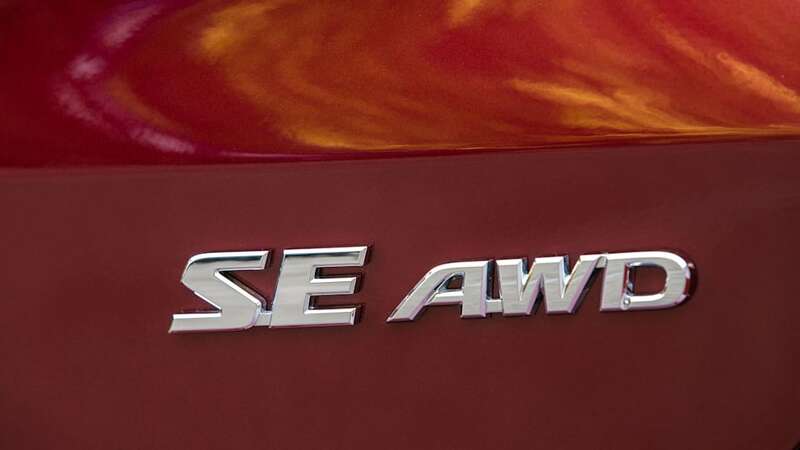 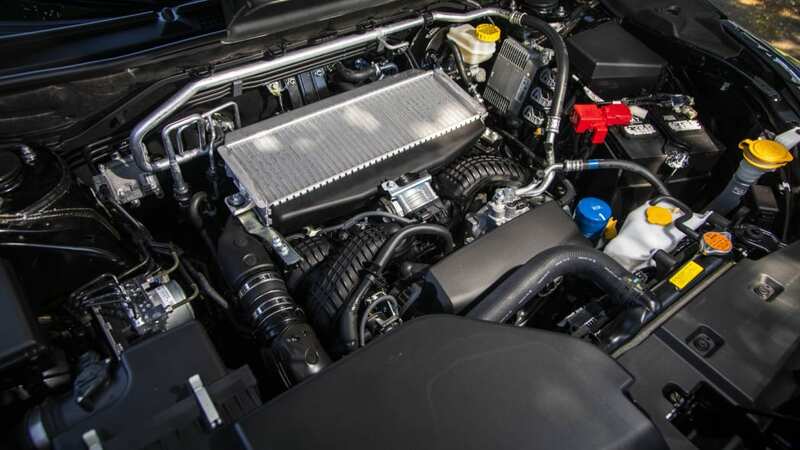 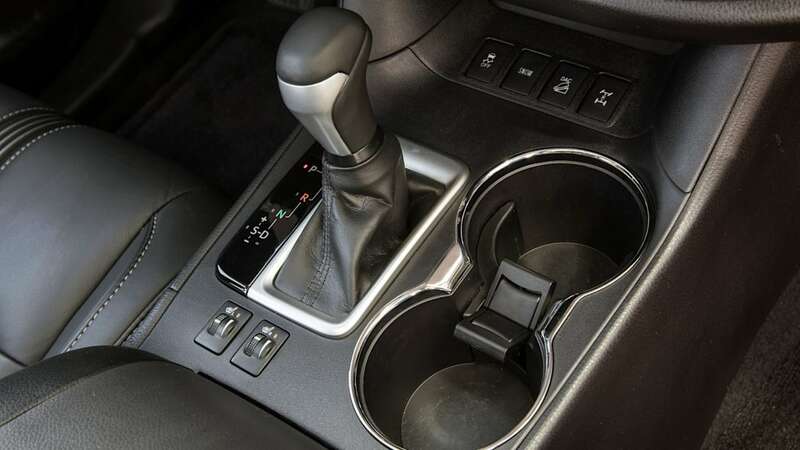 Although the Traverse's V6 just nips it on horsepower, the 2020 Explorer's base 2.3-liter "EcoBoost" turbocharged four-cylinder engine smokes it on torque. 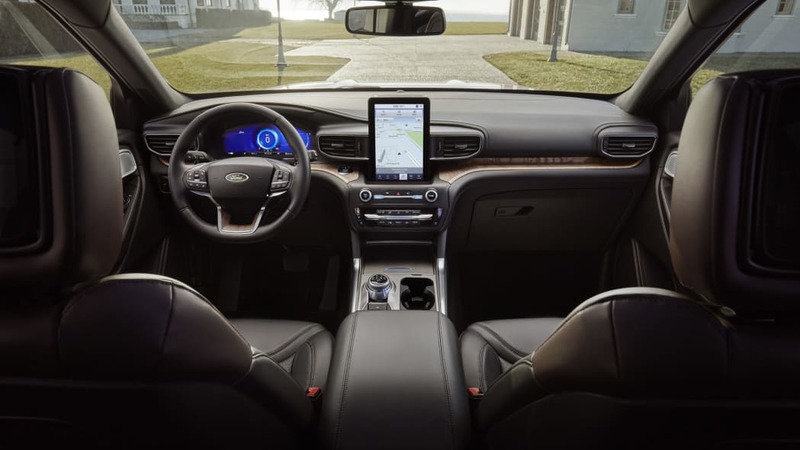 Therefore, "best-in-class" power seems like a fair claim from Ford. 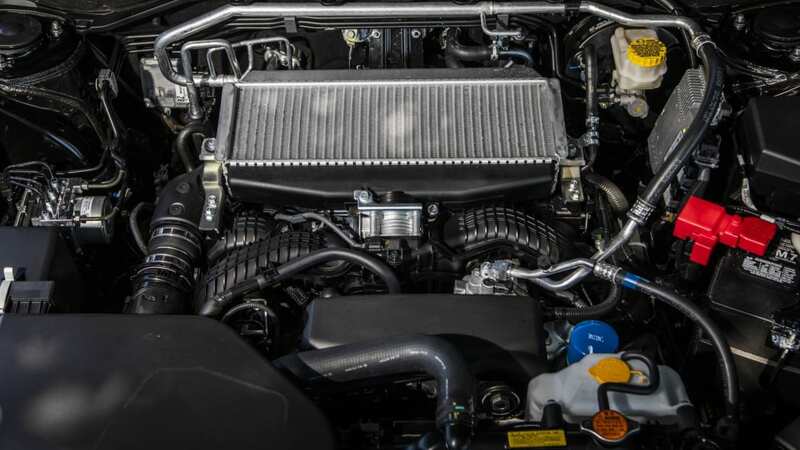 That there's also a 365-horsepower turbo V6 available, plus a hybrid and even-more powerful ST model on the way shows that Ford isn't kidding around under the hood. 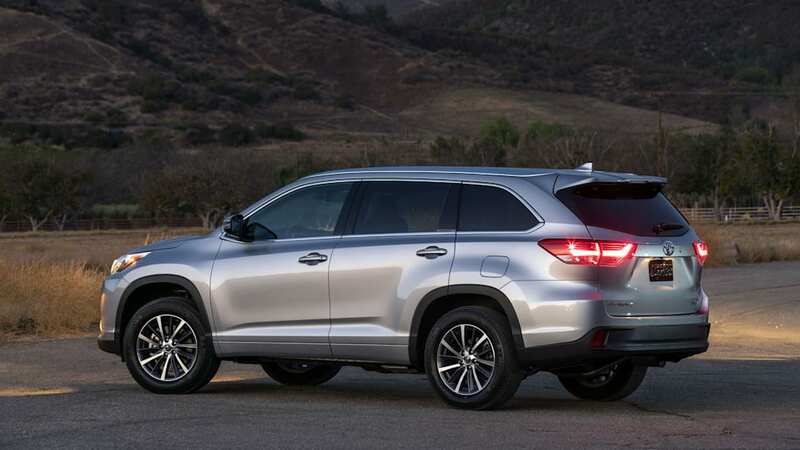 Curb weight also seems competitive for the segment. 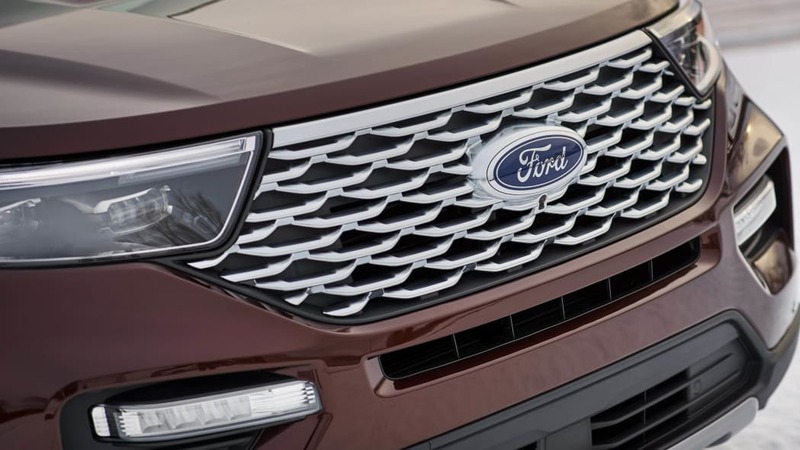 In terms of drivetrain, the Explorer is the only member of this particular group to come standard with rear-wheel drive (2.3-liter only). 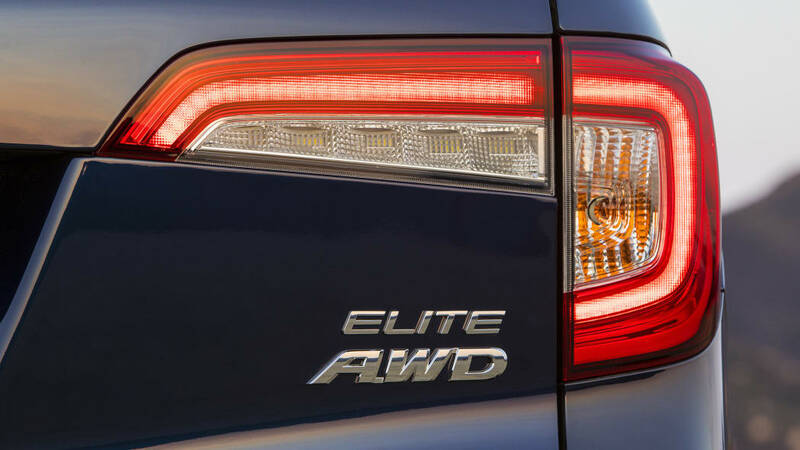 The Durango is the only other three-row, non-luxury crossover to do so. 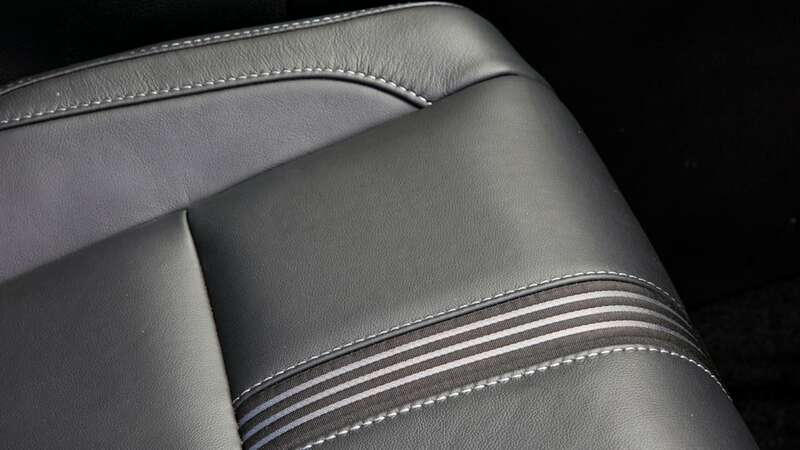 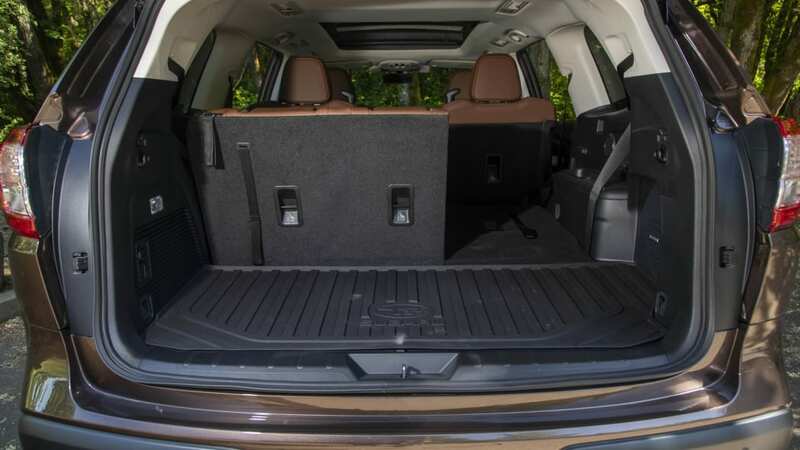 This is significant for two reasons: First, you could potentially do a power slide in an Explorer. 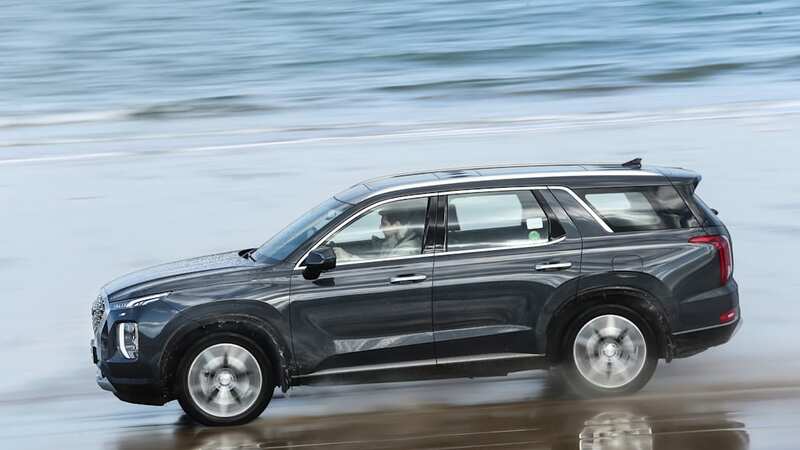 Second, and more important, those in the Snowbelt will have to opt for all-wheel drive (it comes standard with the 3.0-liter). 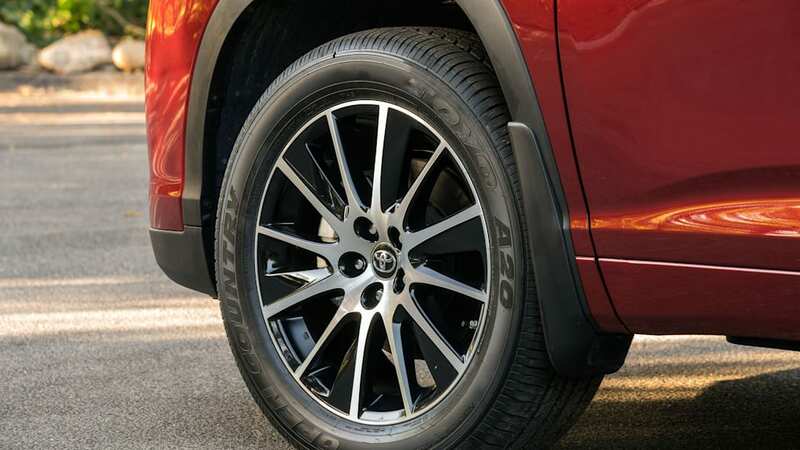 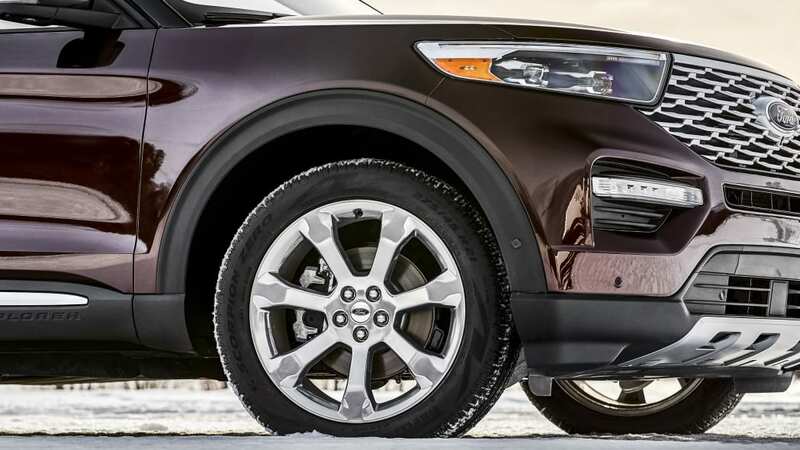 By contrast, a set of winter tires will probably do the job just fine if you want to save some money and gas by sticking with its rivals' standard front-wheel drive. 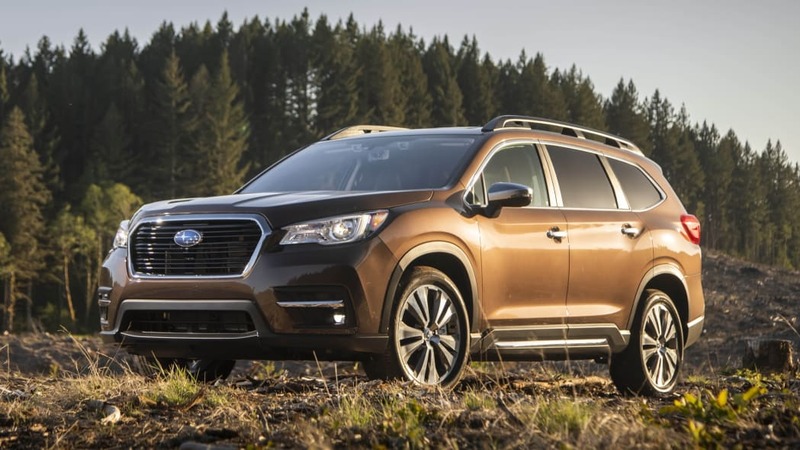 Well, except for the Subaru Ascent — that's standard with AWD. 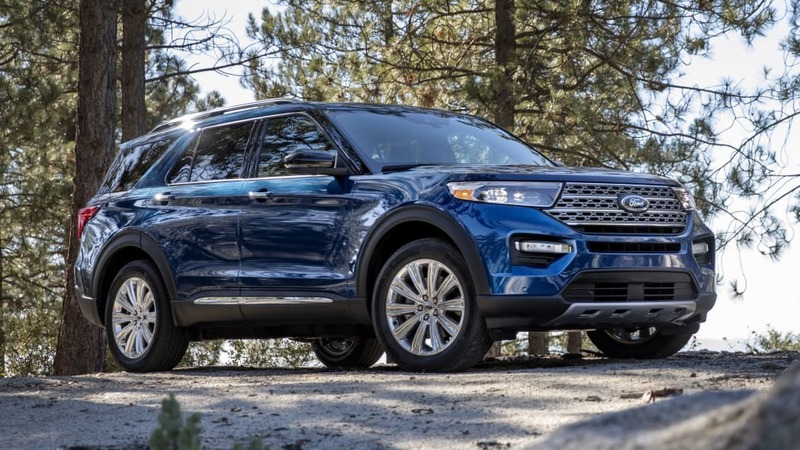 In terms of towing, the Explorer takes the cake with as much as 5,300 pounds for the four-cylinder and 5,600 pounds for the V6. 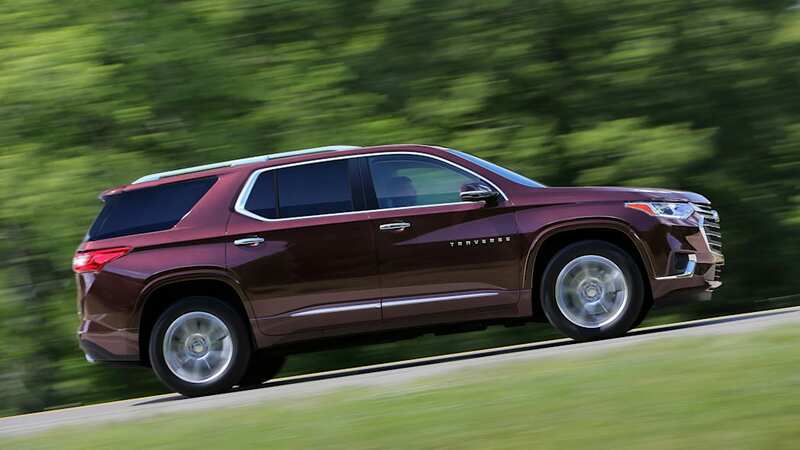 Everything else tops out at 5,000, though again, the Durango is capable of besting them all thanks to its Hemi V8 engine option. 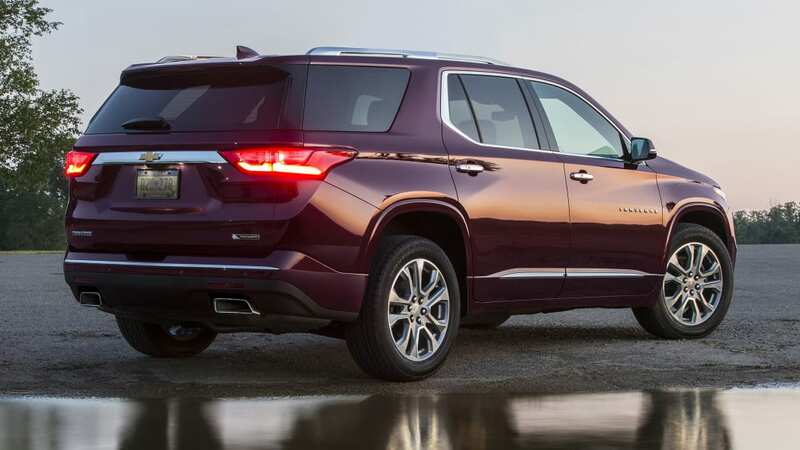 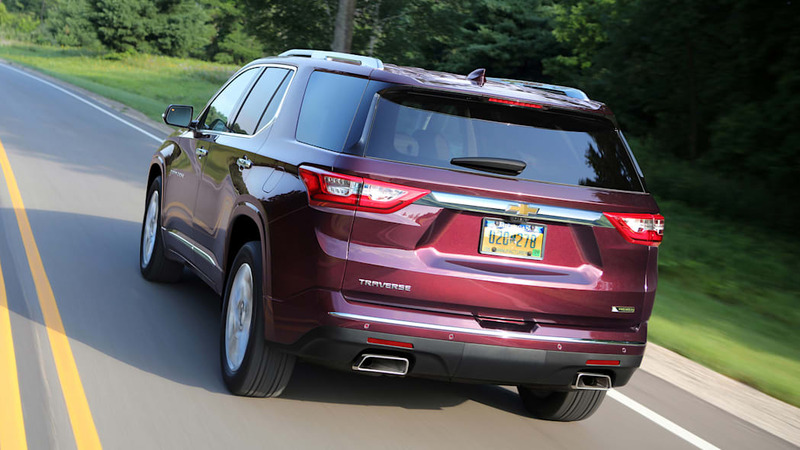 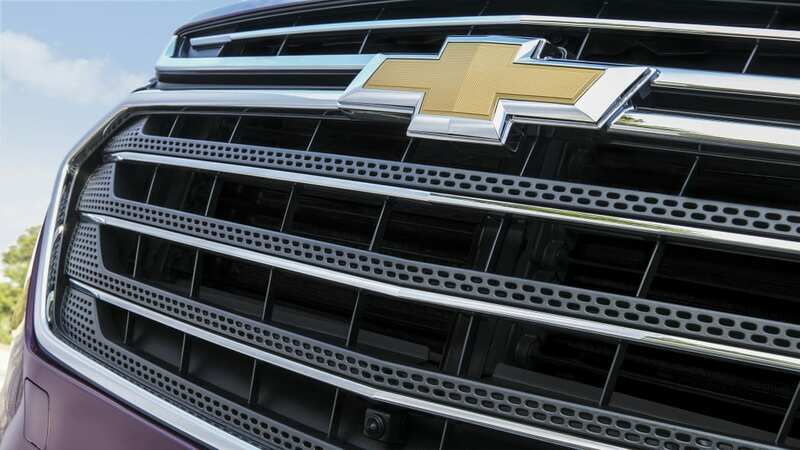 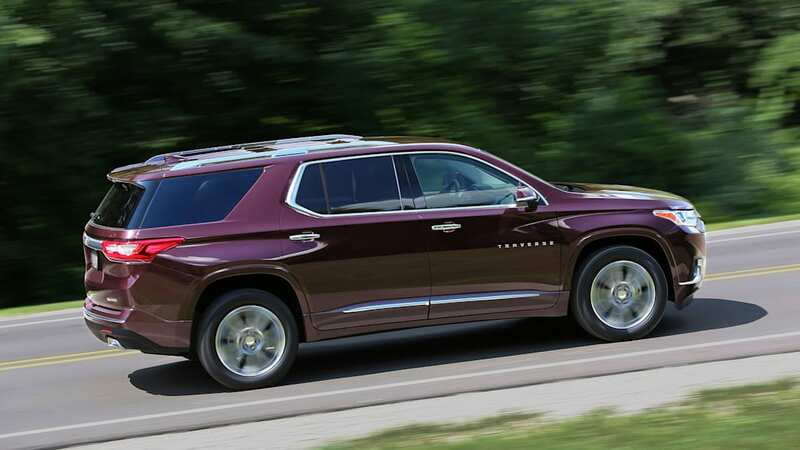 The Chevy Traverse remains the Goodyear Blimp of the three-row family crossover segment. 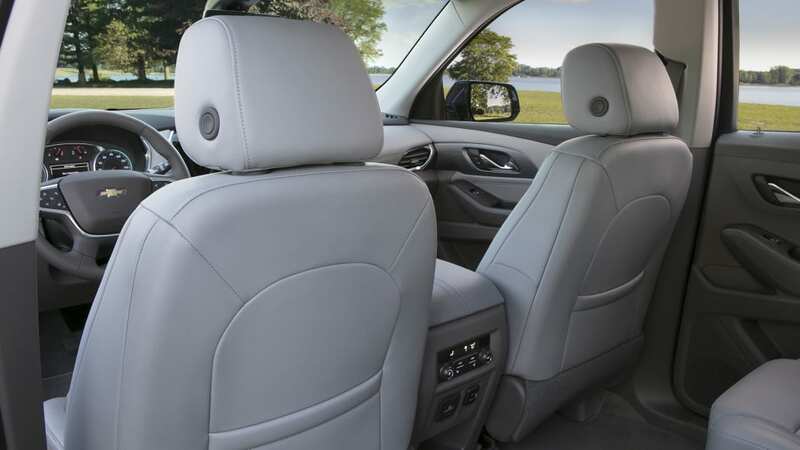 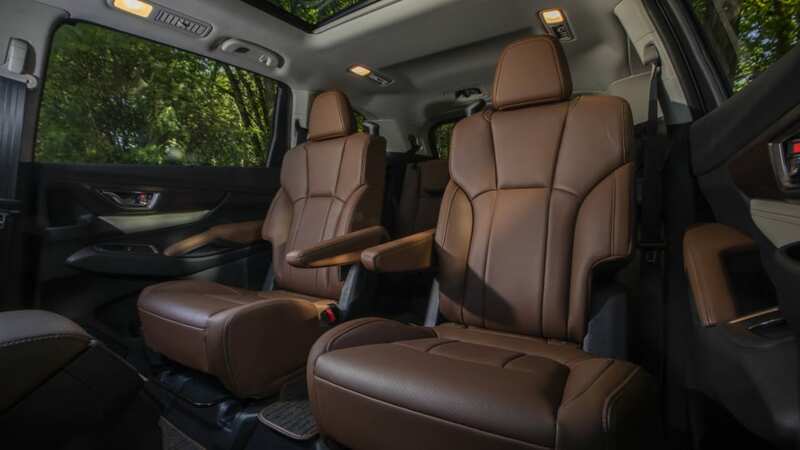 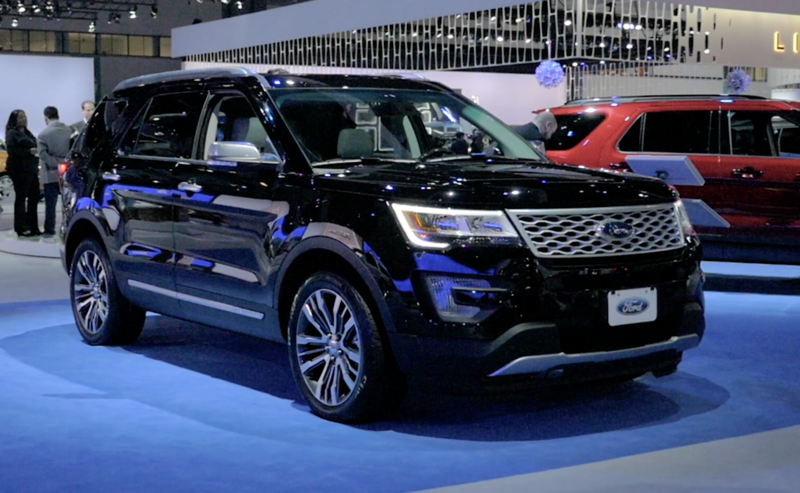 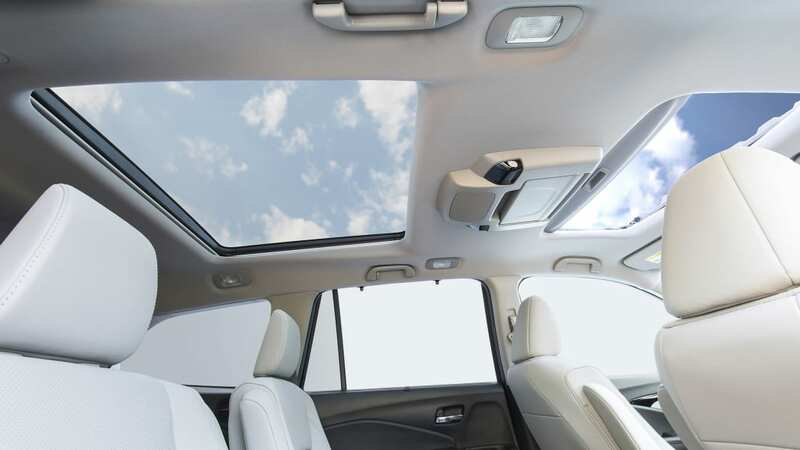 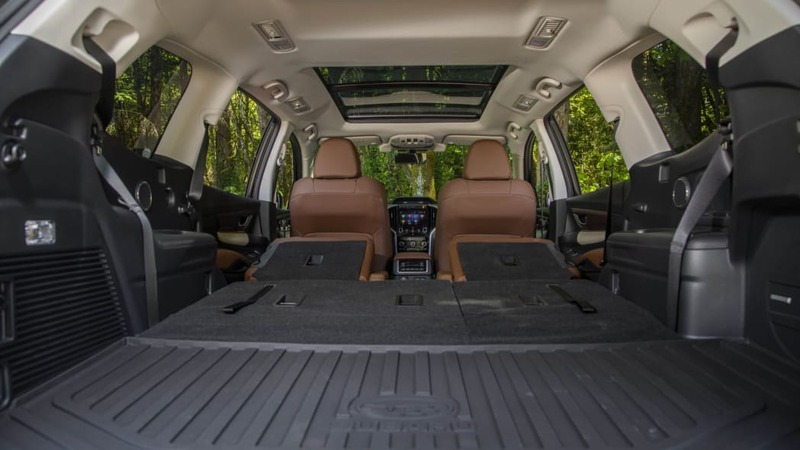 Nothing matches it outside or inside except for minivans or full-size, Expedition XL-style SUVs. 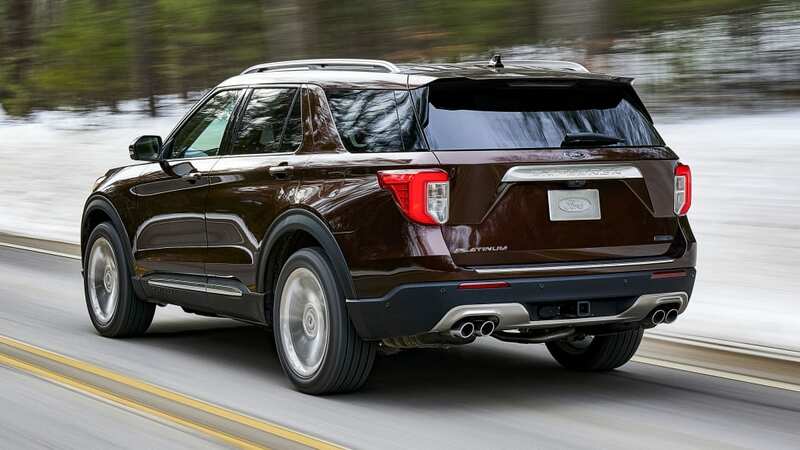 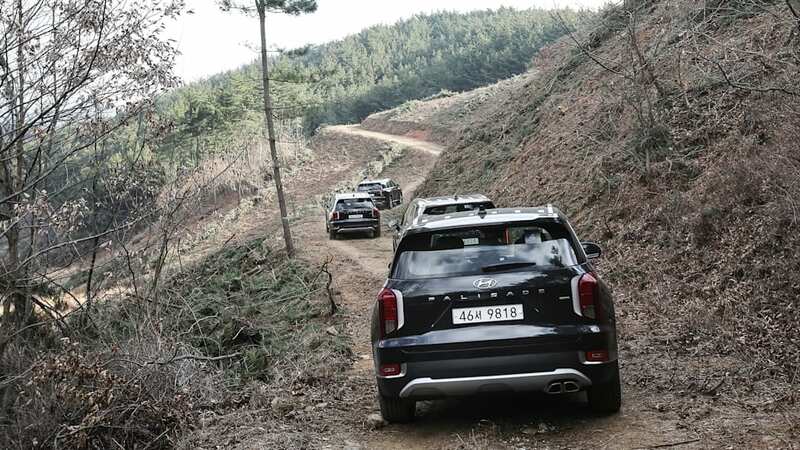 That said, the new Explorer has migrated much closer to its American competitor, with an overall length, wheelbase and width that eclipses everything else. 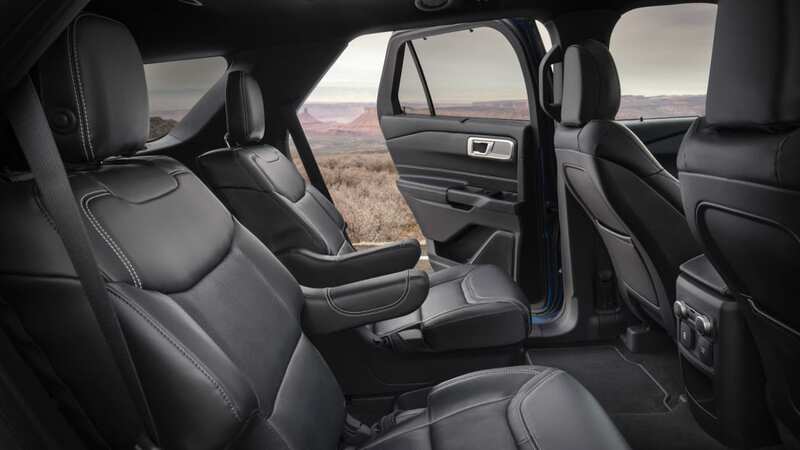 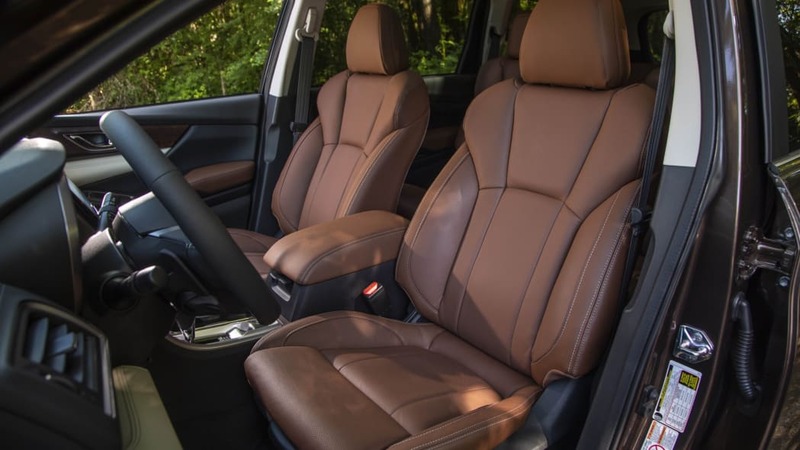 The 2020 Explorer's interior is similarly roomy, especially in the third row where it bests all but the Traverse. 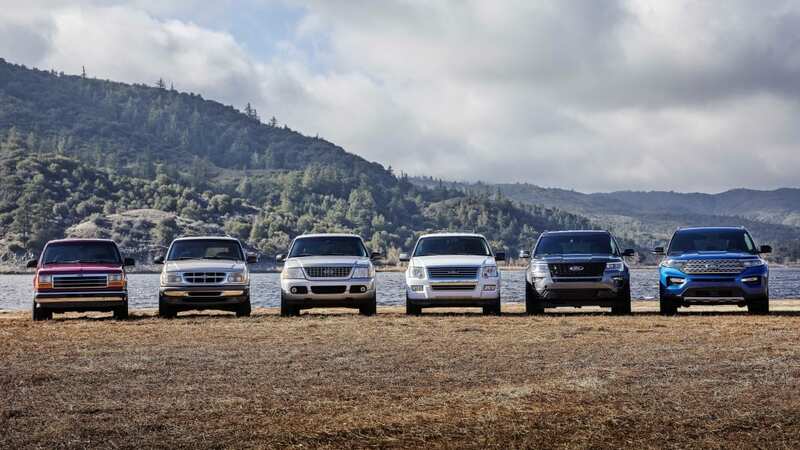 Judging by these figures and real-world testing of each of these competitors, a full-size adult should fit quite comfortably in the Explorer's third row. 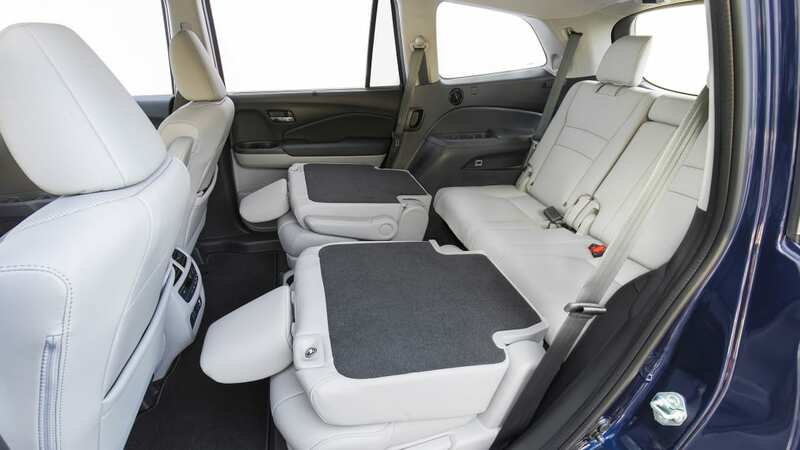 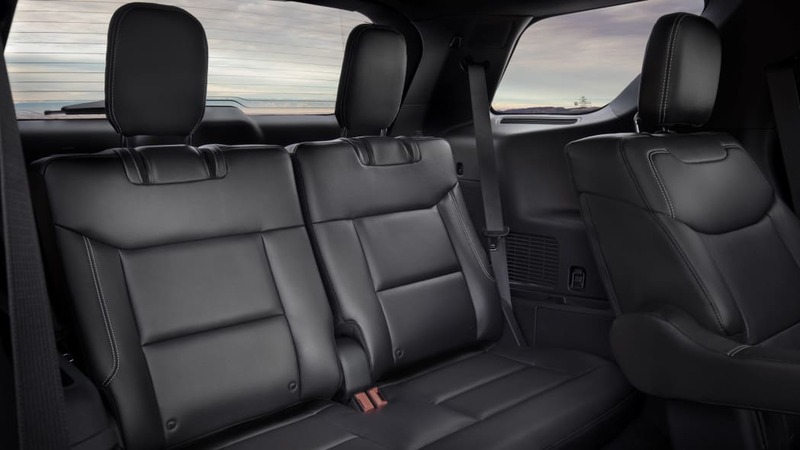 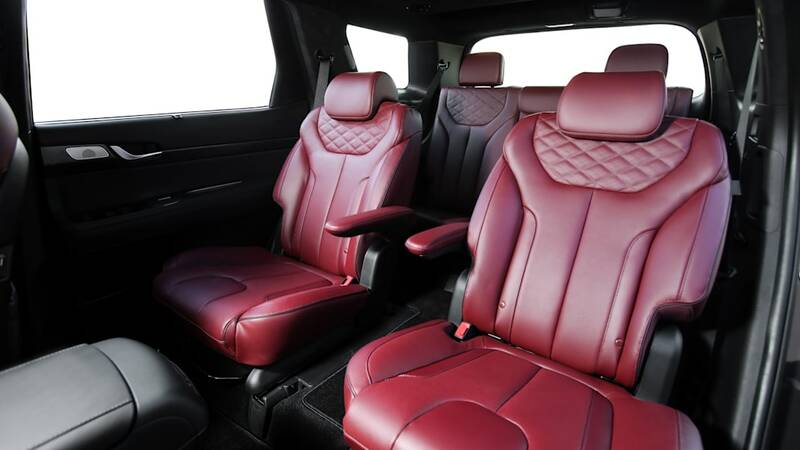 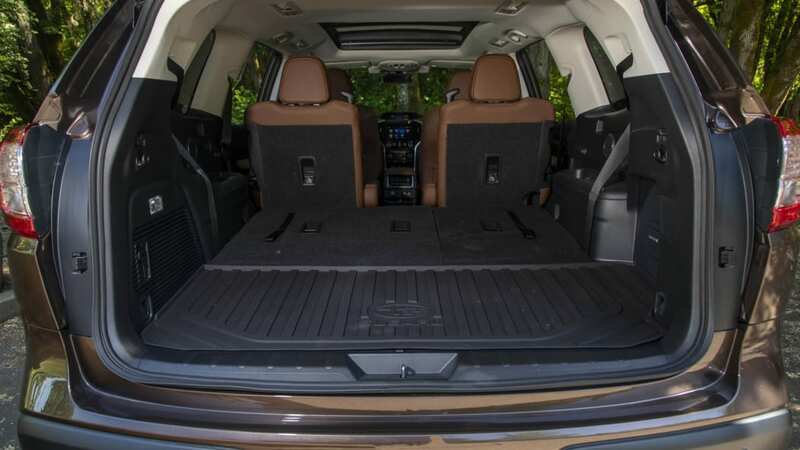 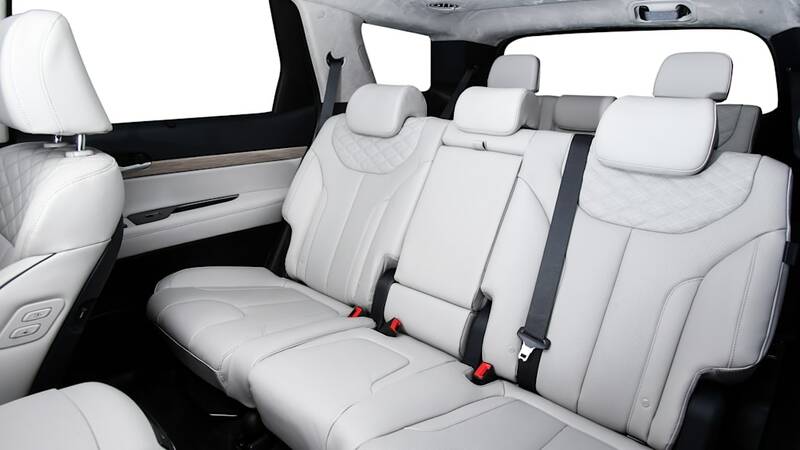 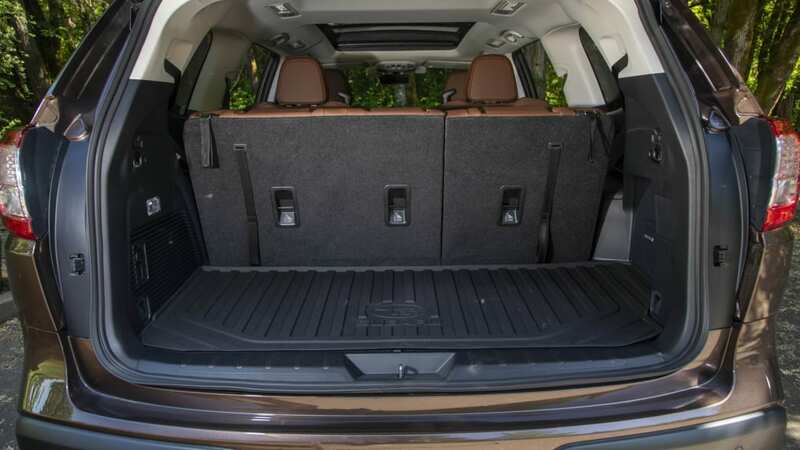 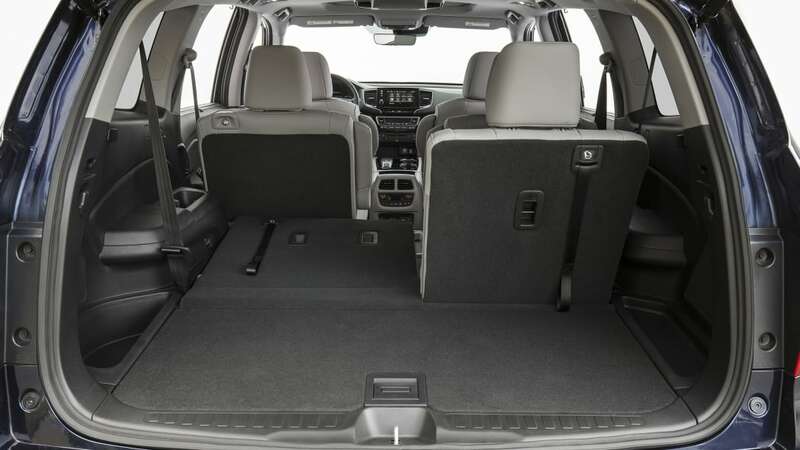 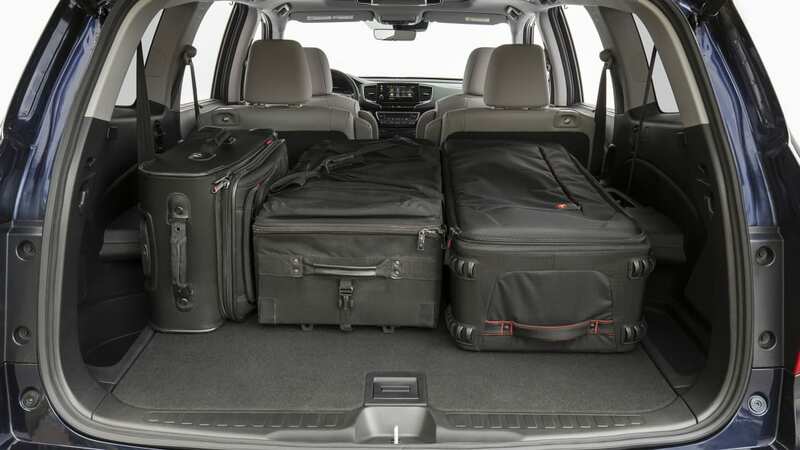 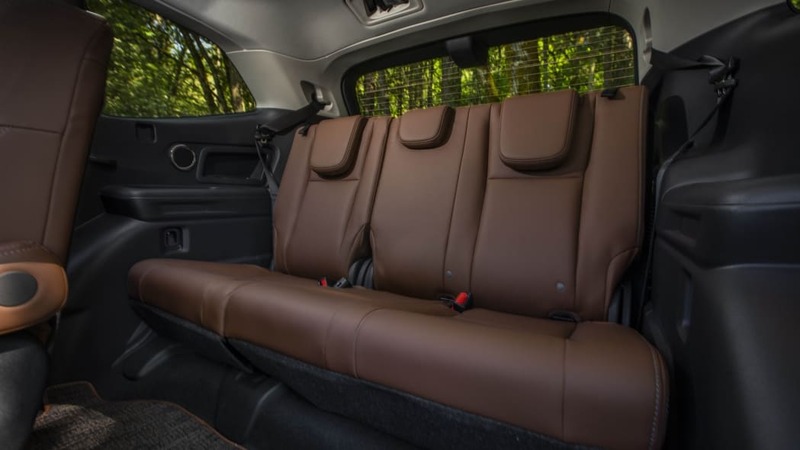 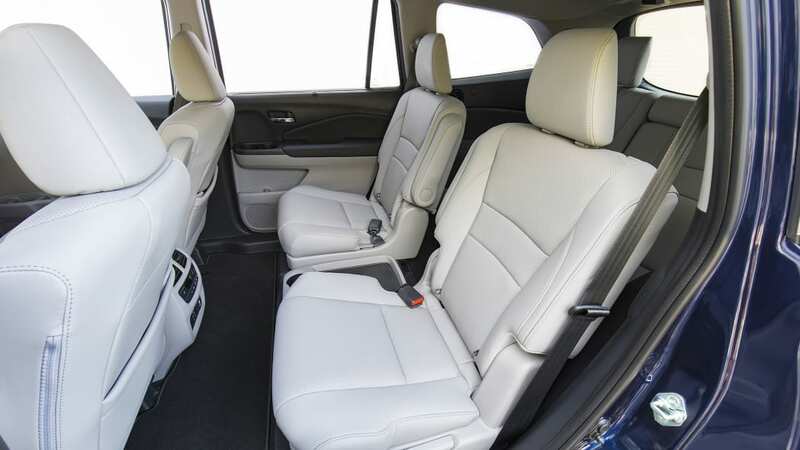 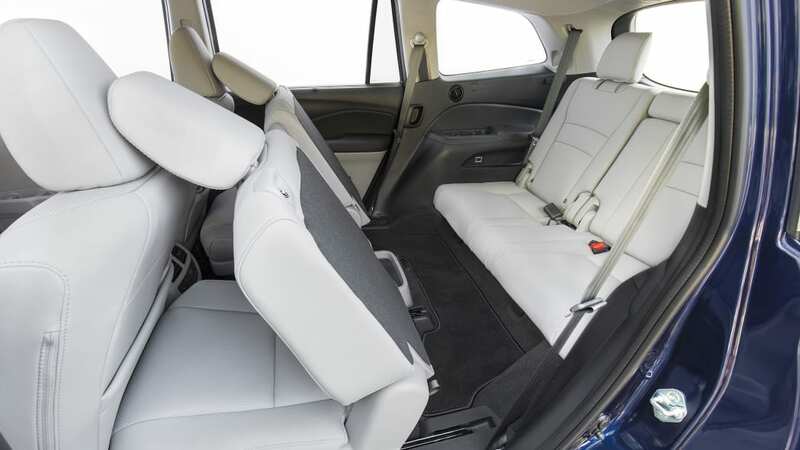 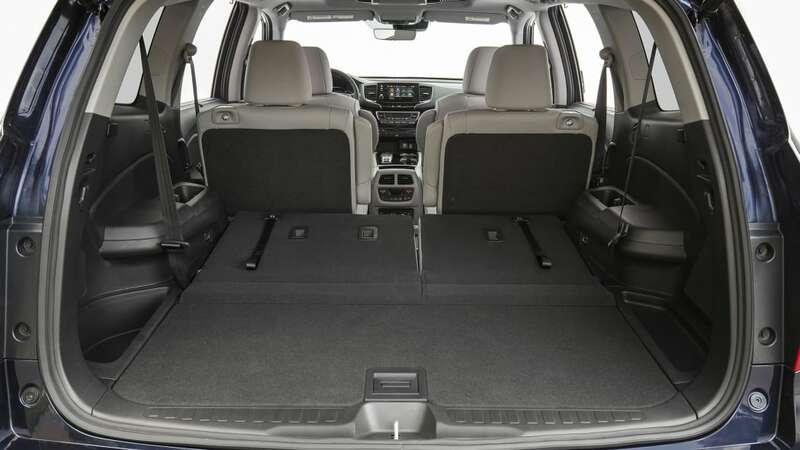 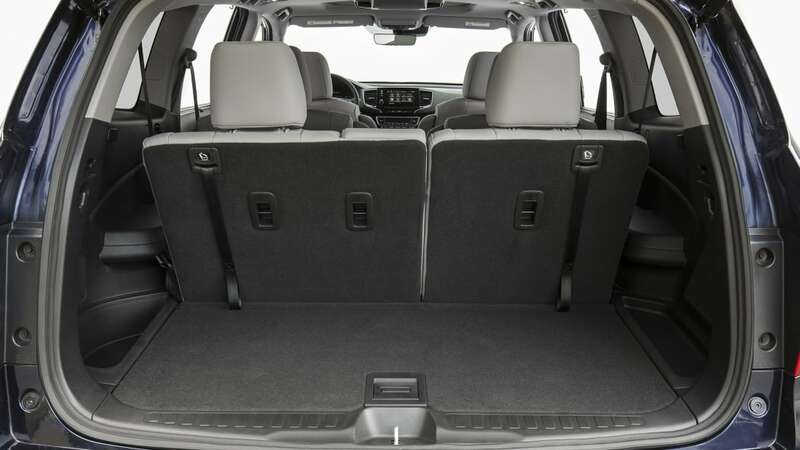 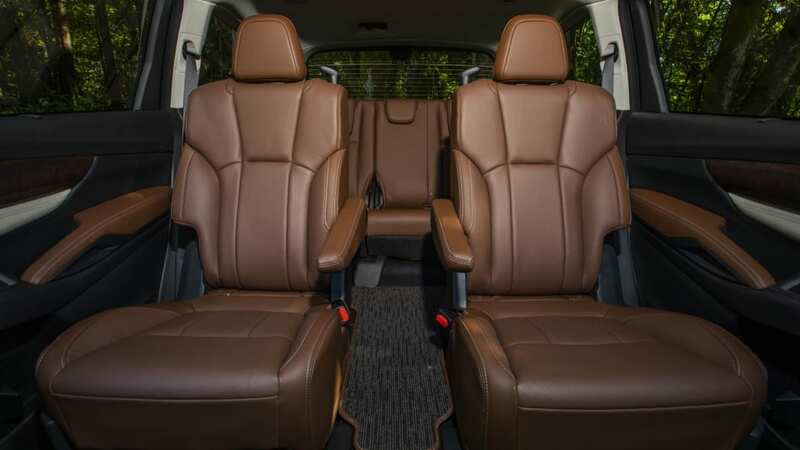 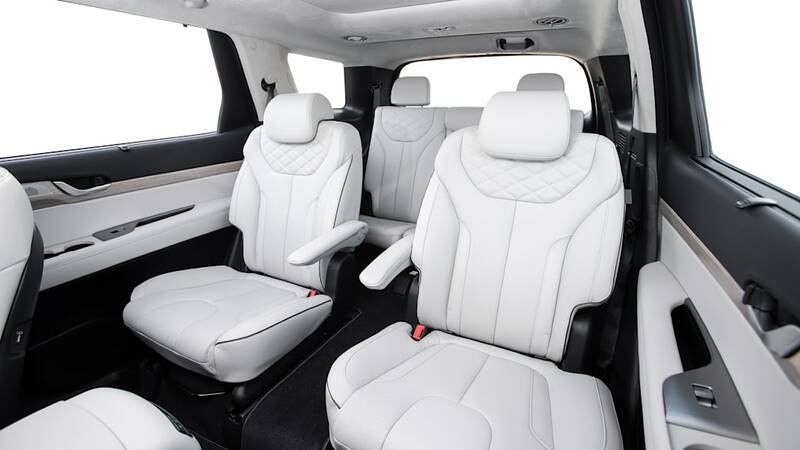 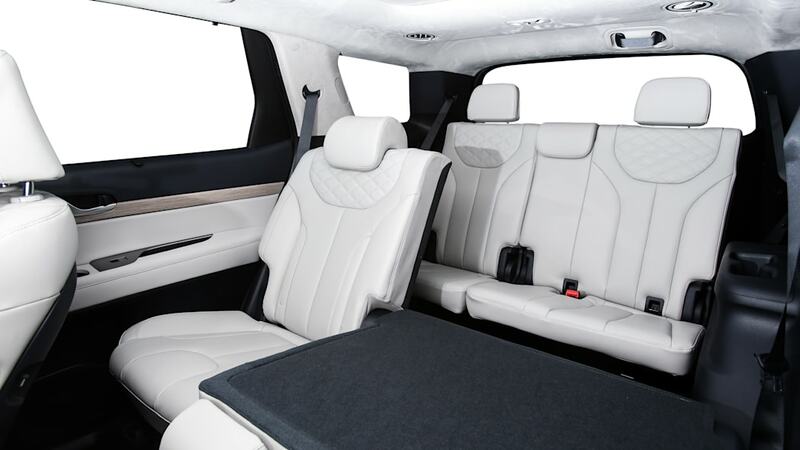 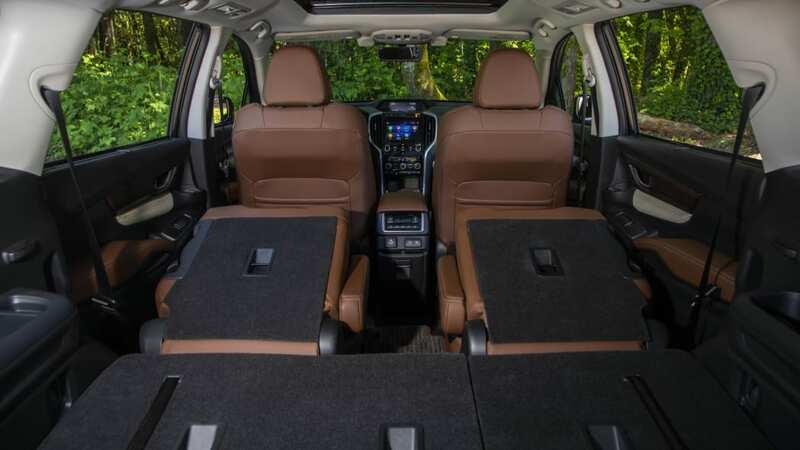 In terms of cargo space, pictures would suggest the new Explorer doesn't have the same deep, seat-swallowing compartment aft of the third-row that was particularly useful for storing luggage when all three rows were in use (a trait shared by the dearly departed Ford Flex). 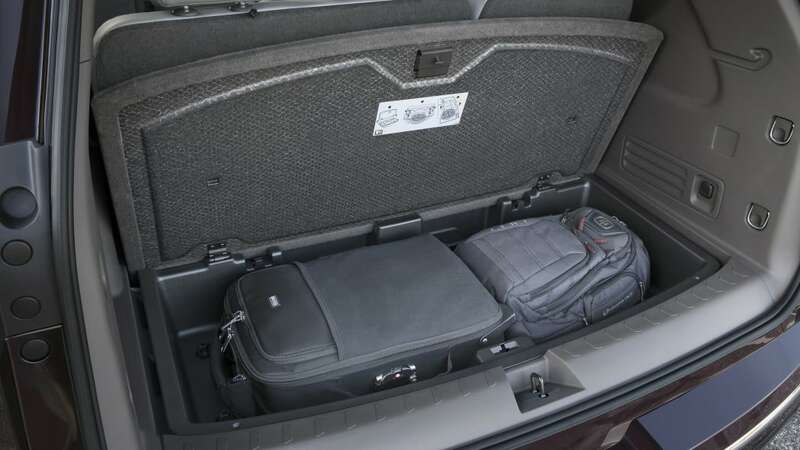 Still, the resulting 18.2 cubic feet is, again, better than all but the U.S.S. 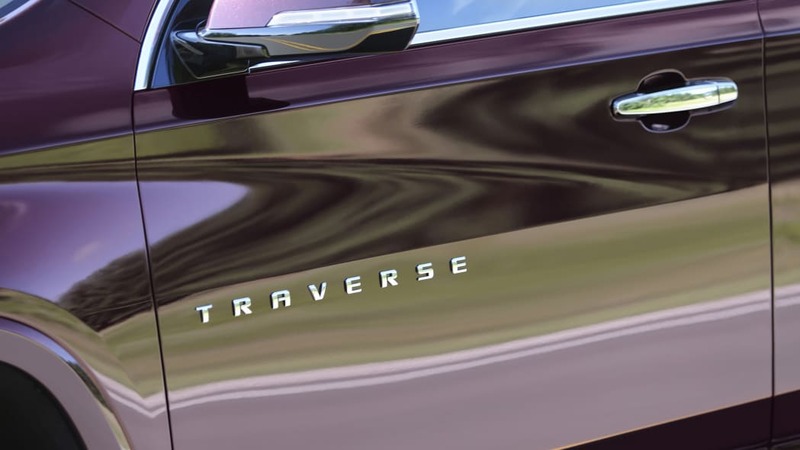 Traverse. 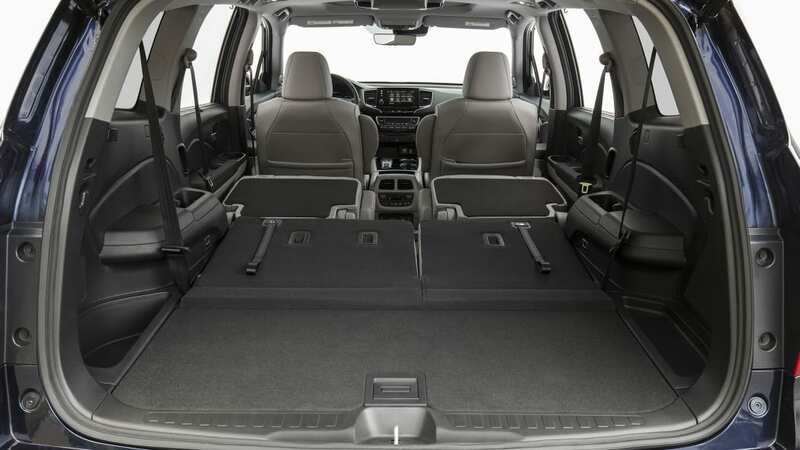 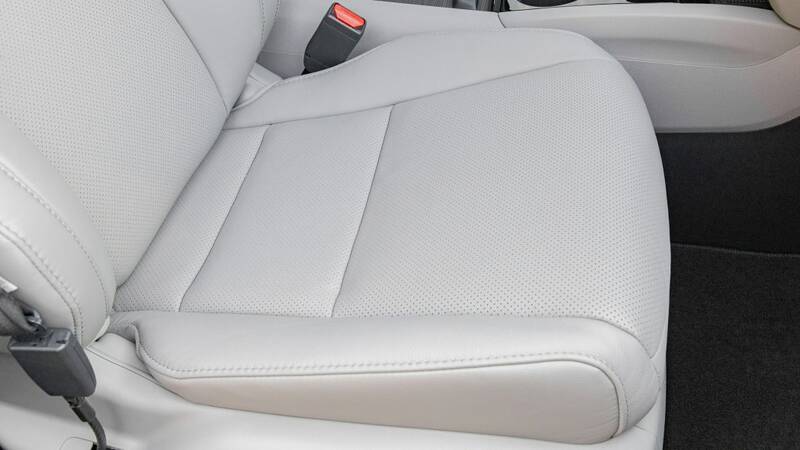 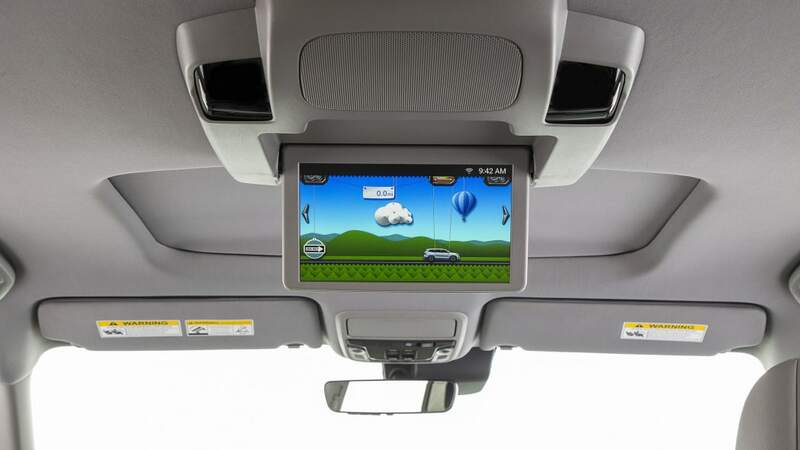 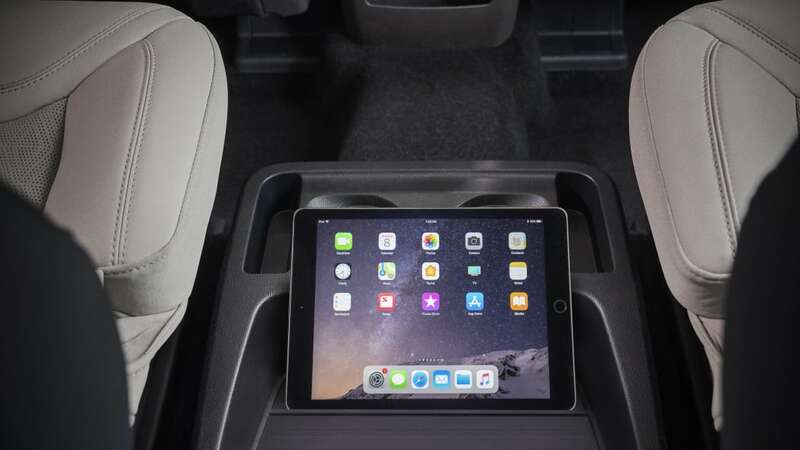 Maximum cargo capacity as well as space behind the raised second row is a similar situation. 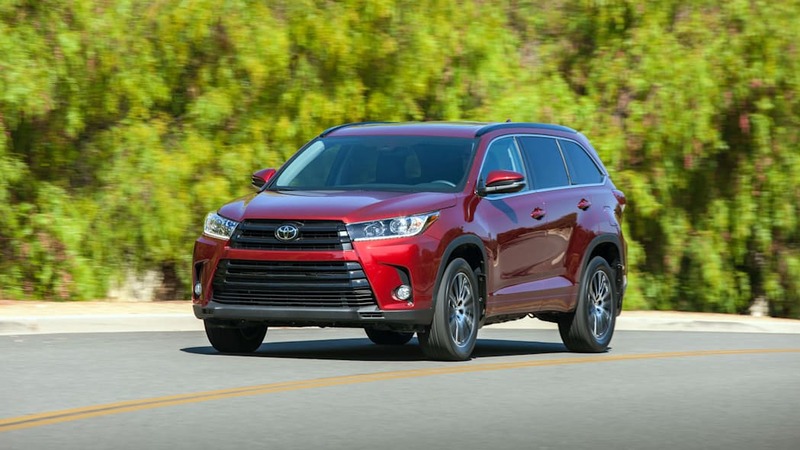 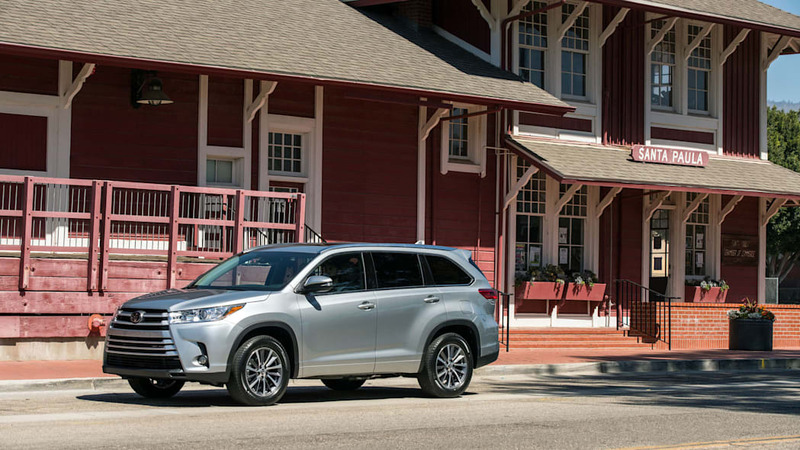 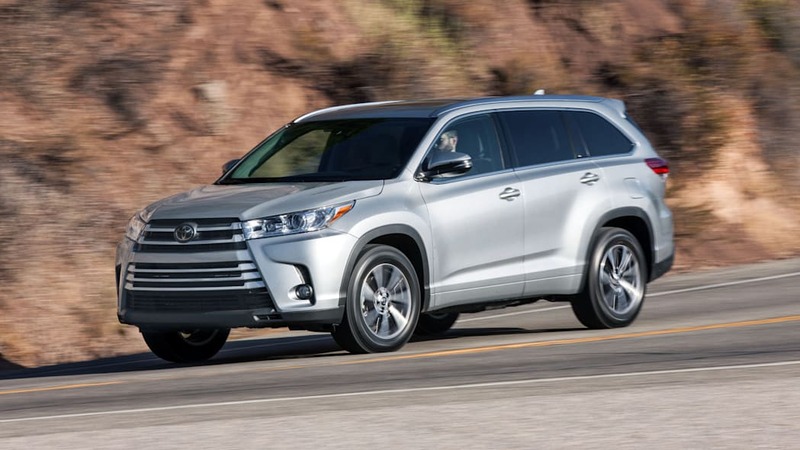 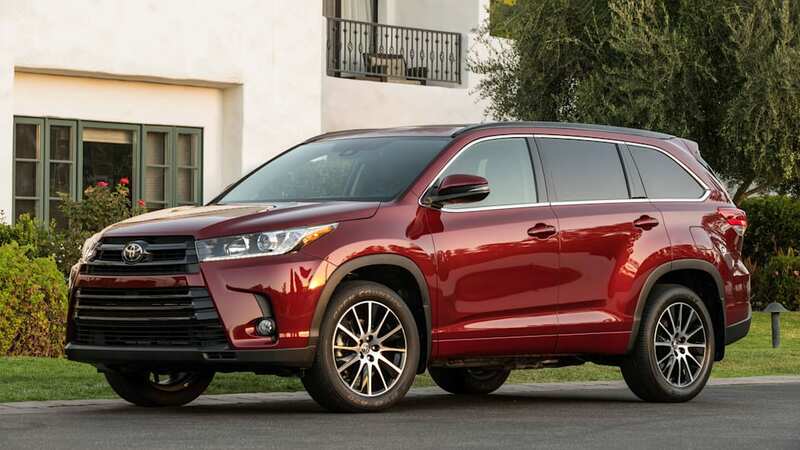 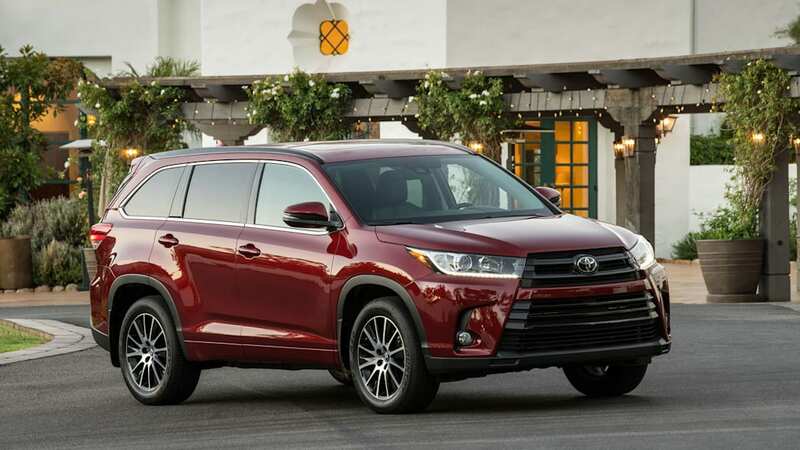 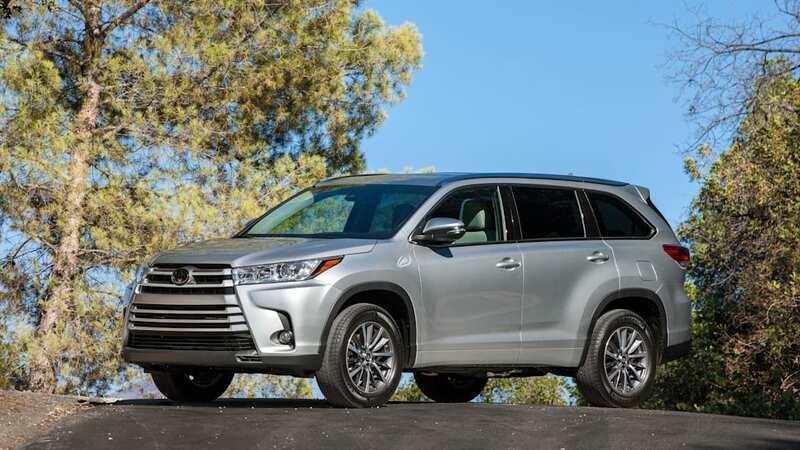 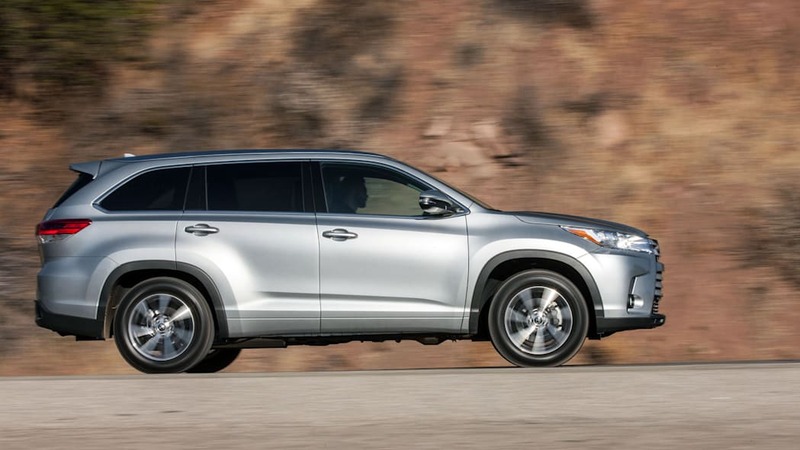 As for the smallest, that would be the Toyota Highlander, both outside and inside. 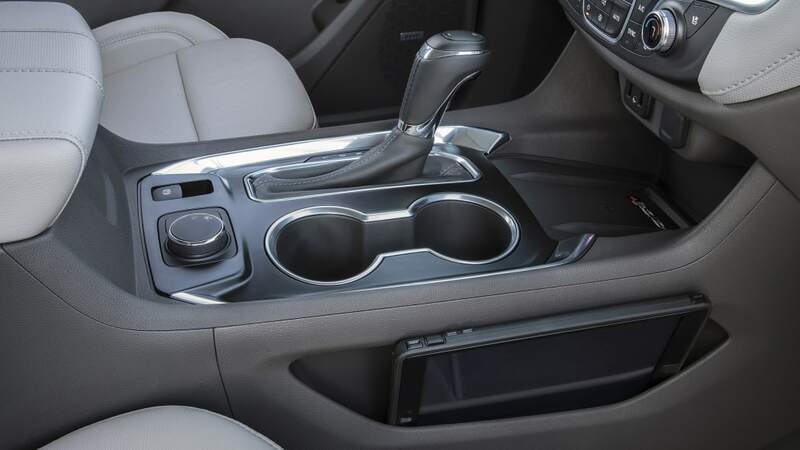 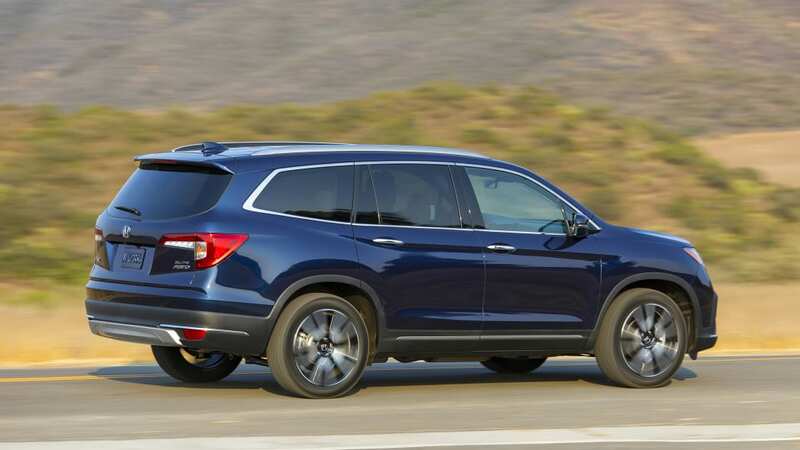 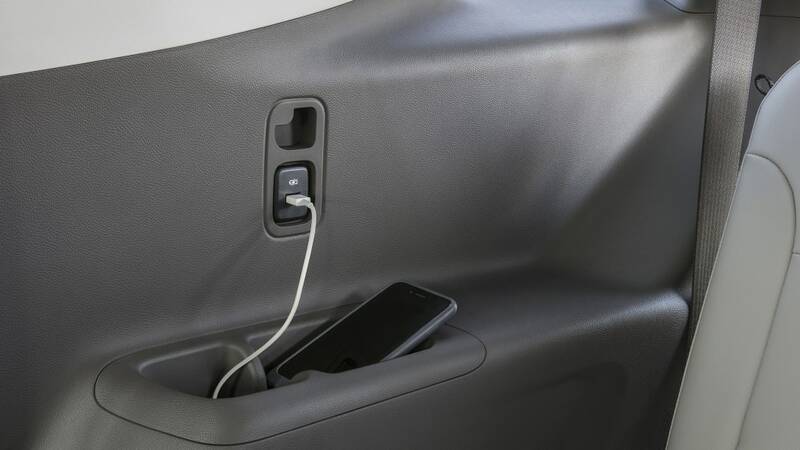 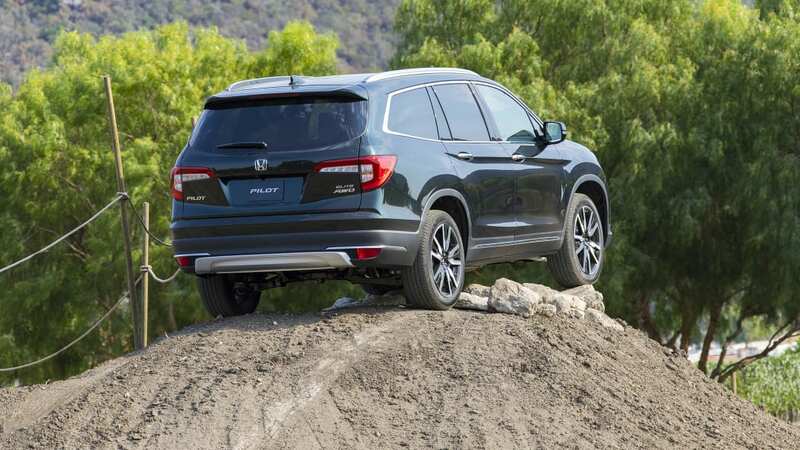 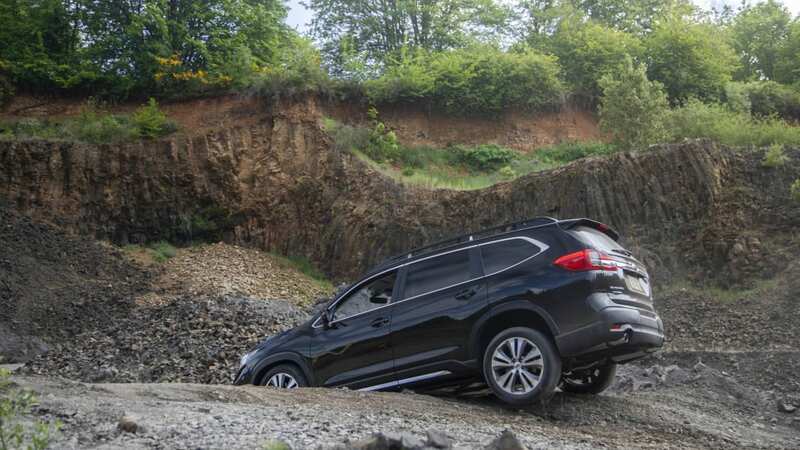 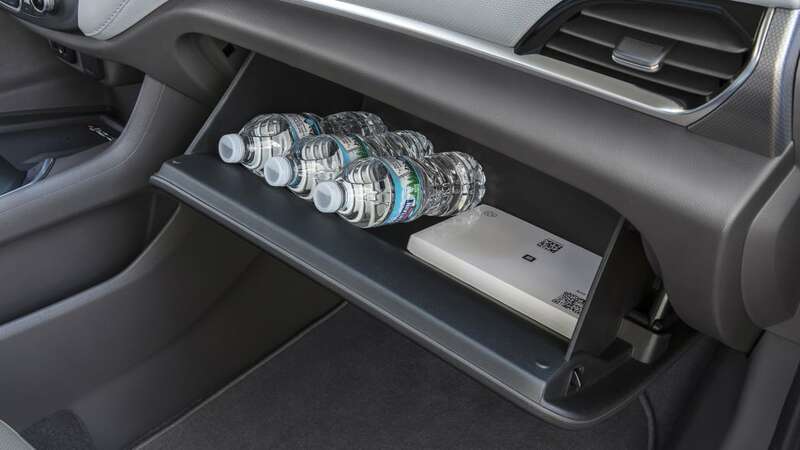 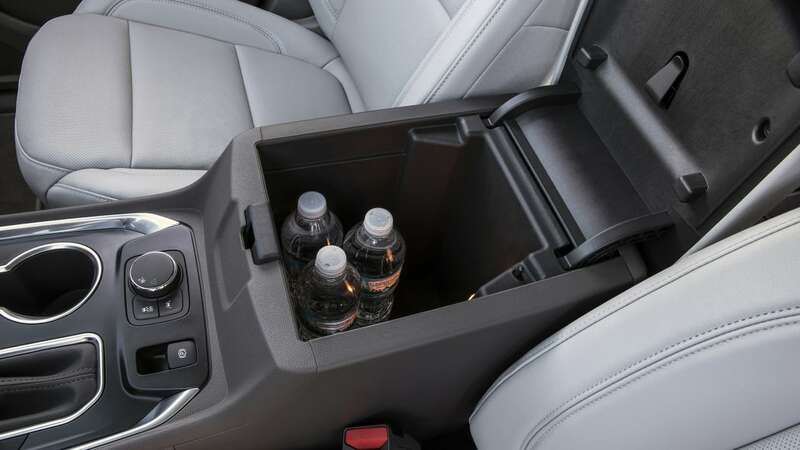 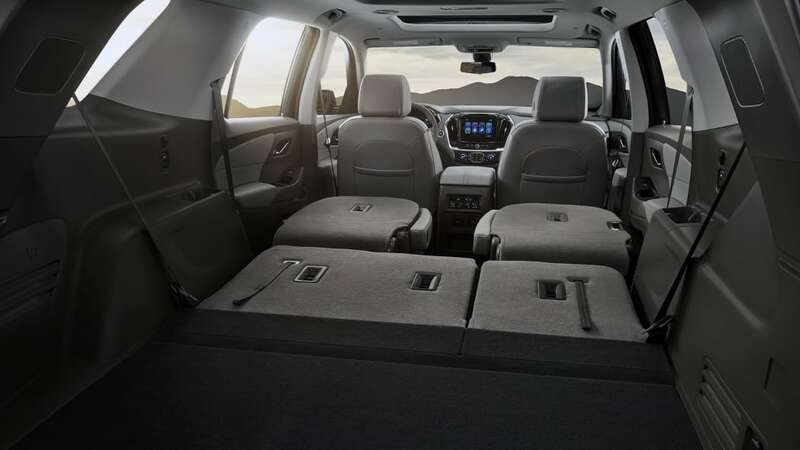 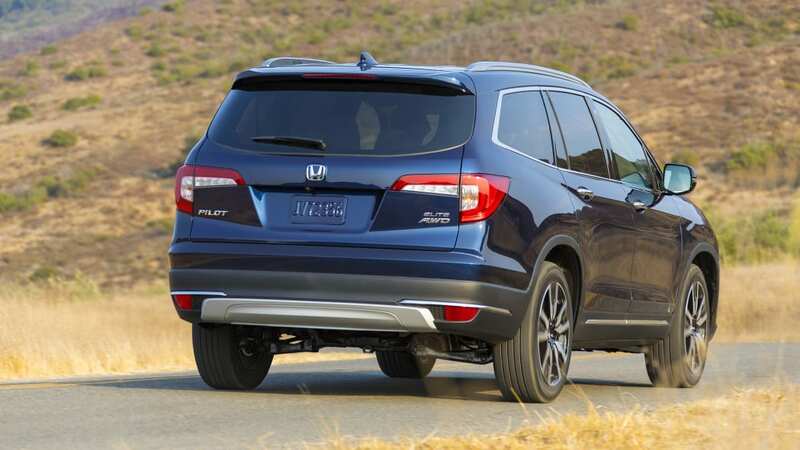 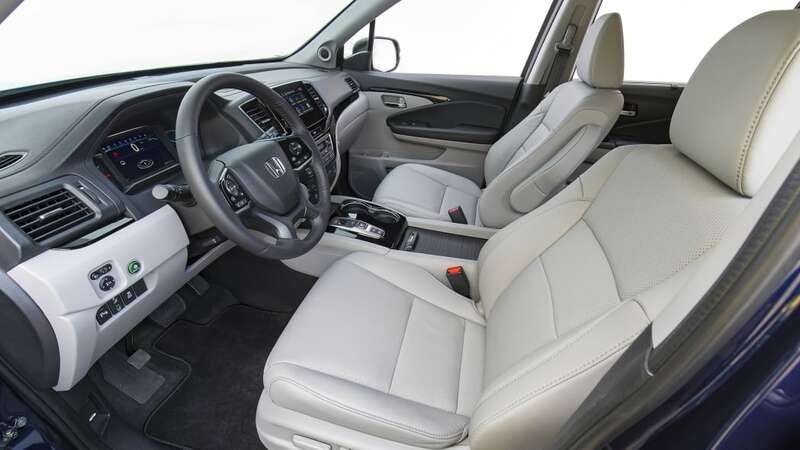 The Honda Pilot, meanwhile, manages to do the best job squeezing the most interior space out of its exterior dimensions as possible. 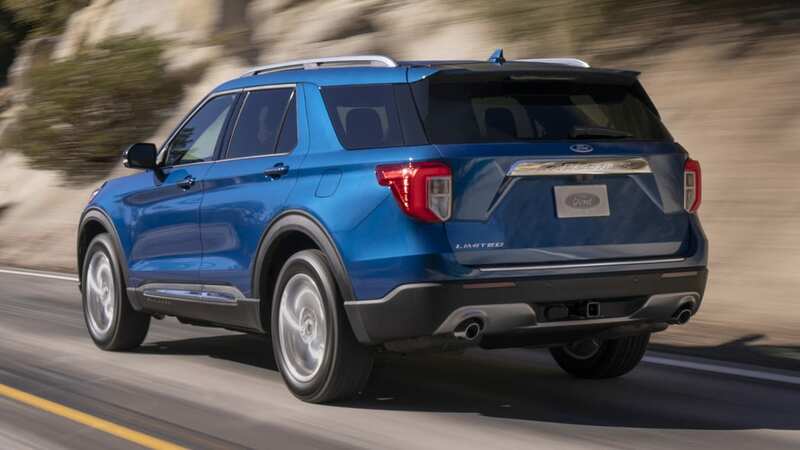 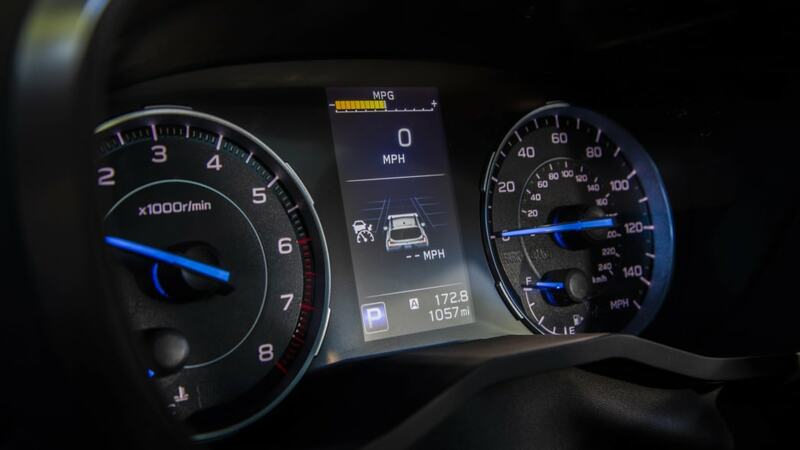 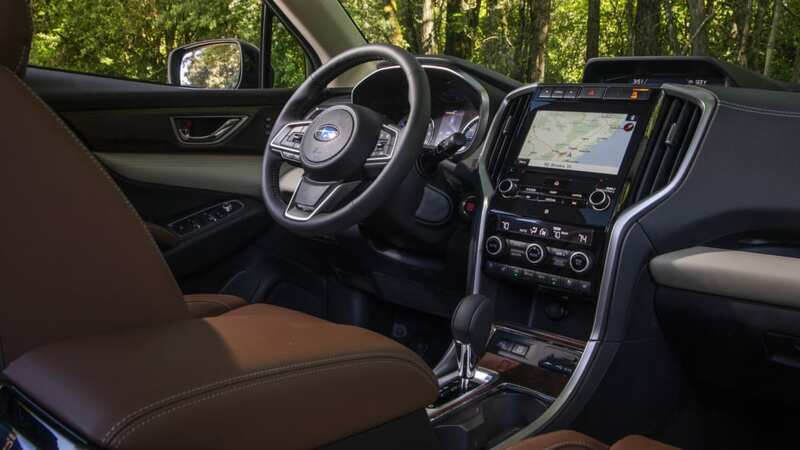 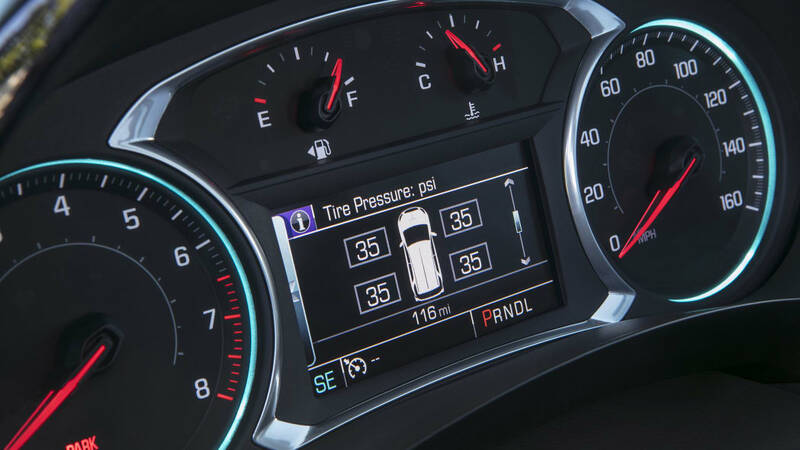 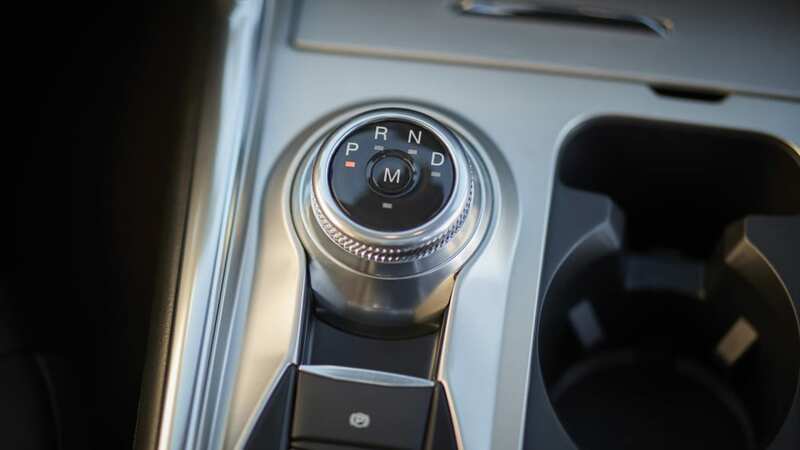 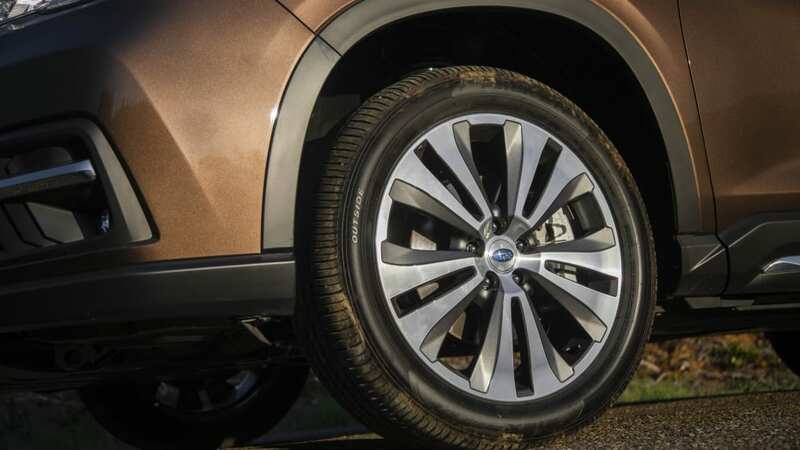 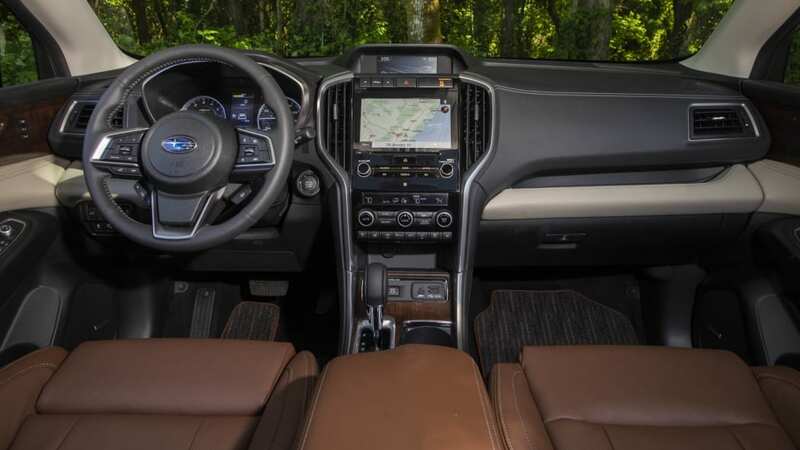 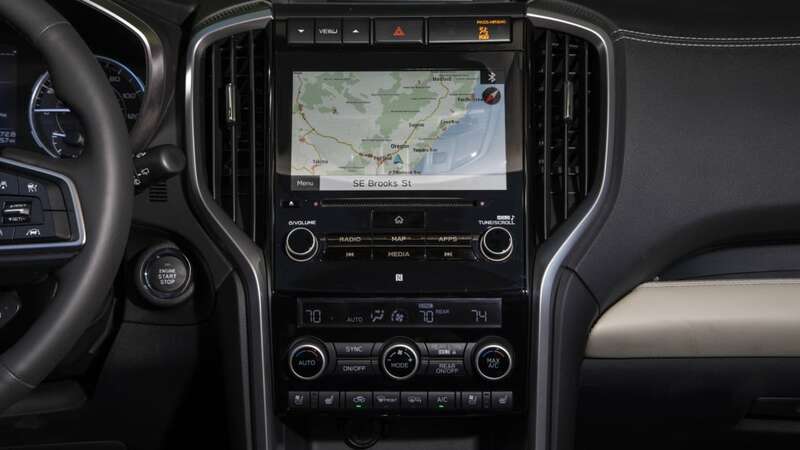 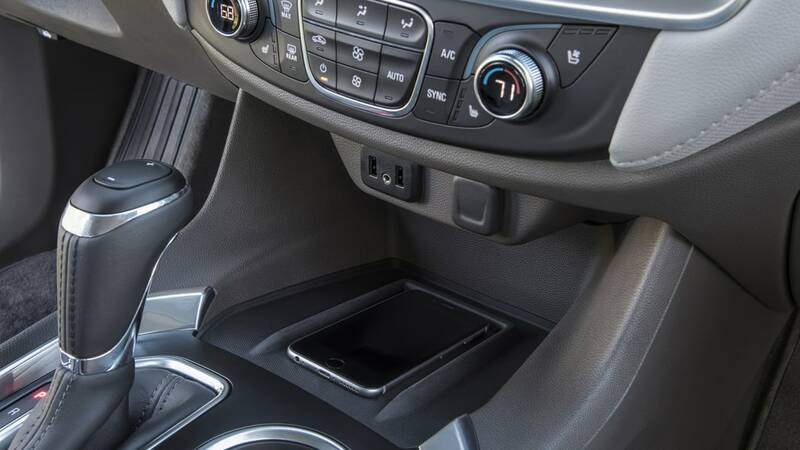 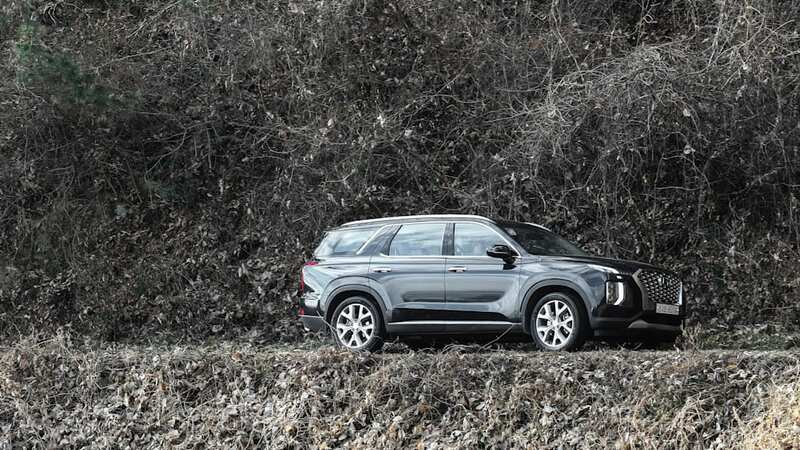 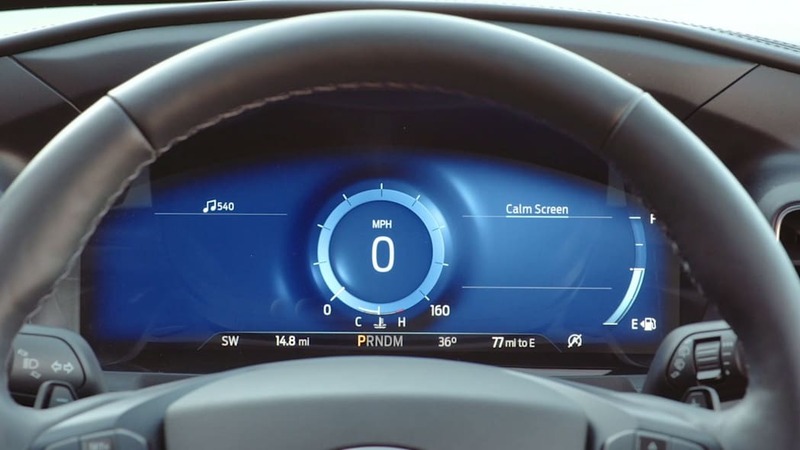 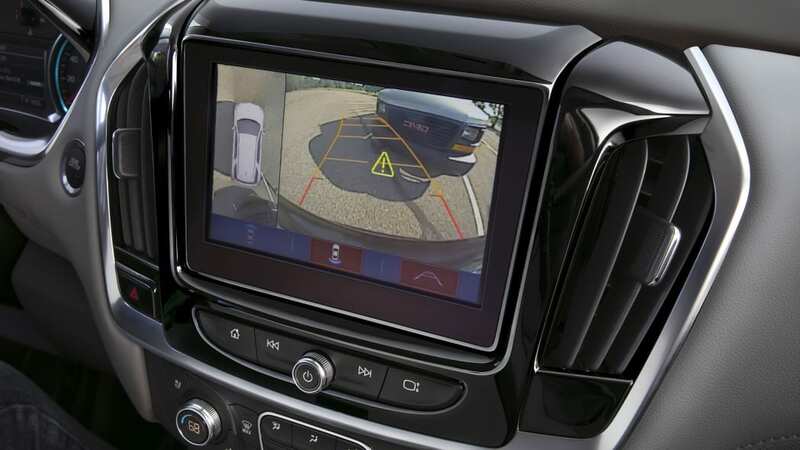 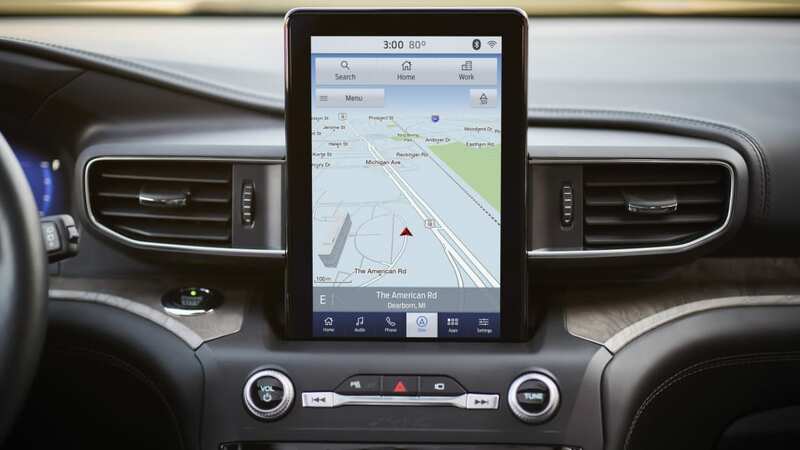 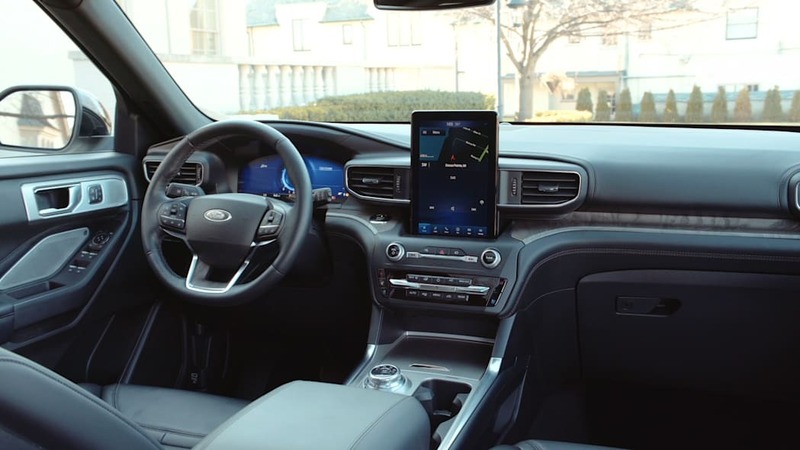 Ford did not release a full feature breakdown for the 2020 Explorer, but it did point out all of the advanced accident avoidance technologies that come standard. 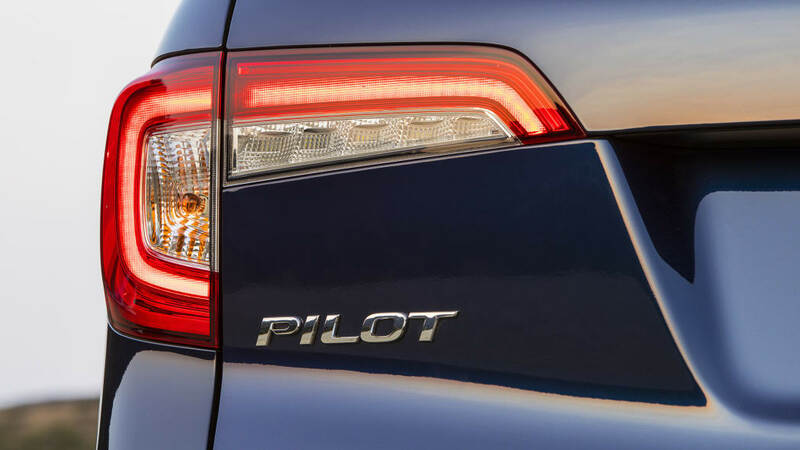 Included on every trim is the Co-Pilot360 suite of features that includes forward collision warning with pedestrian detection and automatic emergency braking, lane-keeping assist, blind-spot and rear cross-traffic warning, automatic high beams and a rearview camera with a built-in lens washer (if you're in the middle of a cruddy winter, you should appreciate this one). 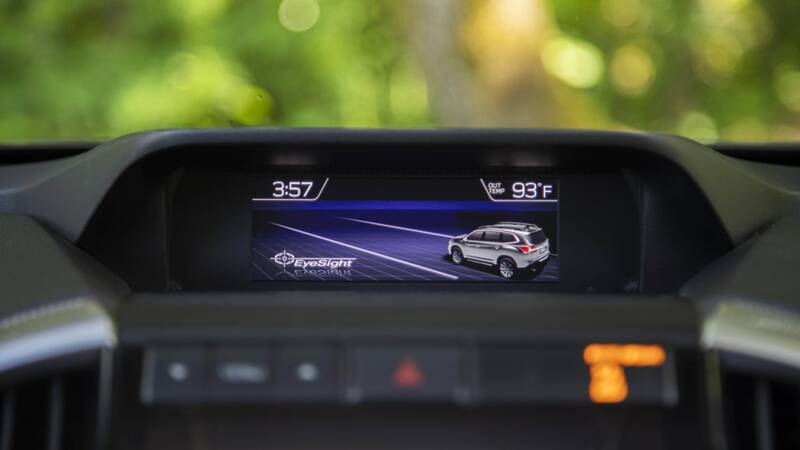 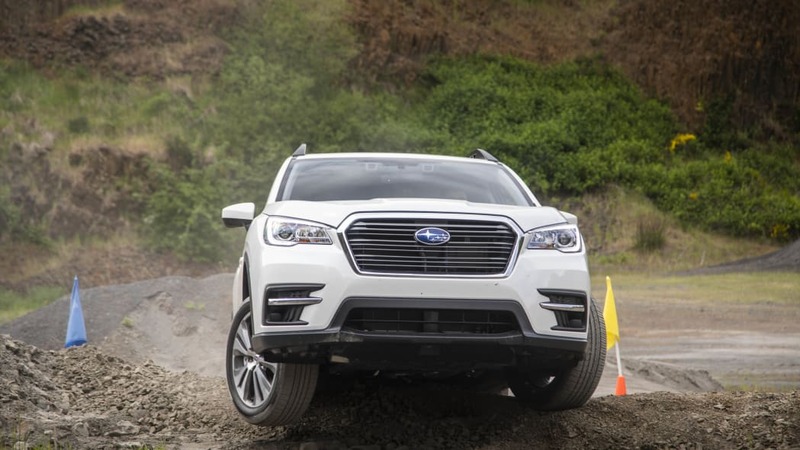 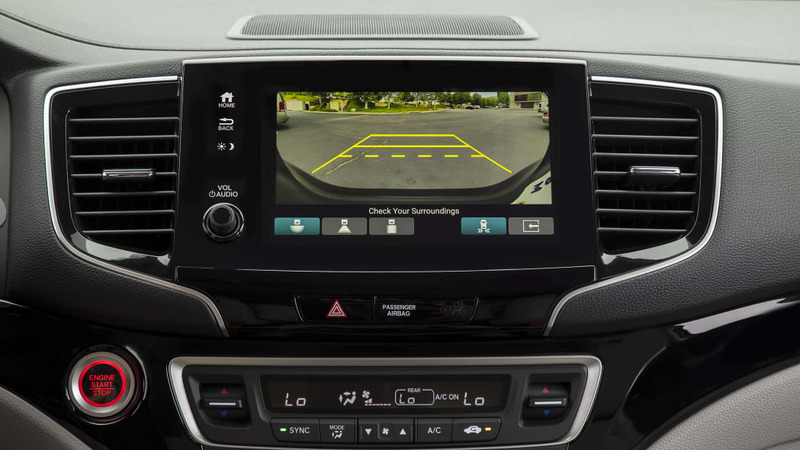 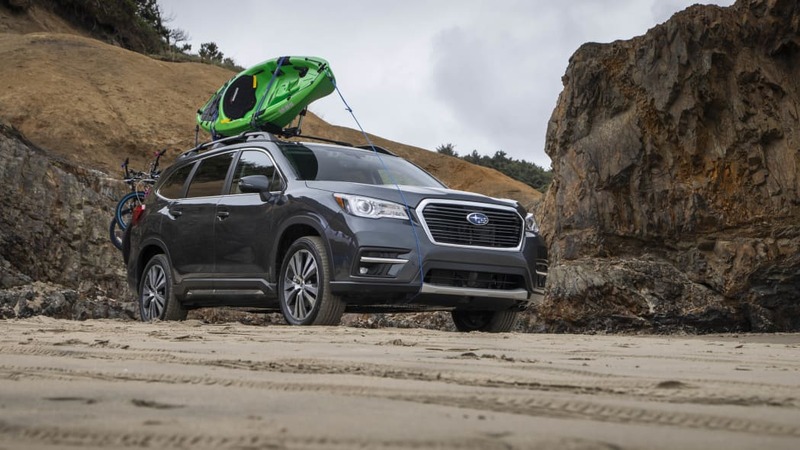 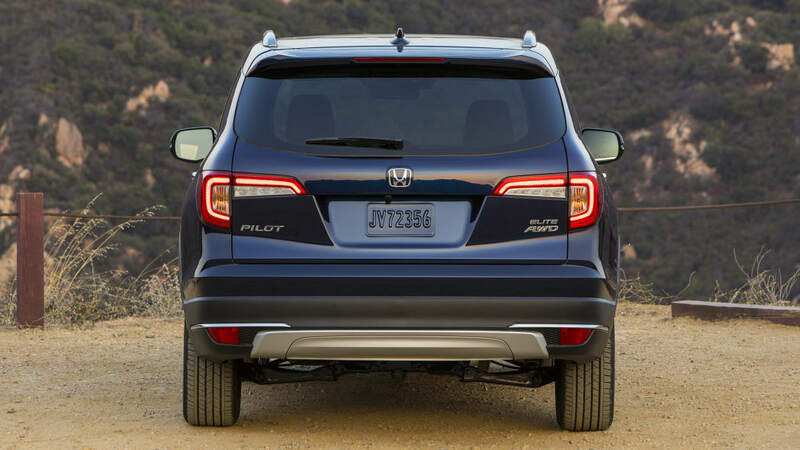 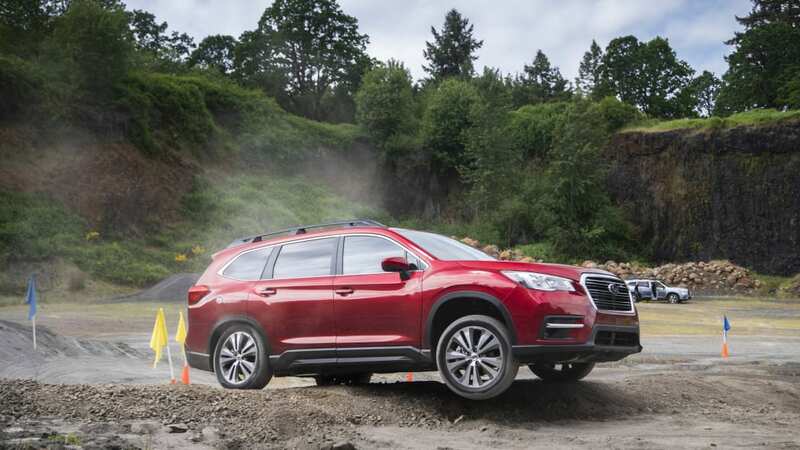 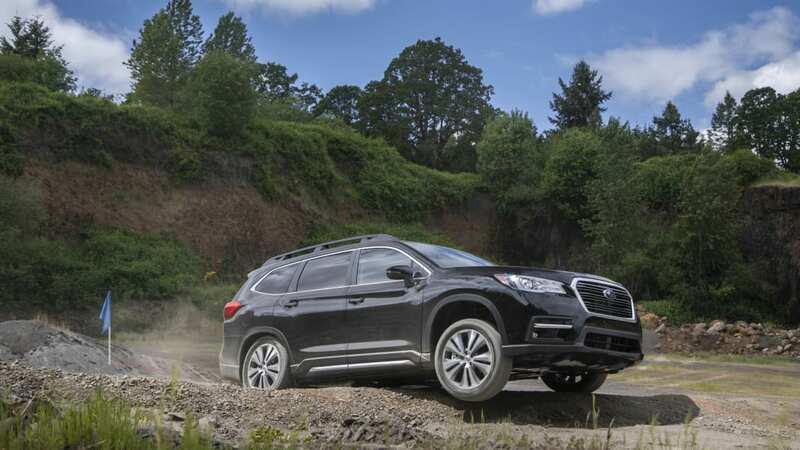 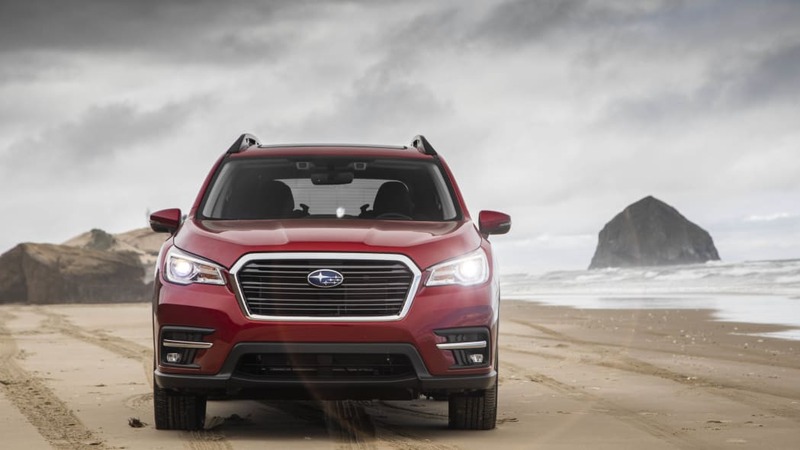 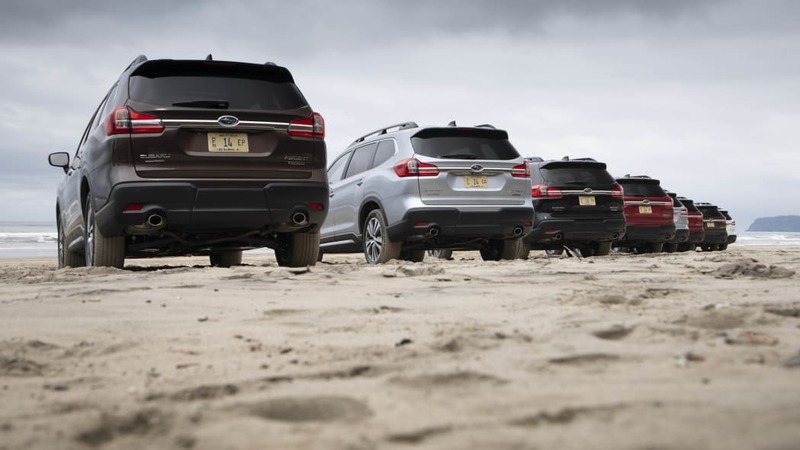 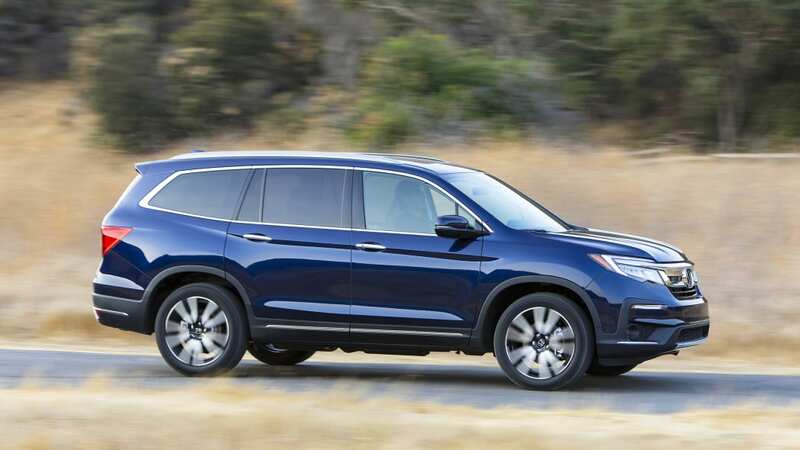 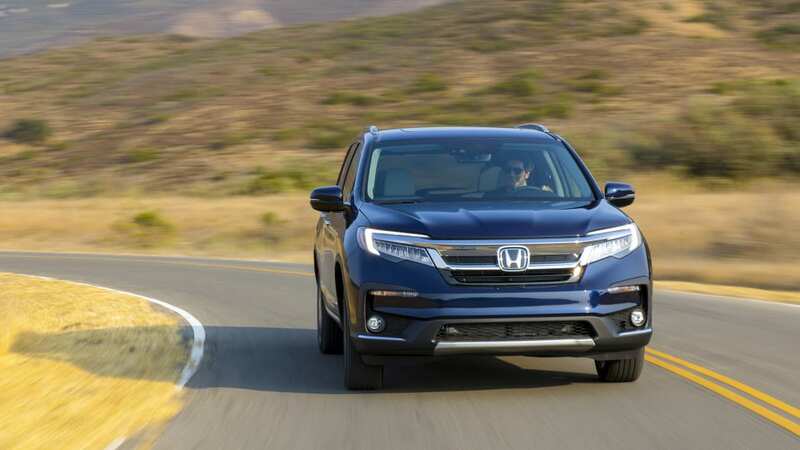 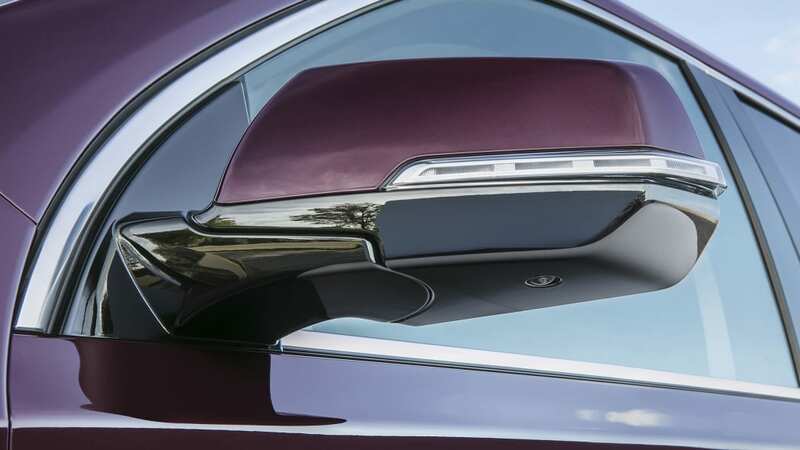 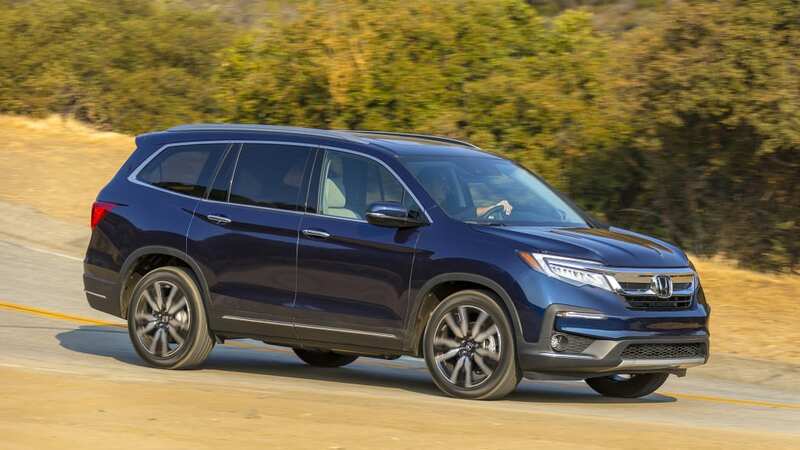 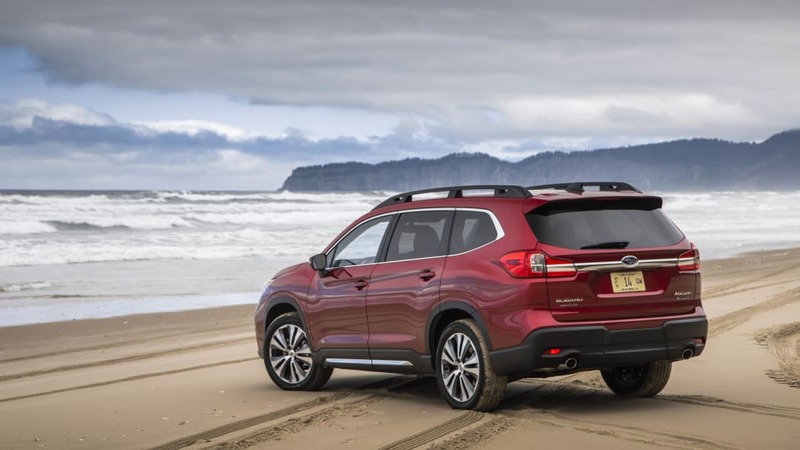 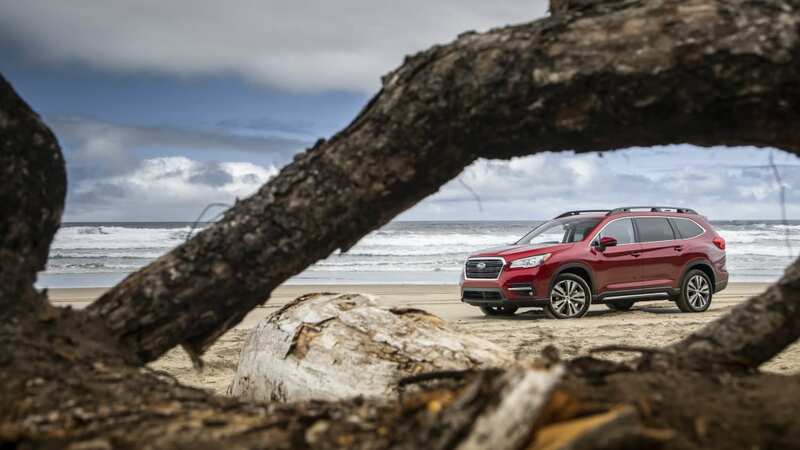 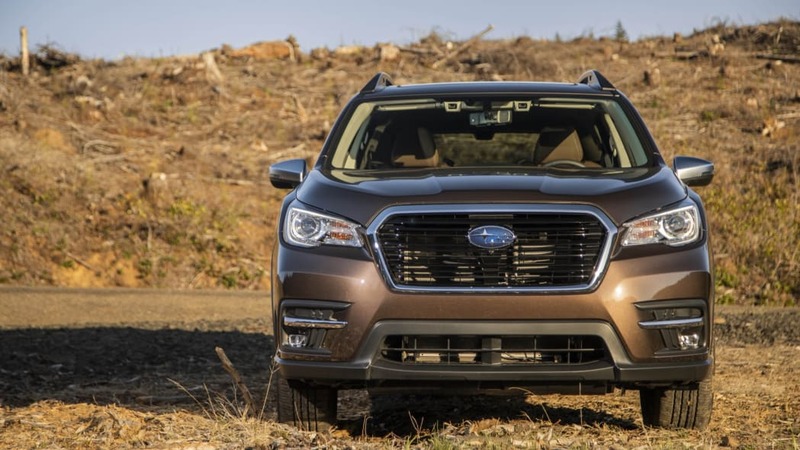 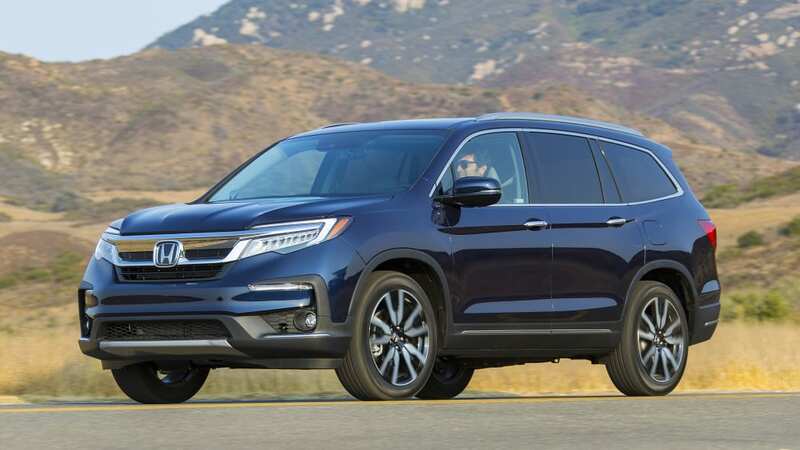 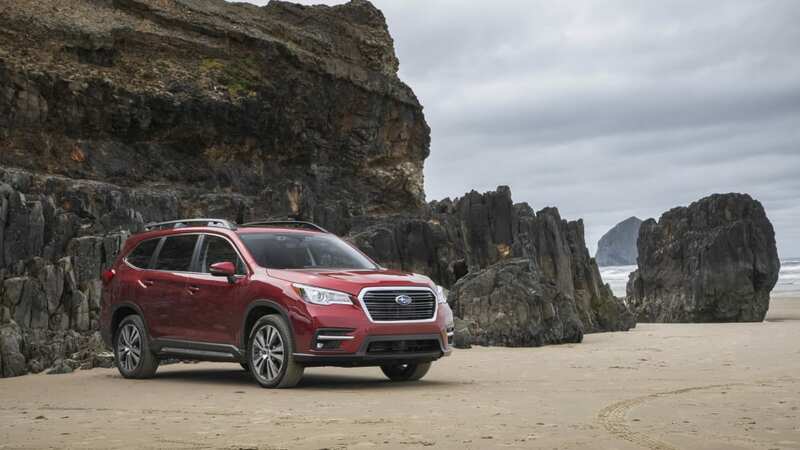 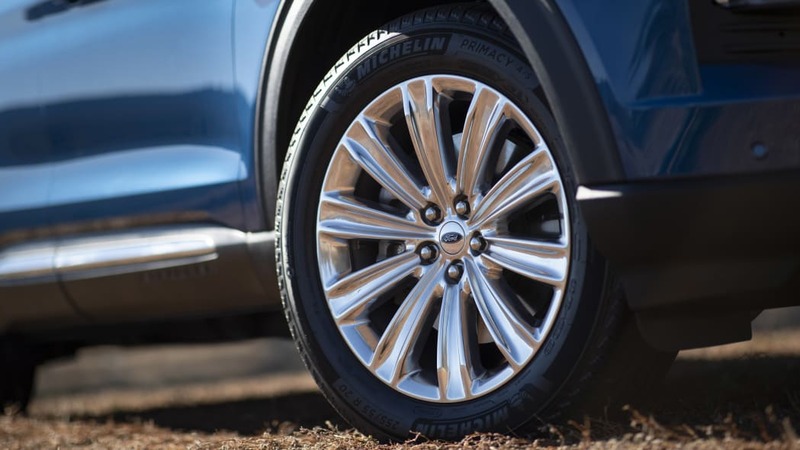 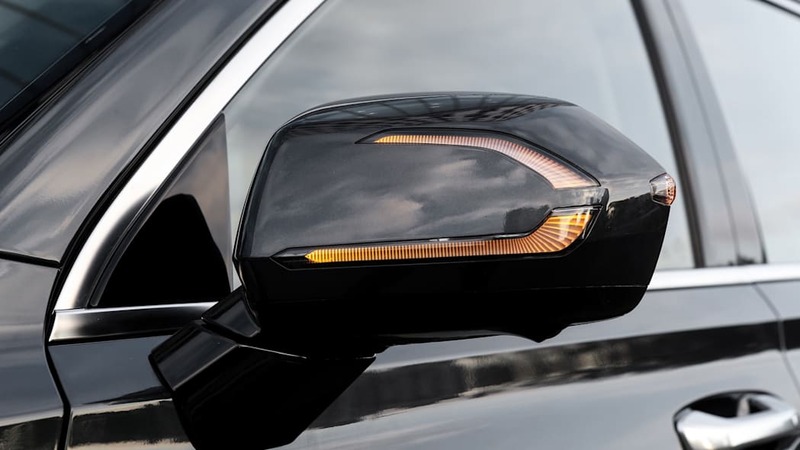 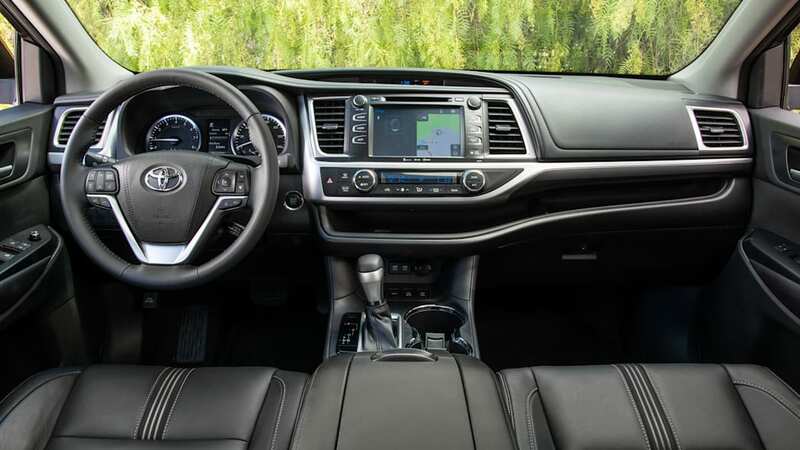 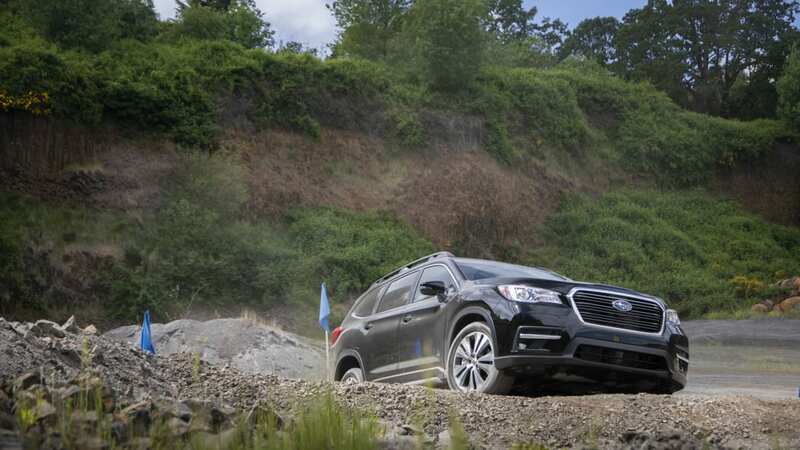 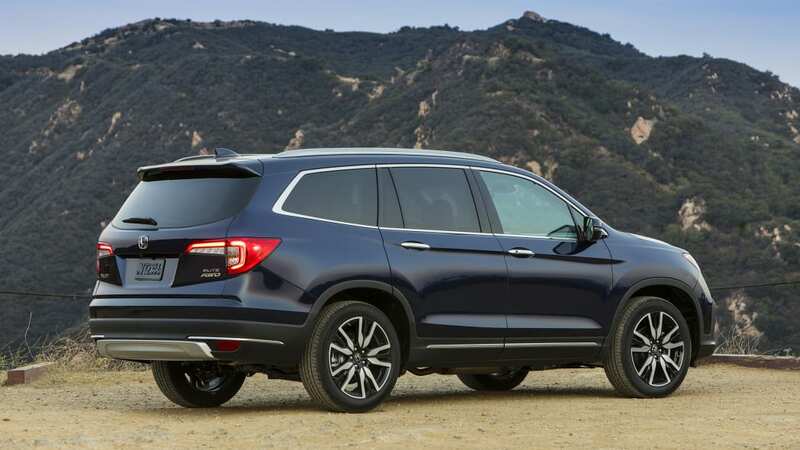 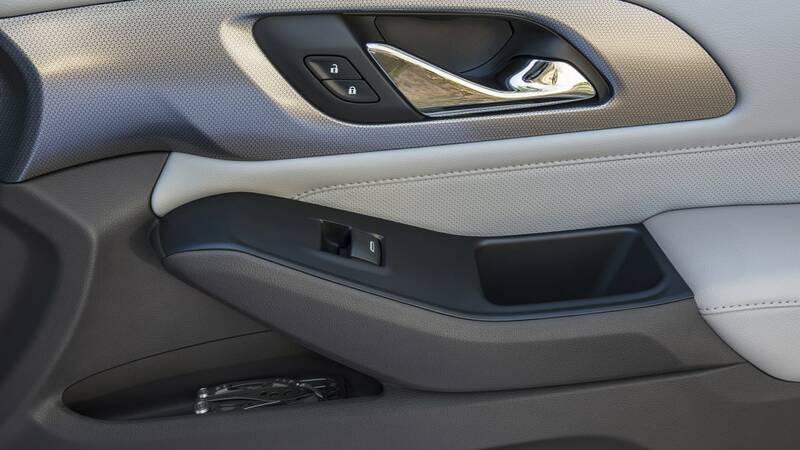 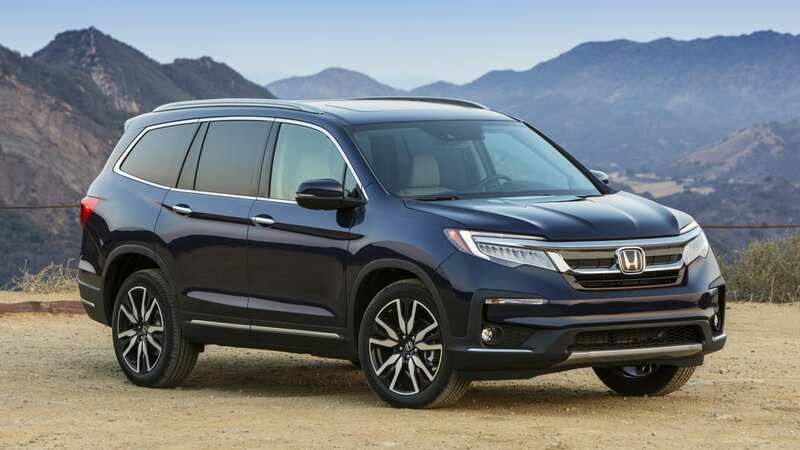 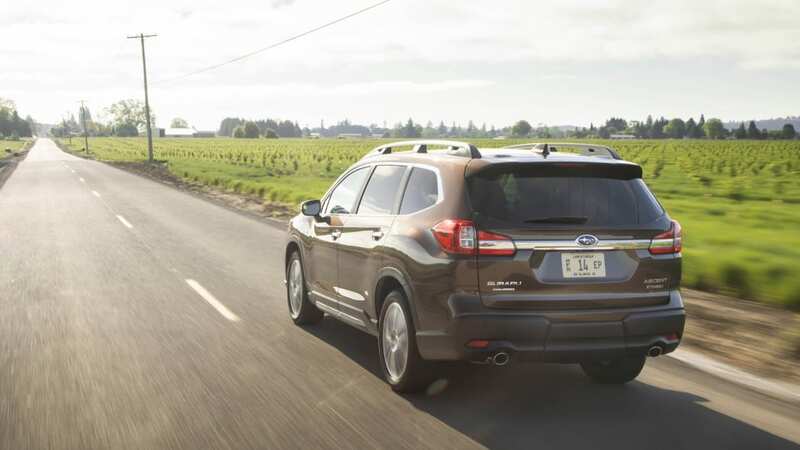 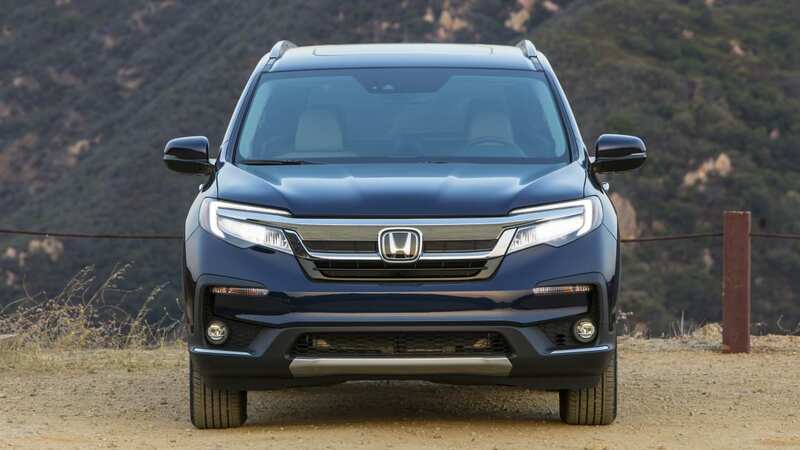 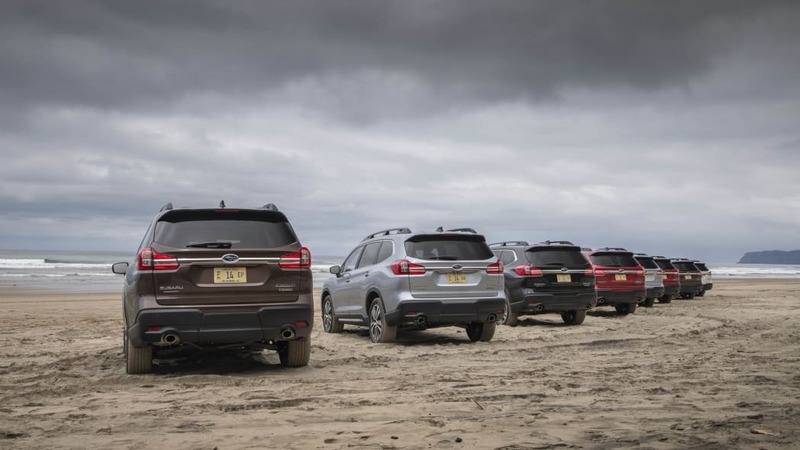 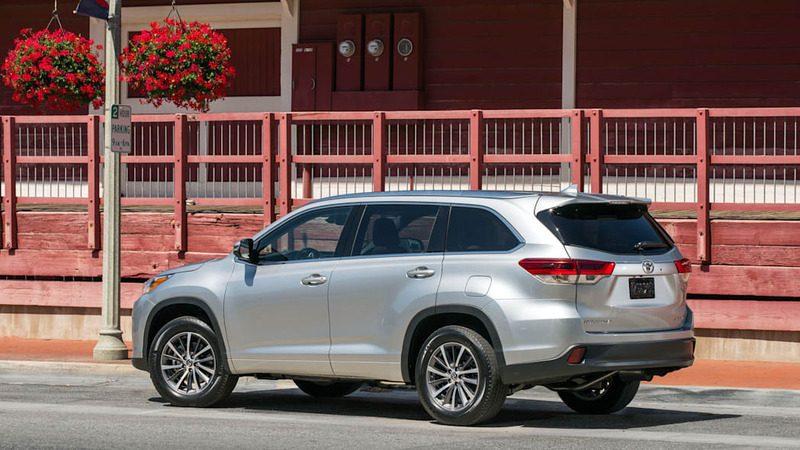 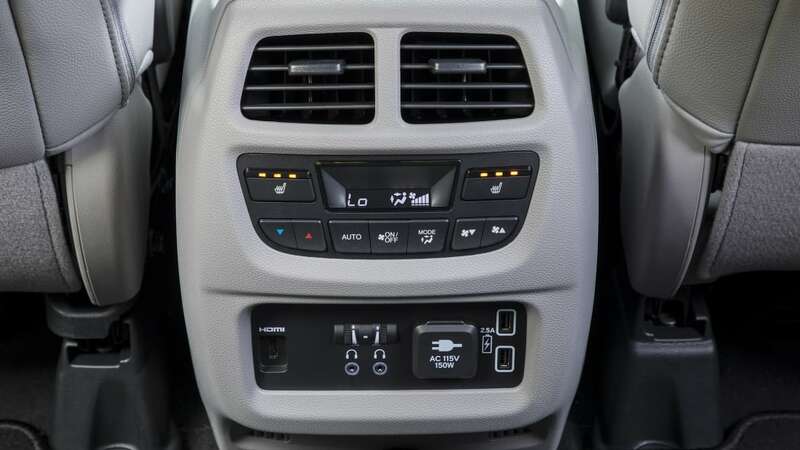 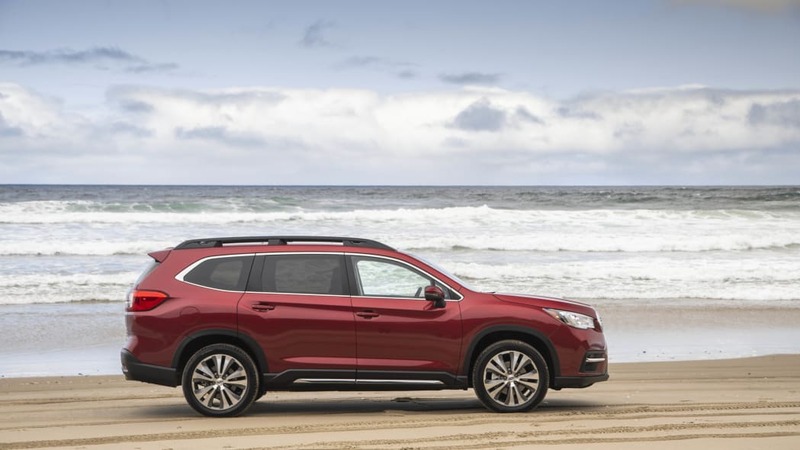 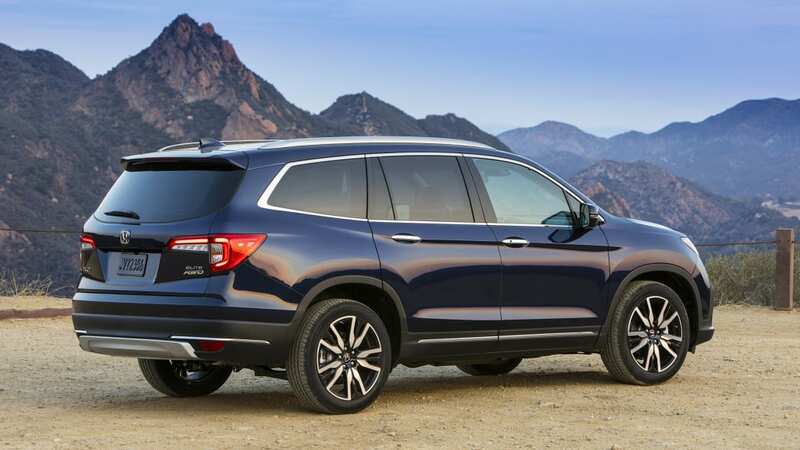 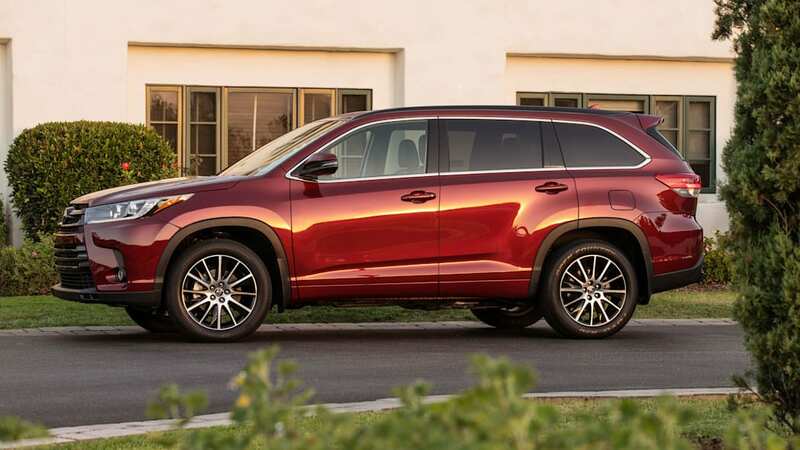 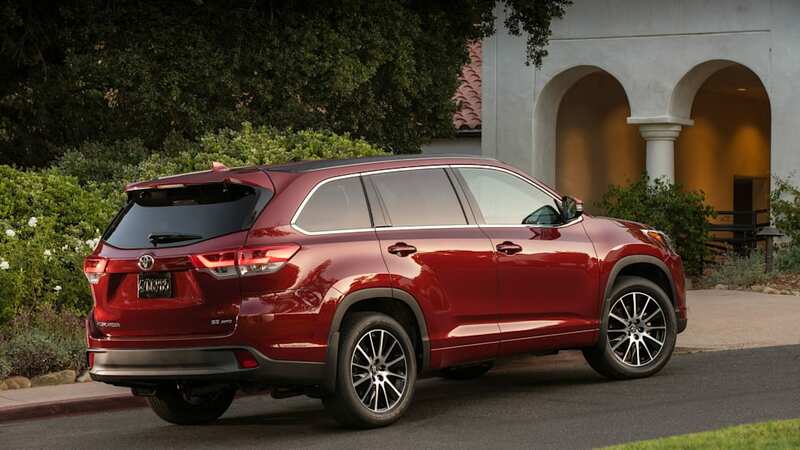 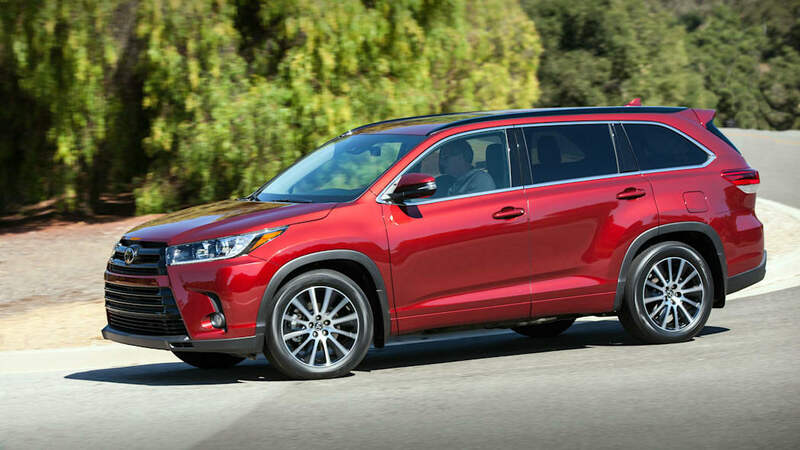 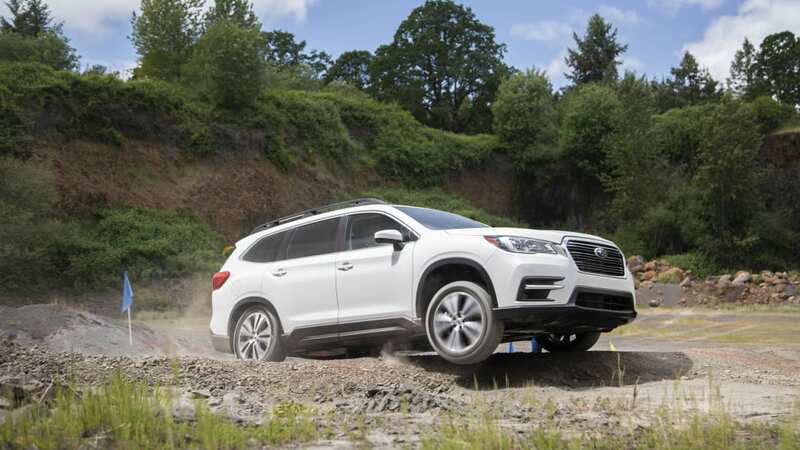 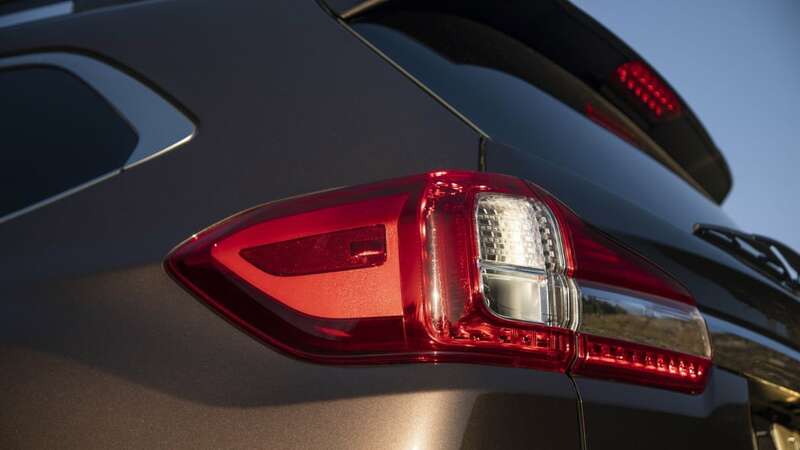 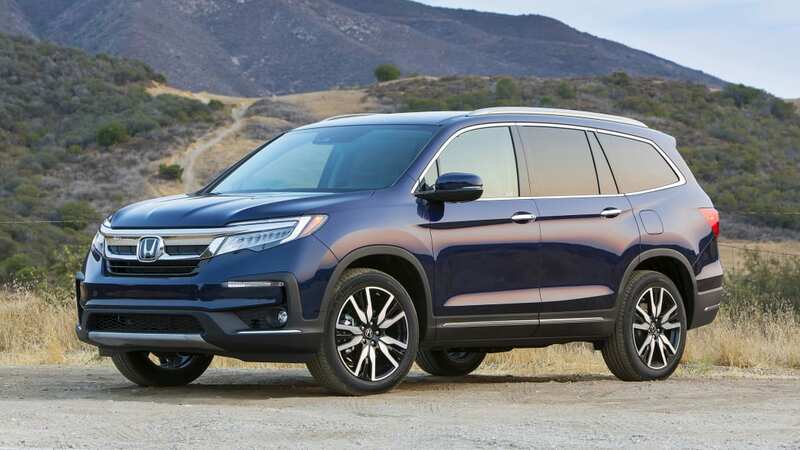 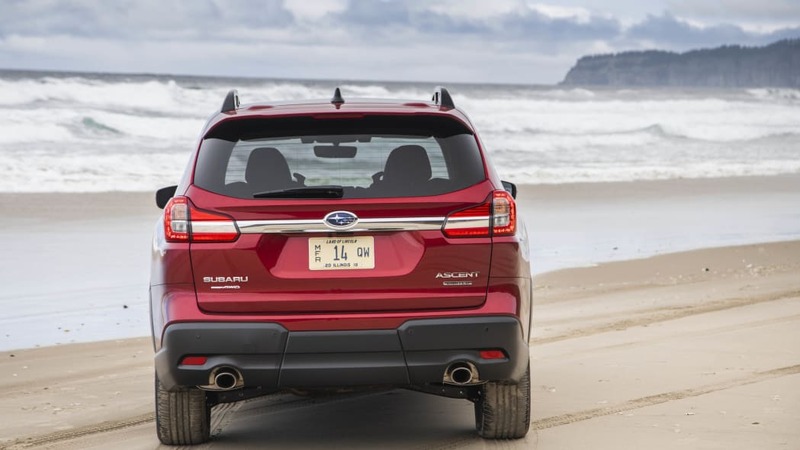 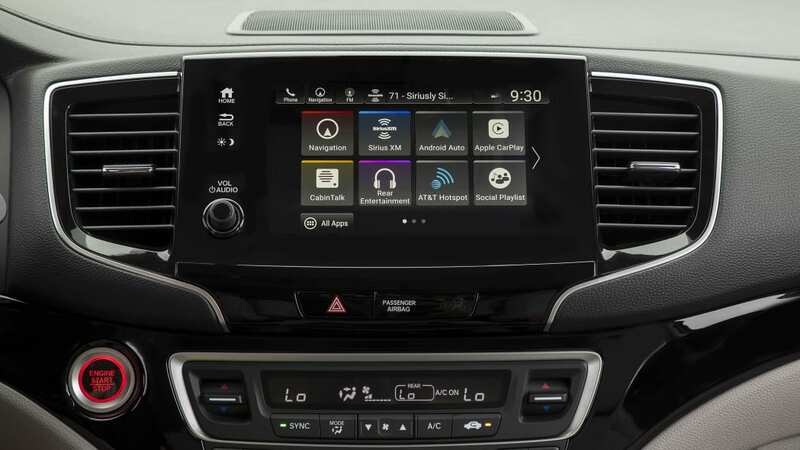 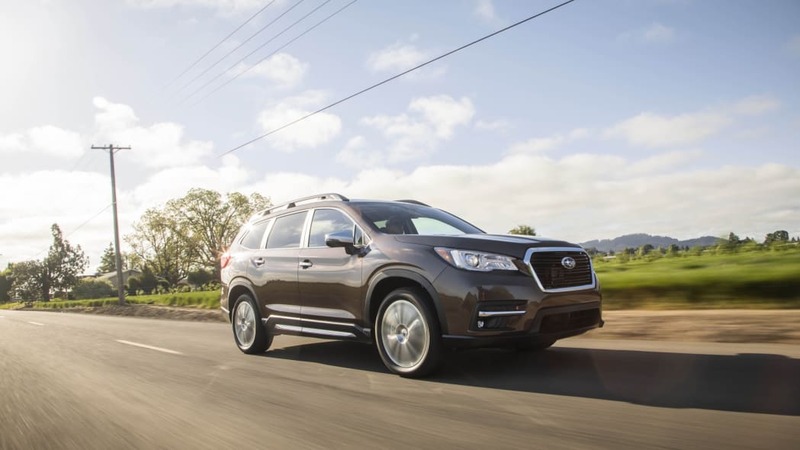 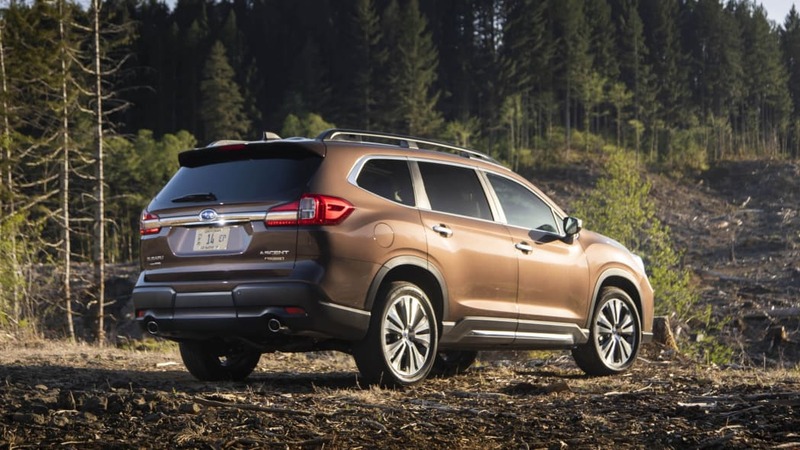 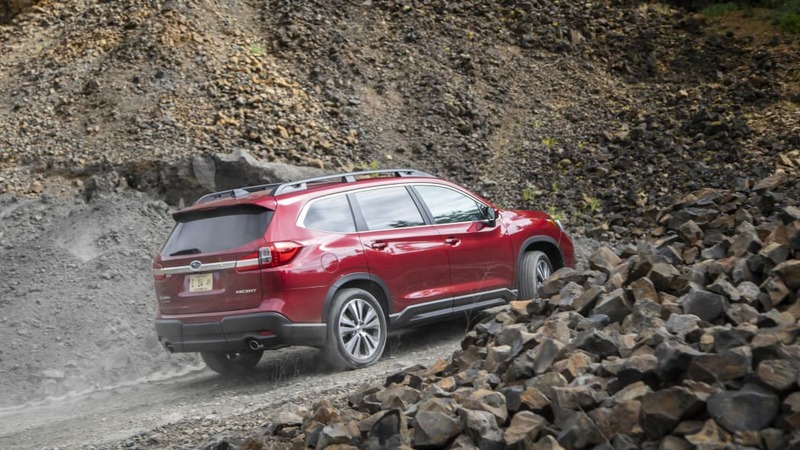 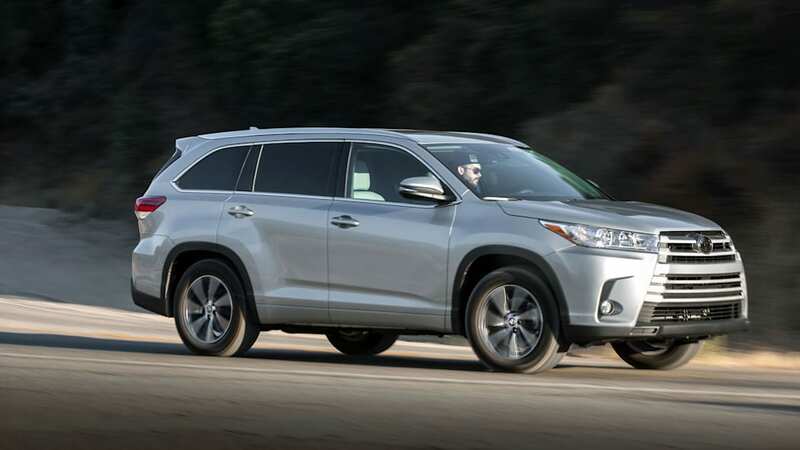 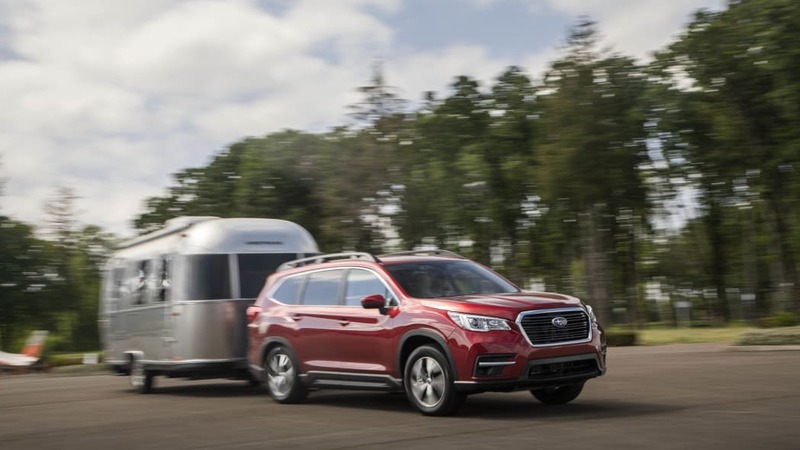 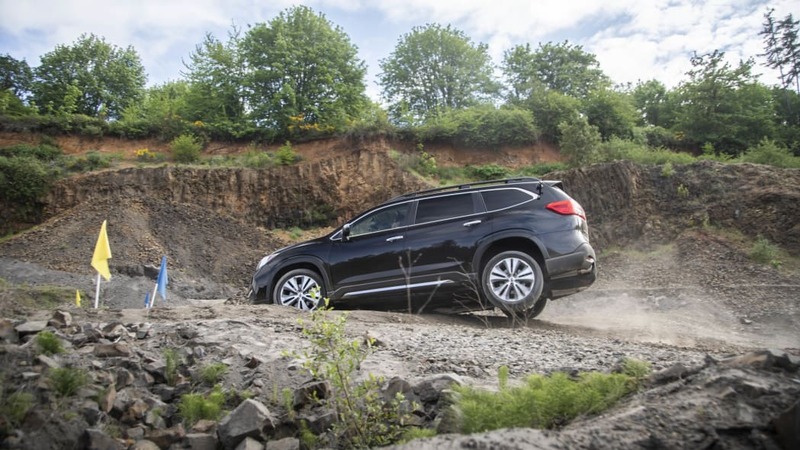 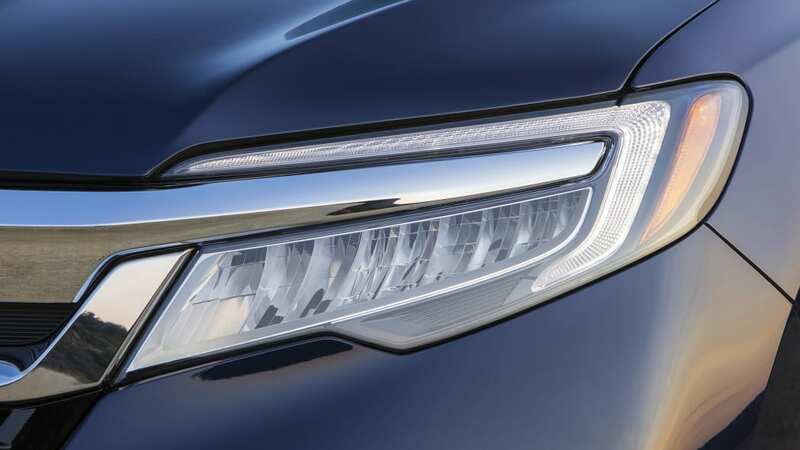 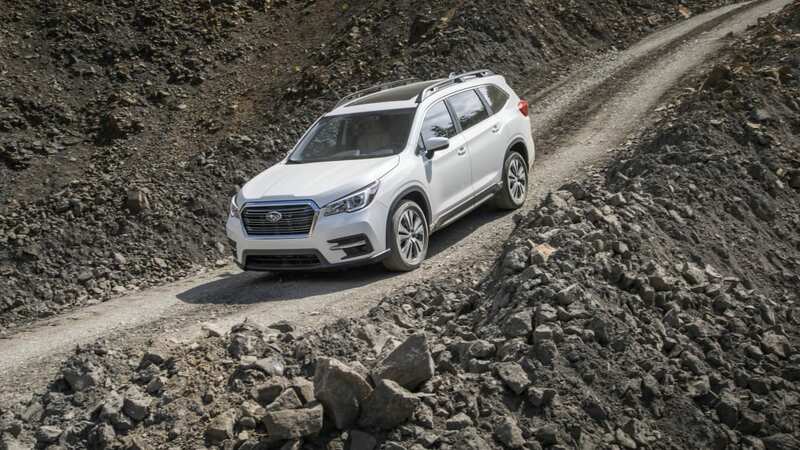 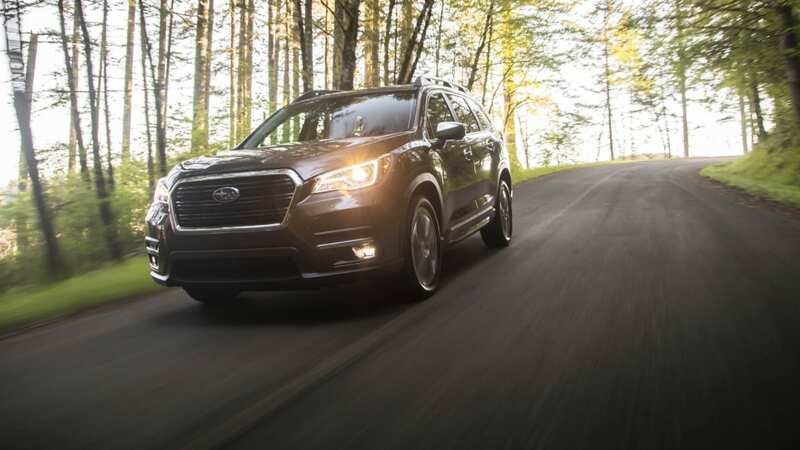 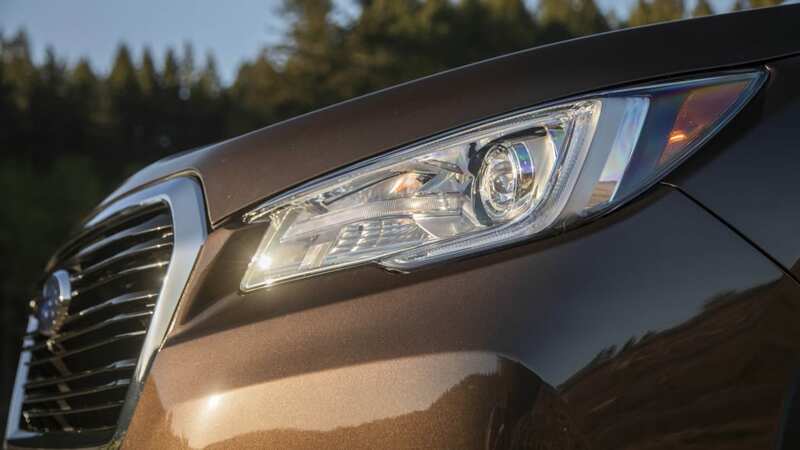 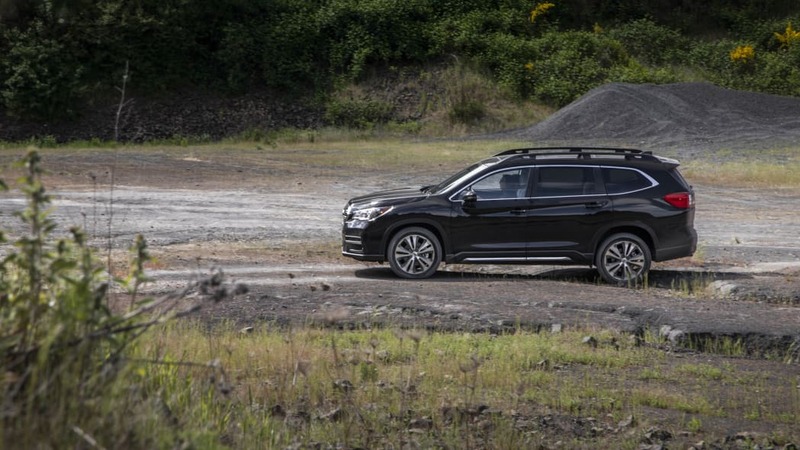 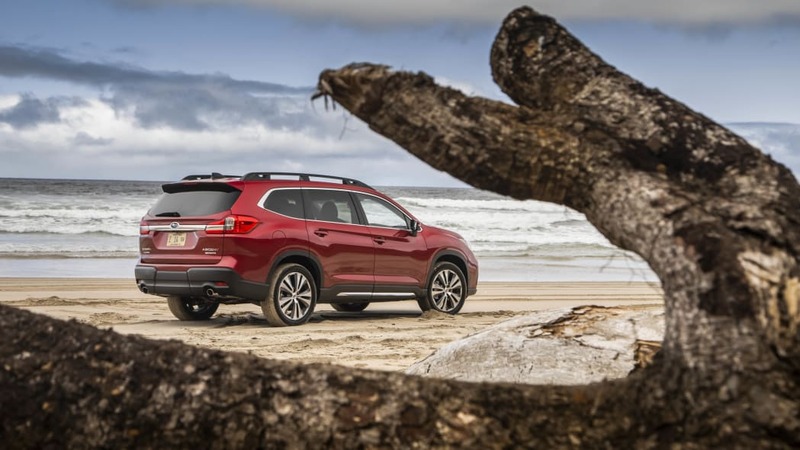 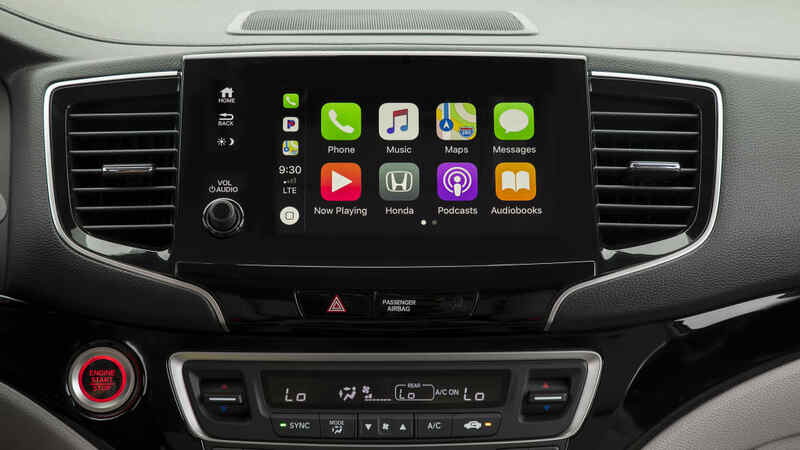 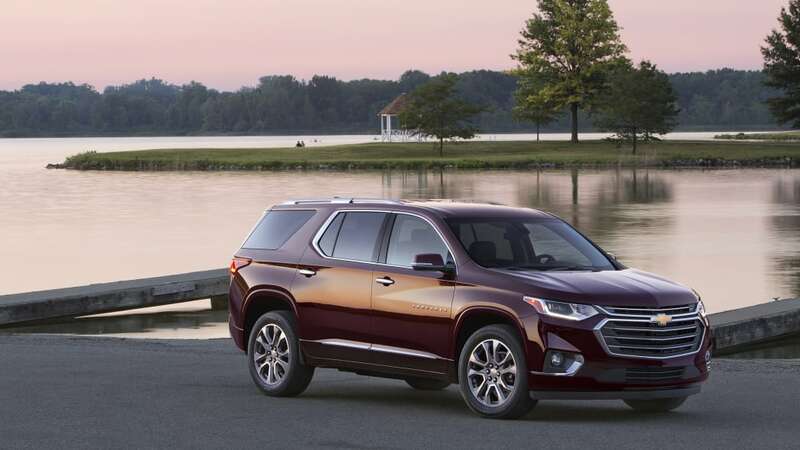 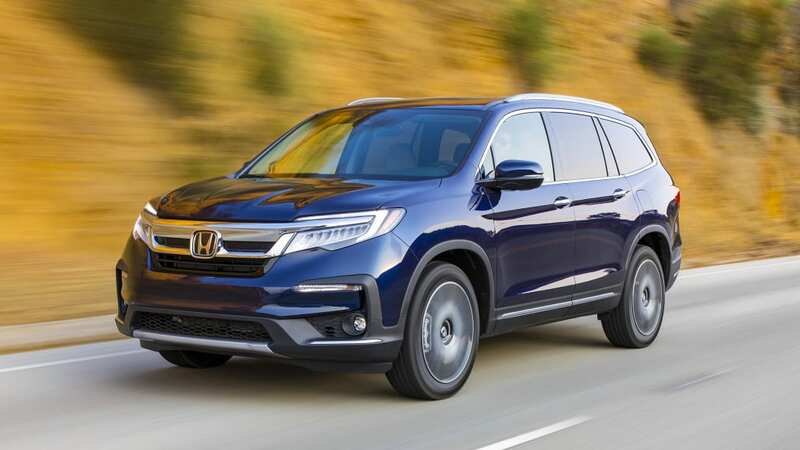 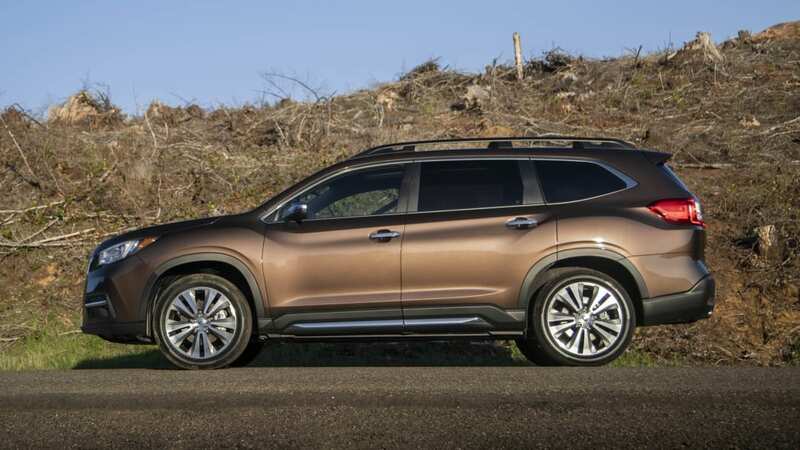 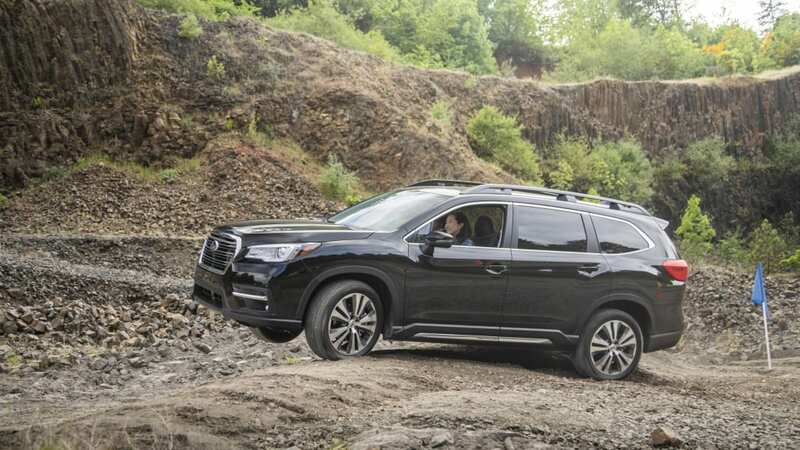 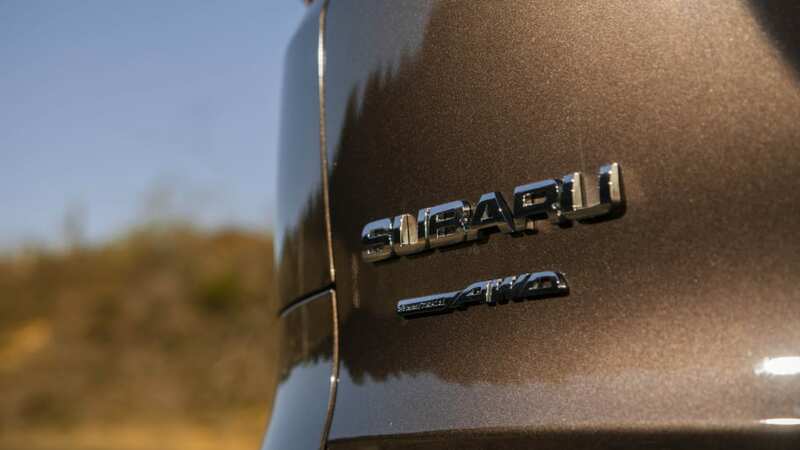 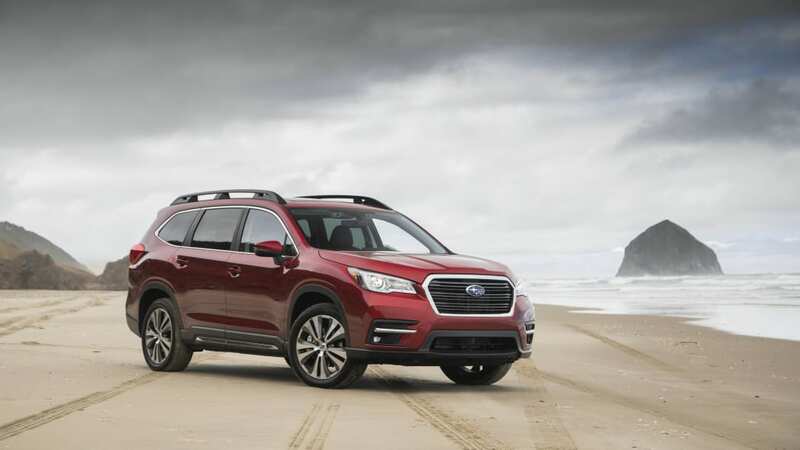 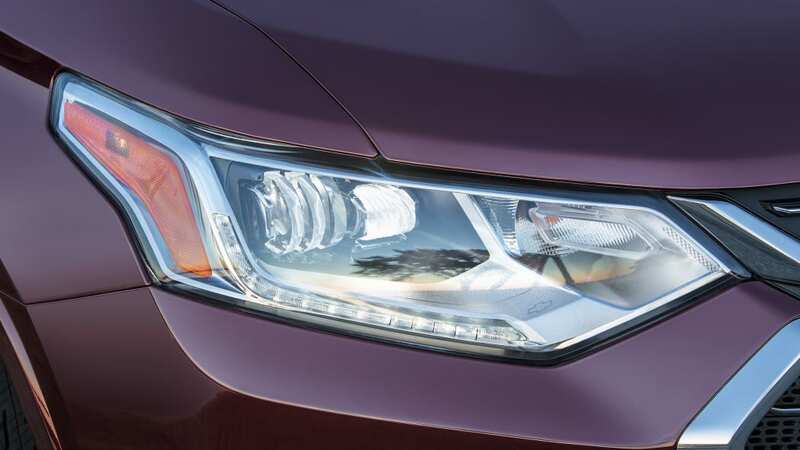 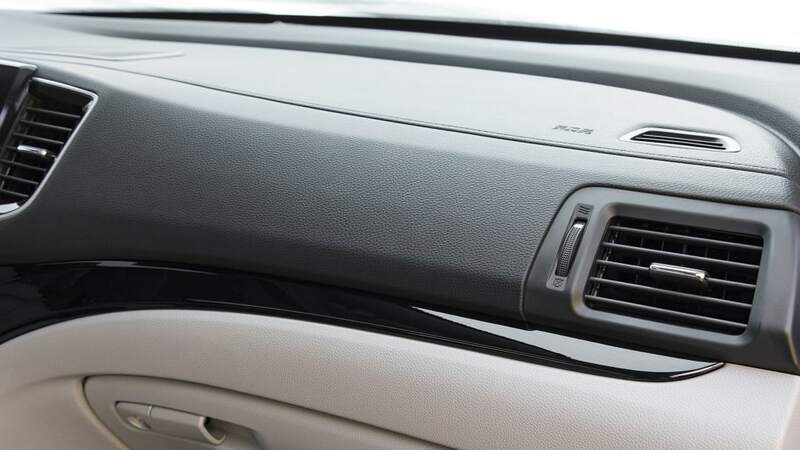 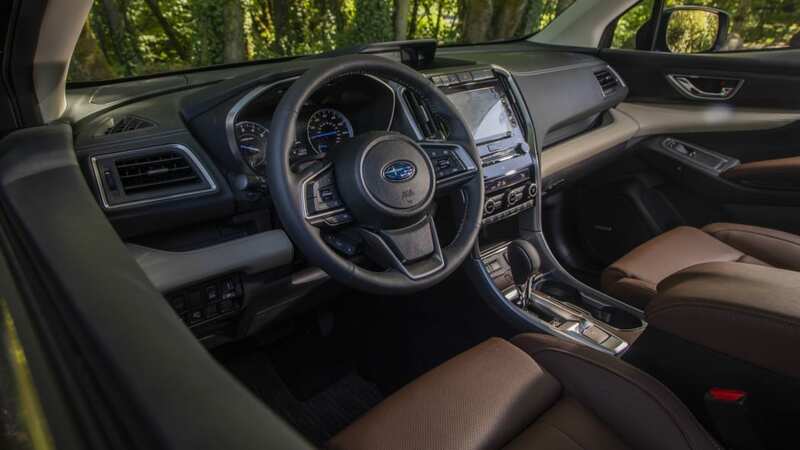 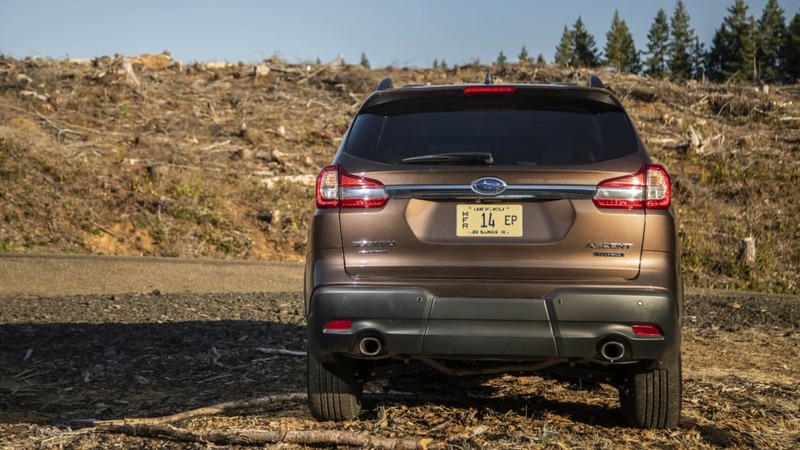 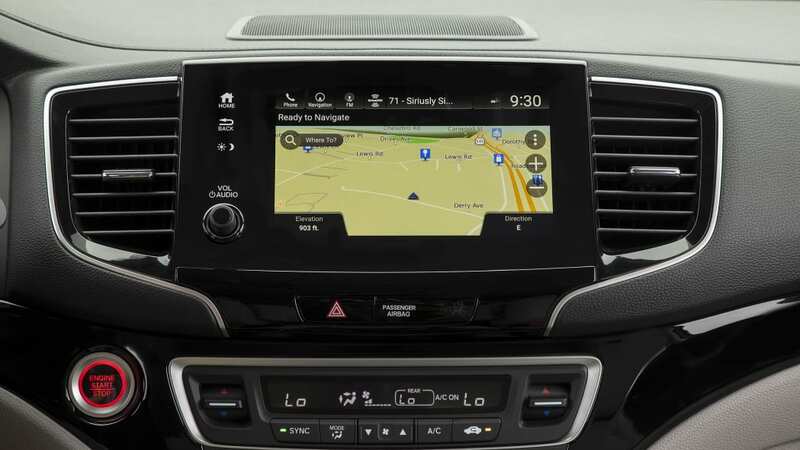 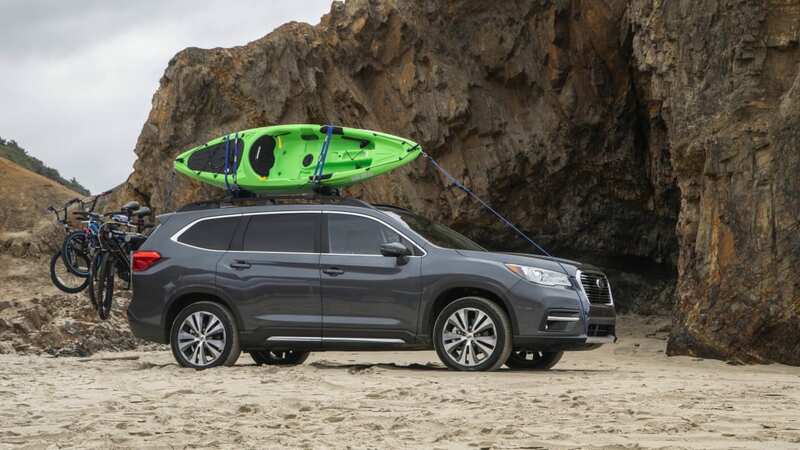 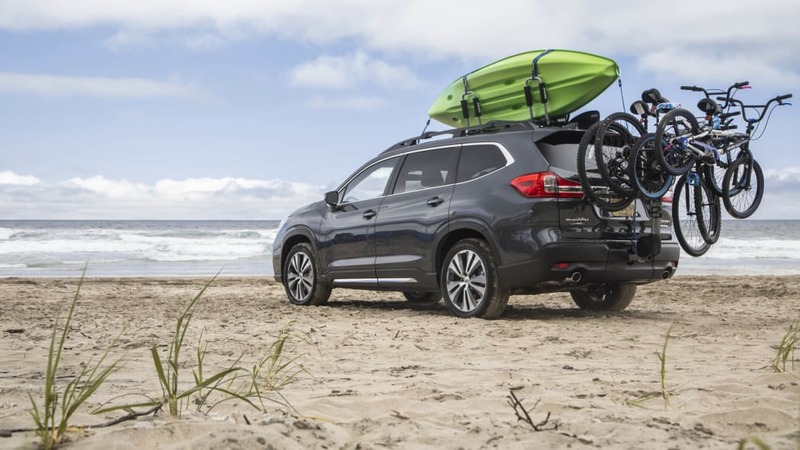 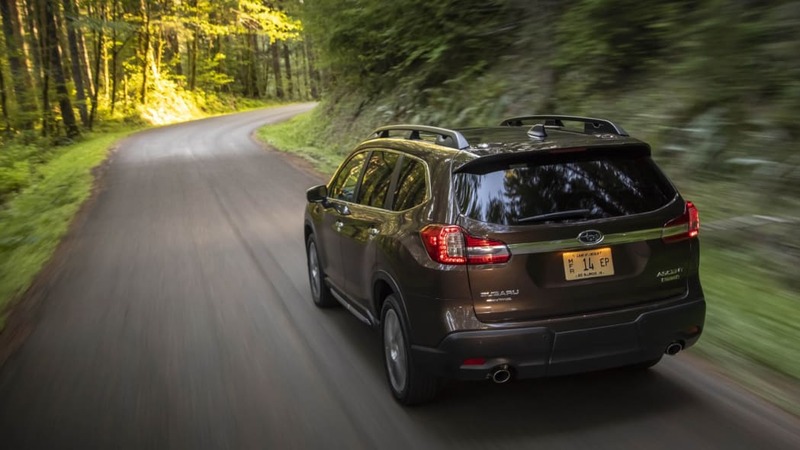 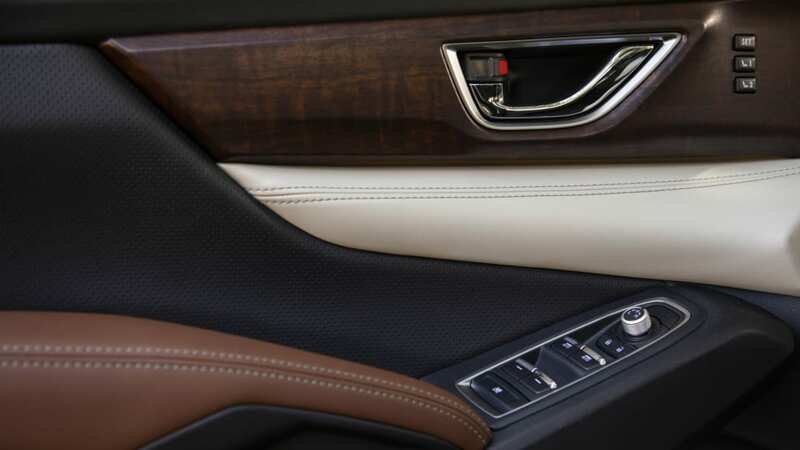 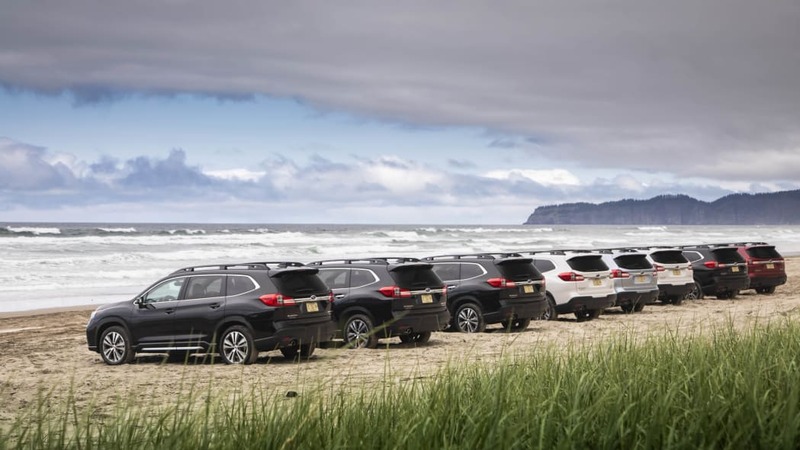 The Subaru Ascent, Honda Pilot and Toyota Highlander come standard with most of the same features, but blind-spot and rear cross-traffic systems show up on upper trim levels. 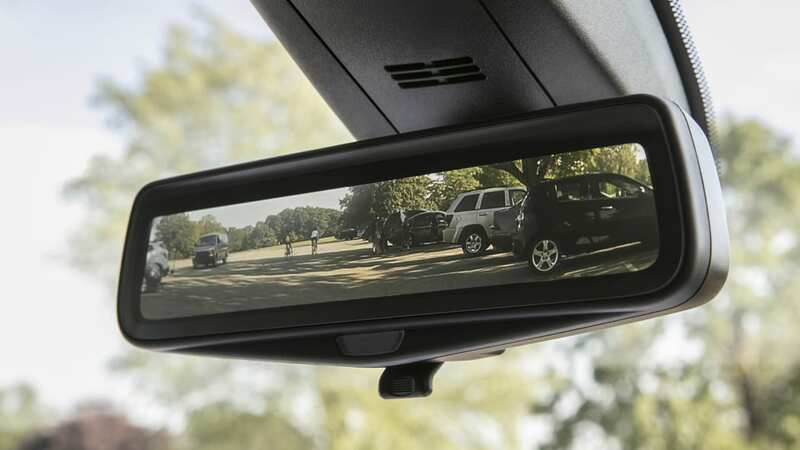 You also have to get out and un-smudge the rearview camera yourself. 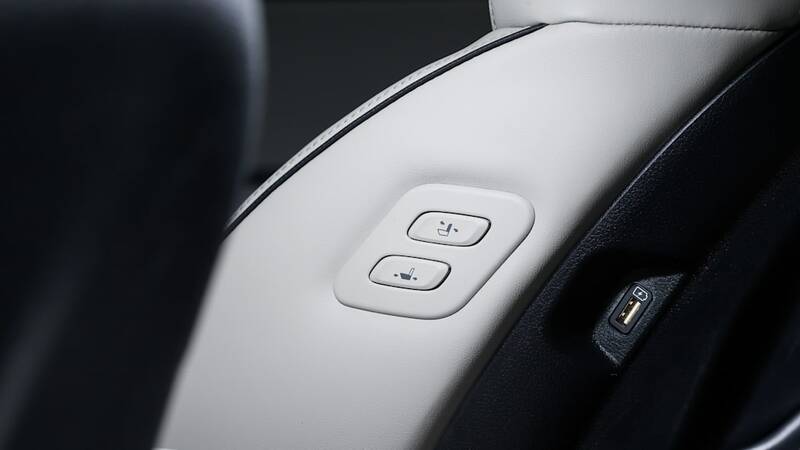 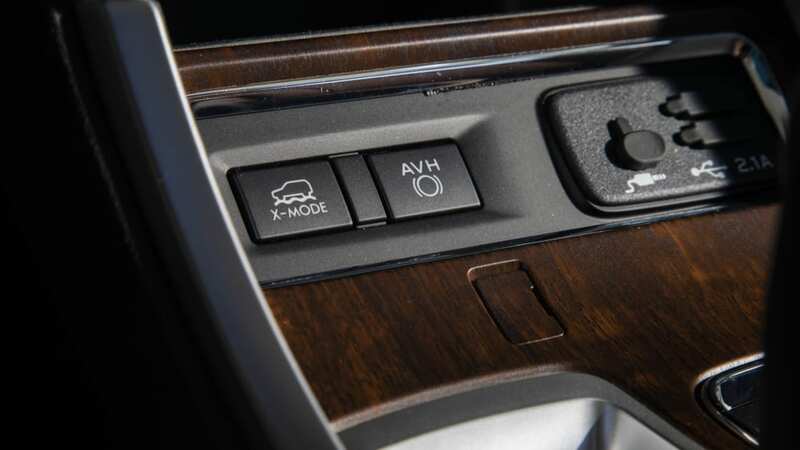 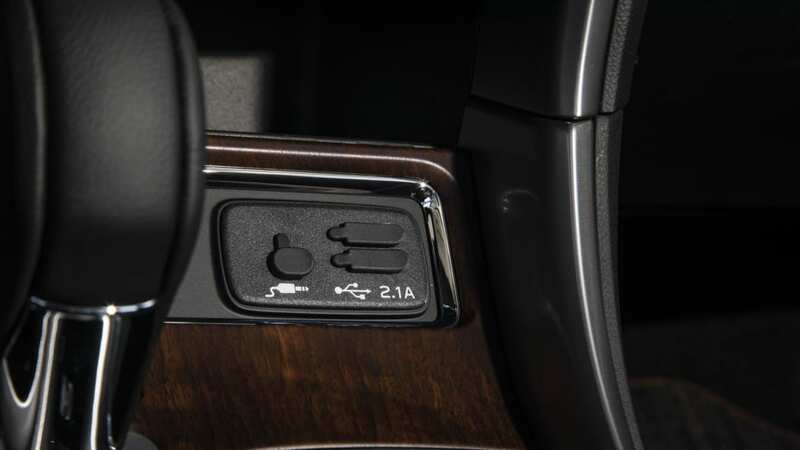 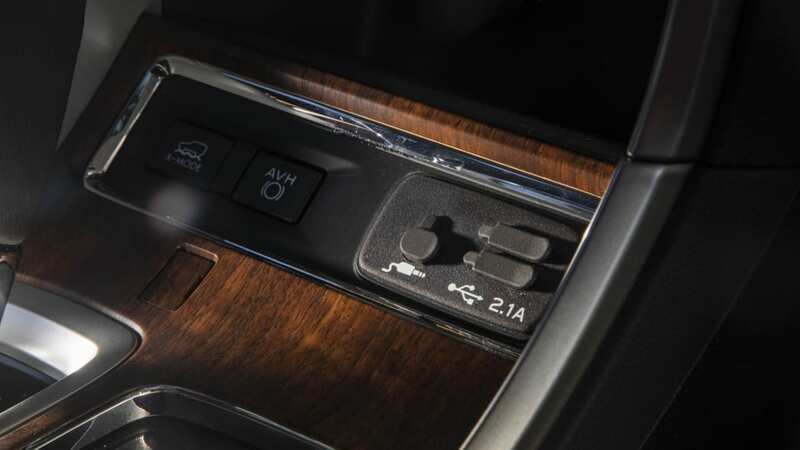 On the other hand, they come standard with adaptive cruise control — that's included in the Explorer's Co-Pilot Assist+ package. 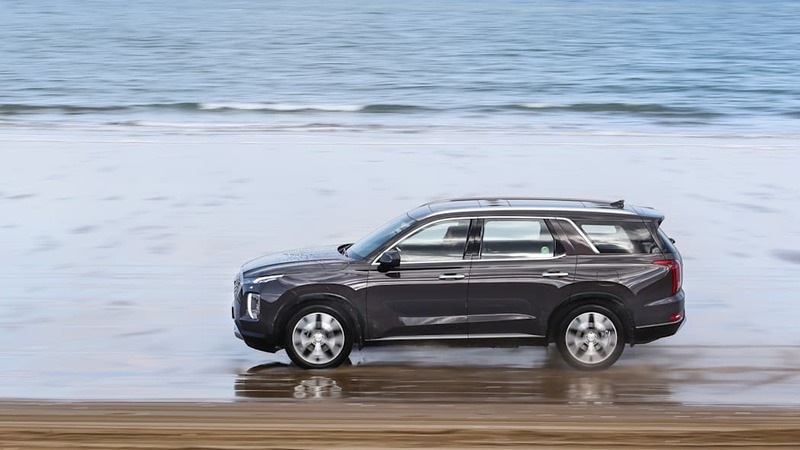 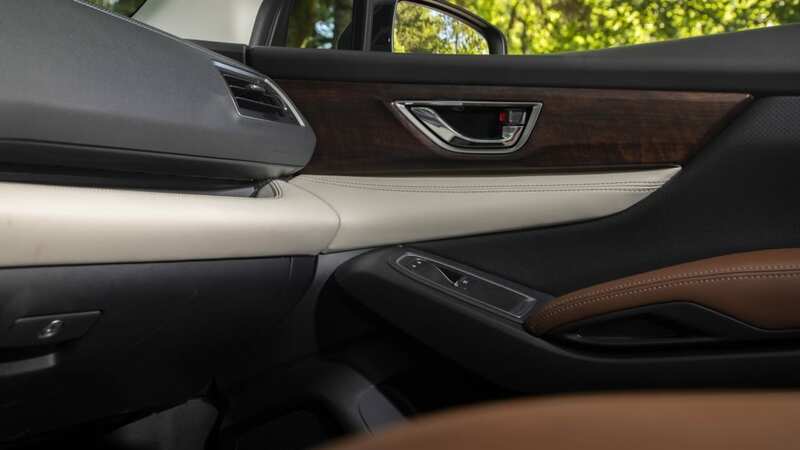 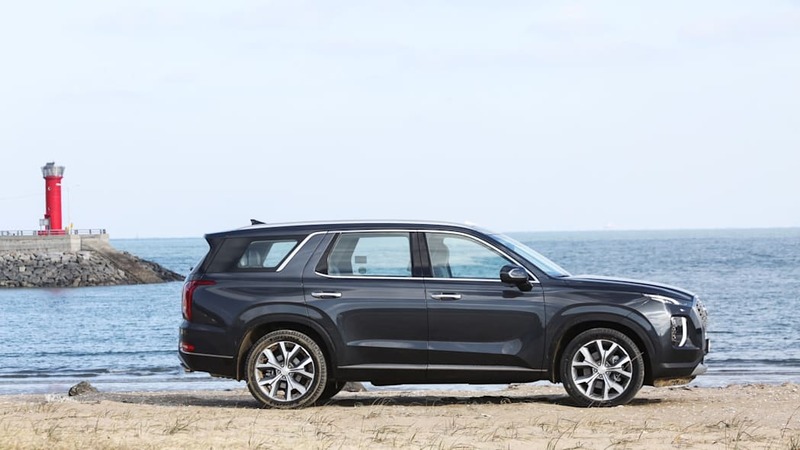 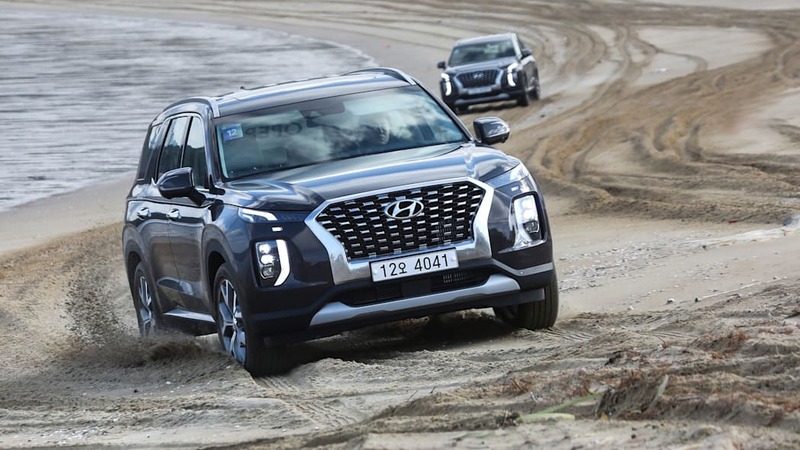 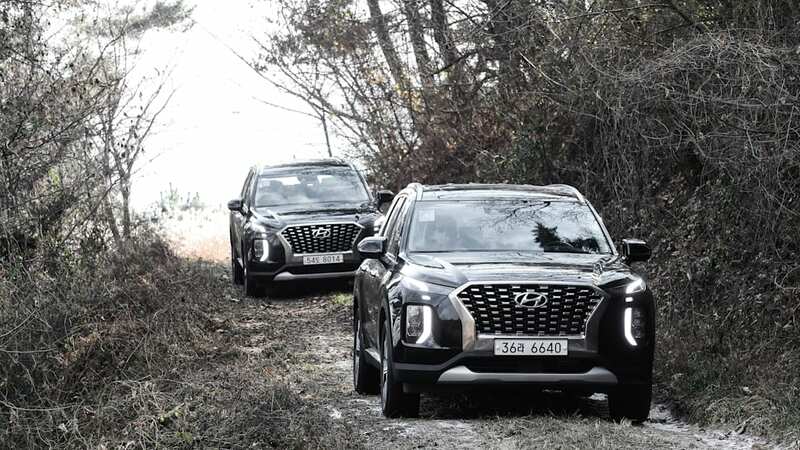 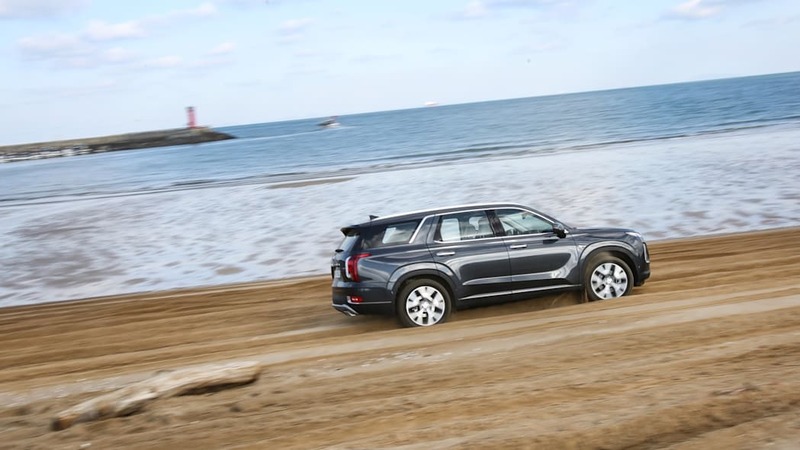 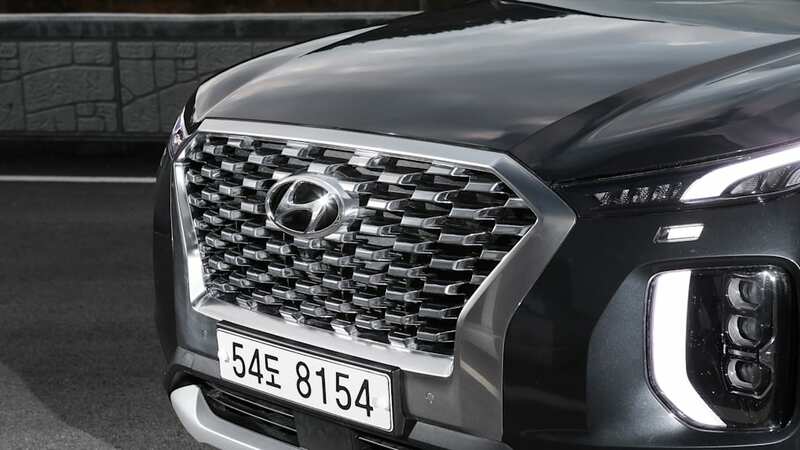 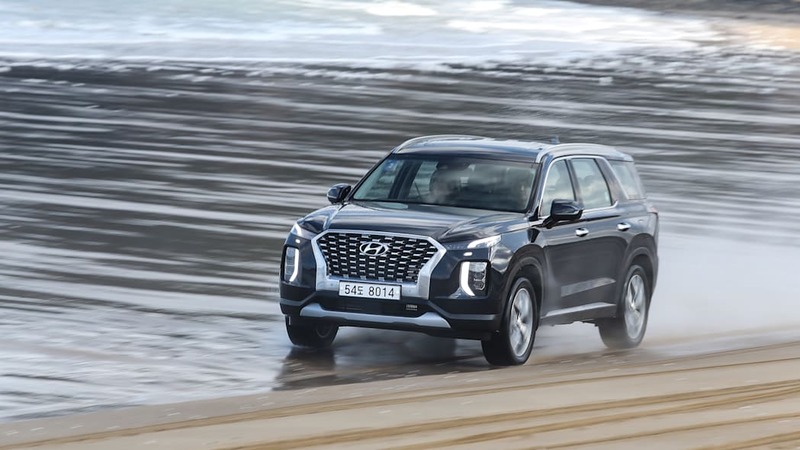 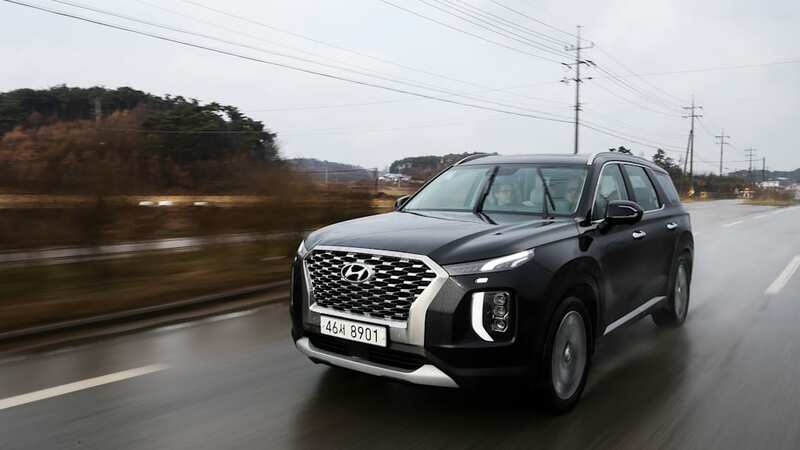 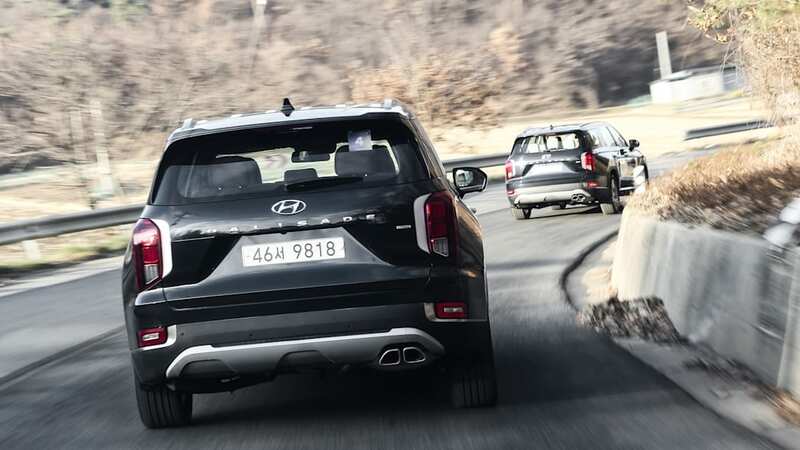 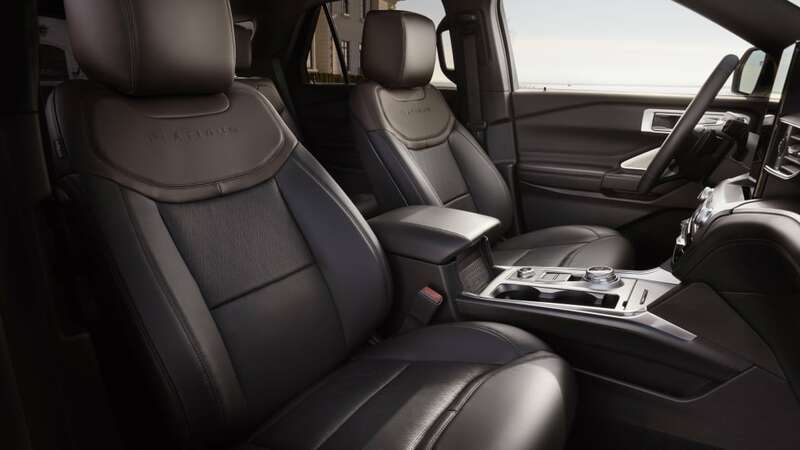 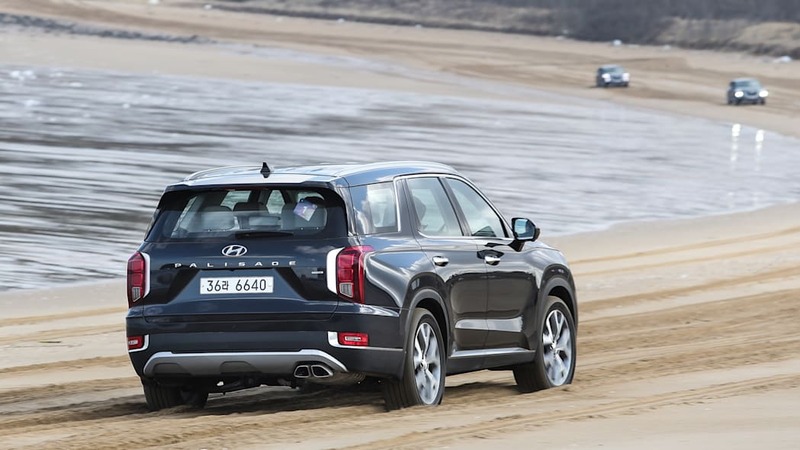 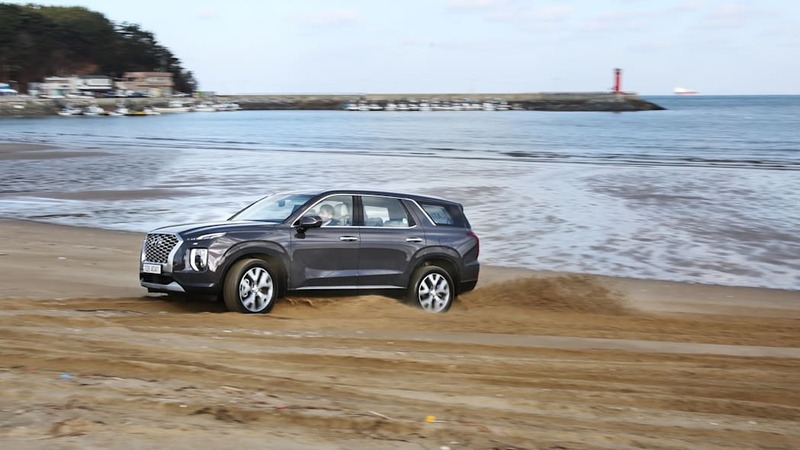 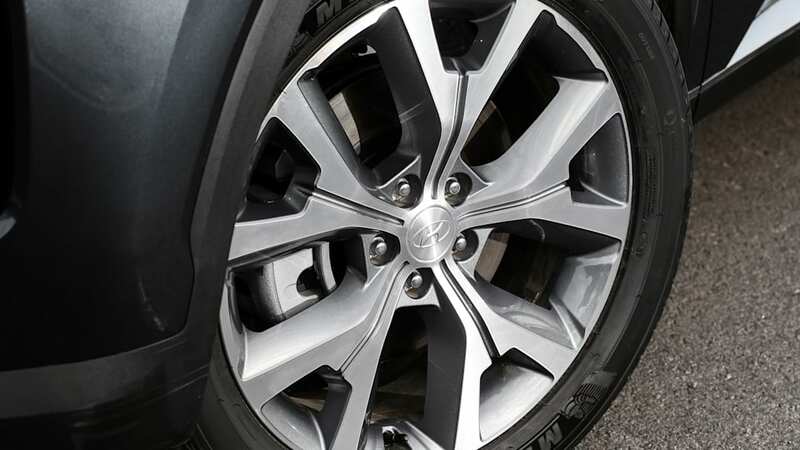 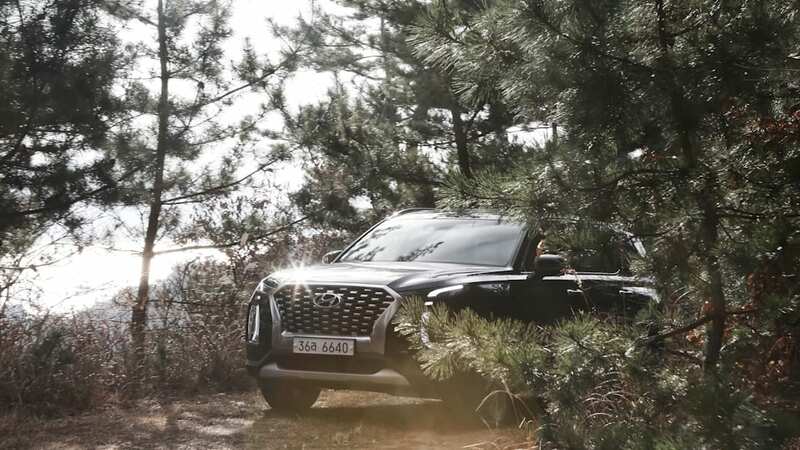 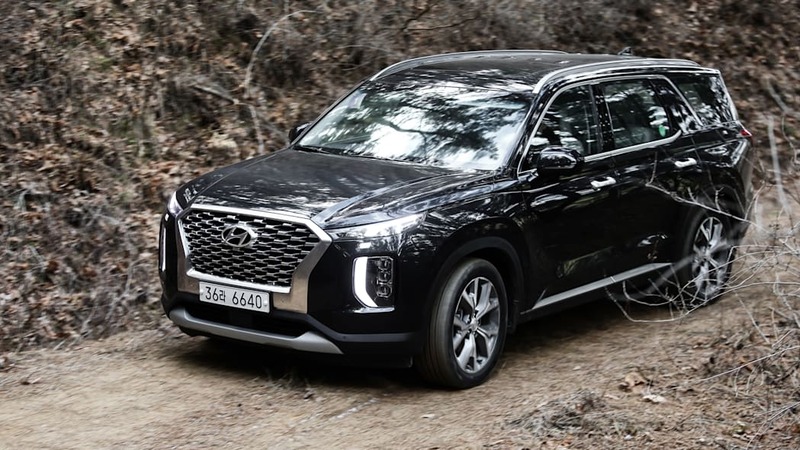 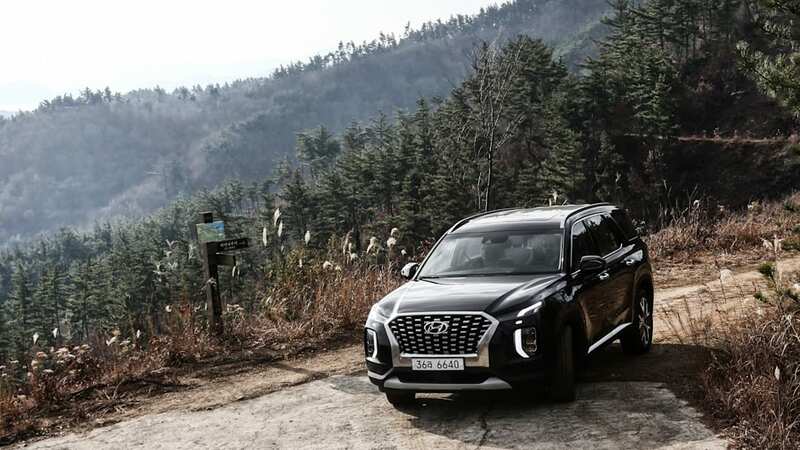 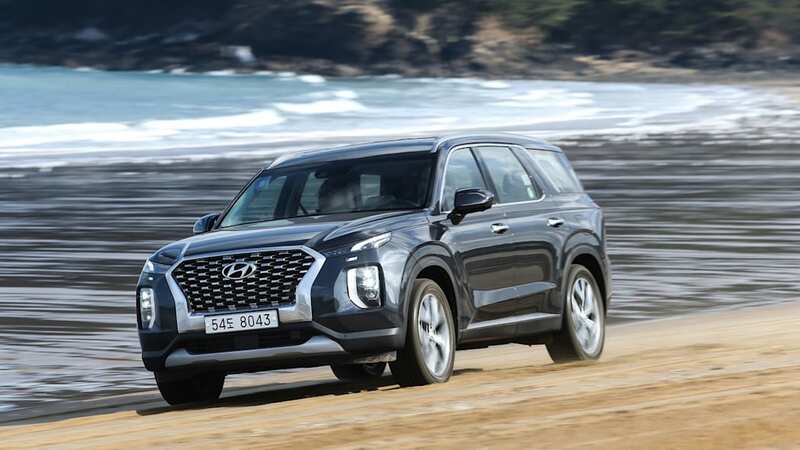 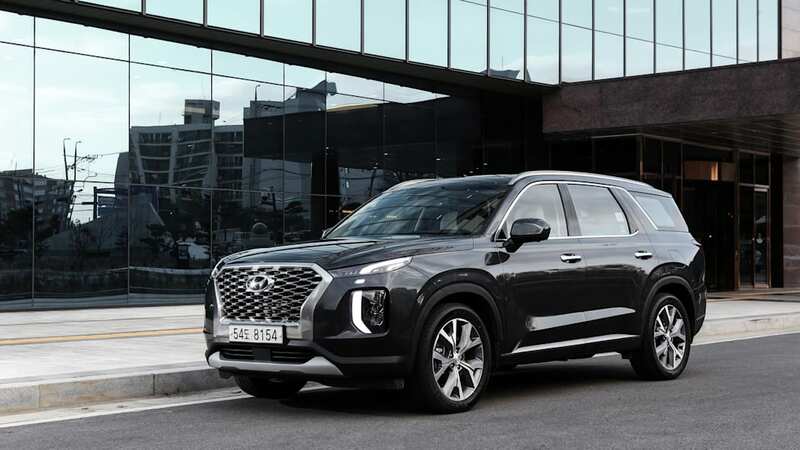 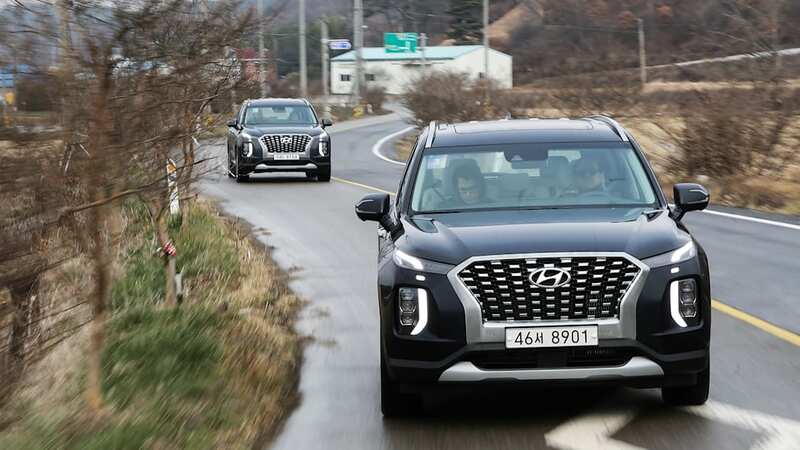 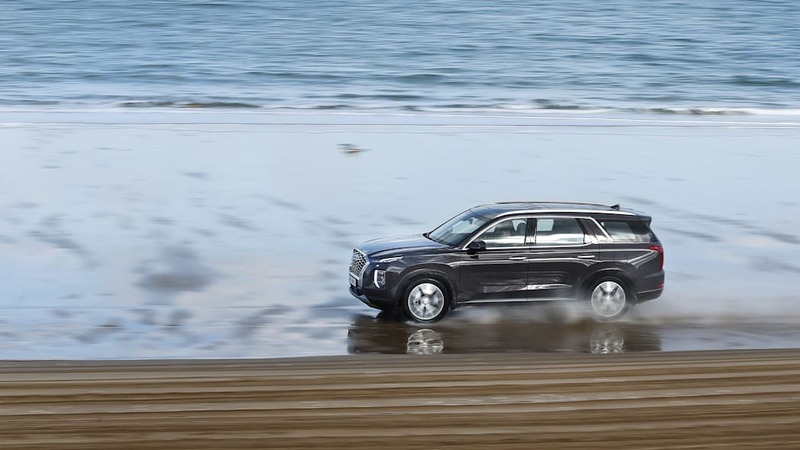 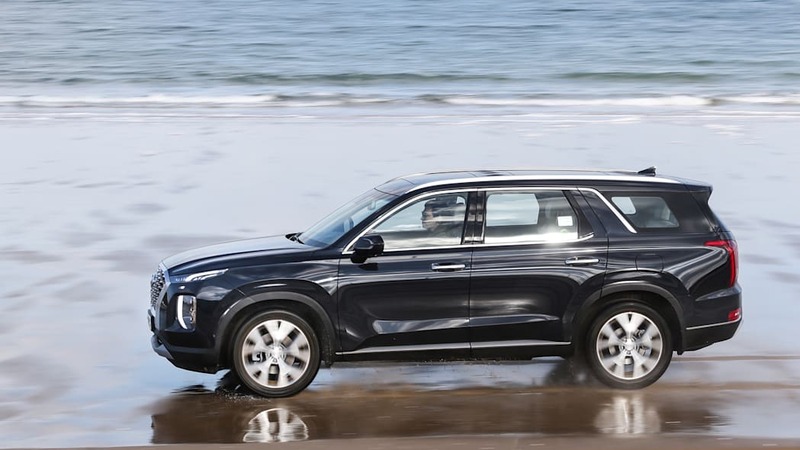 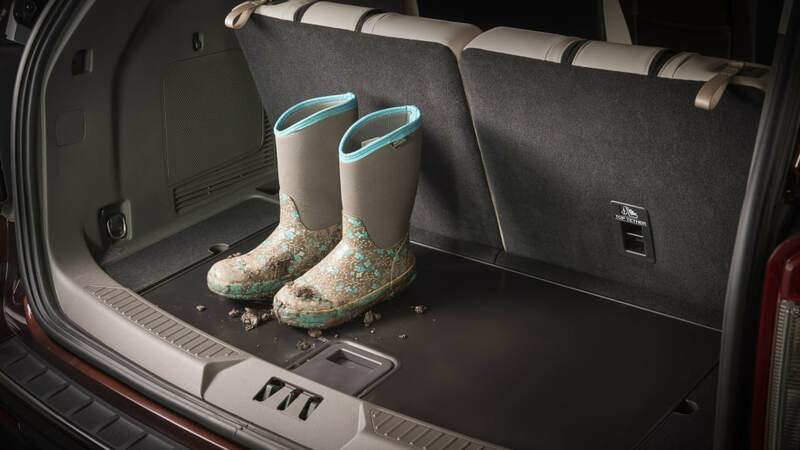 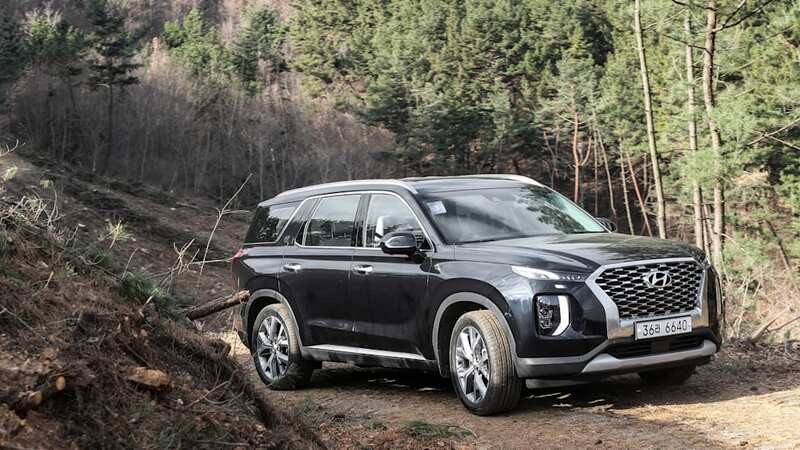 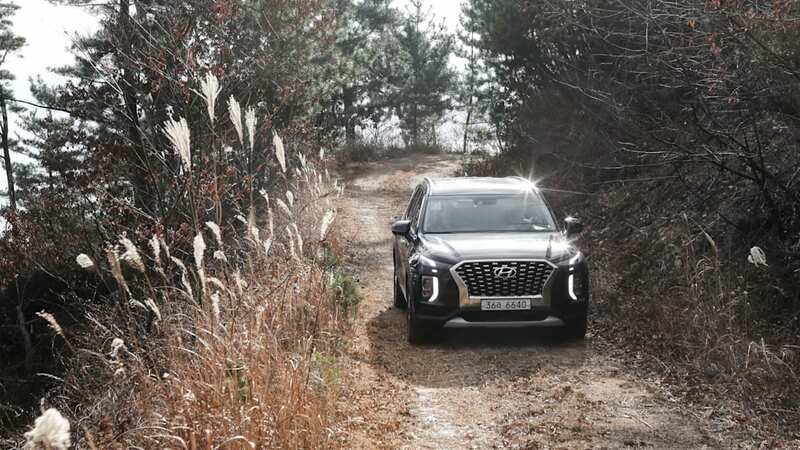 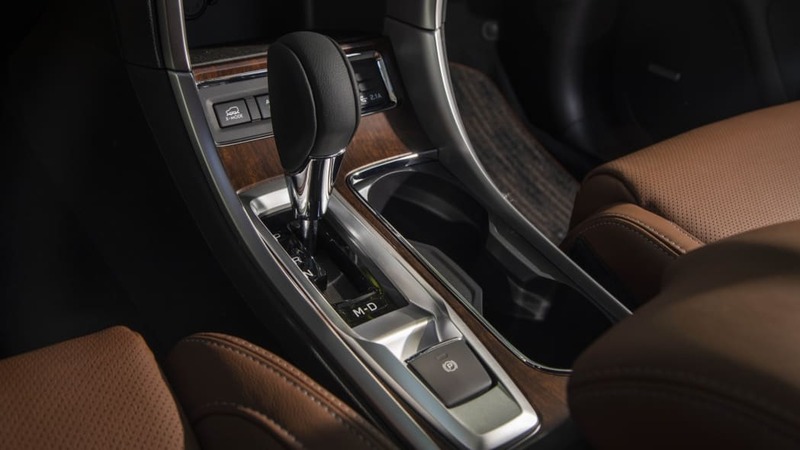 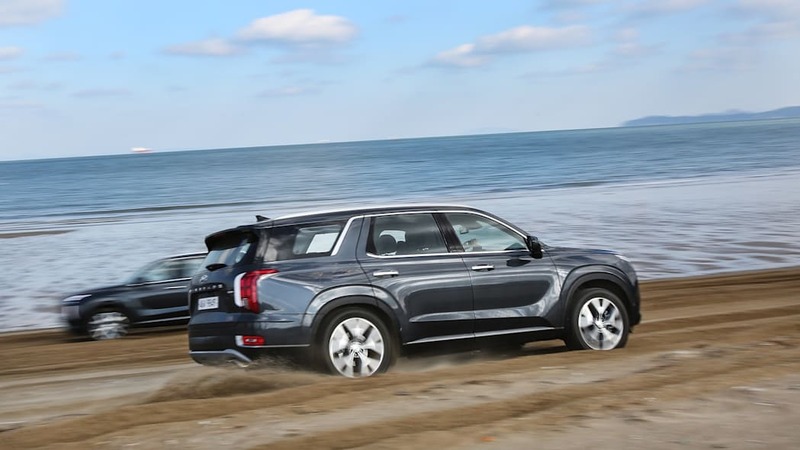 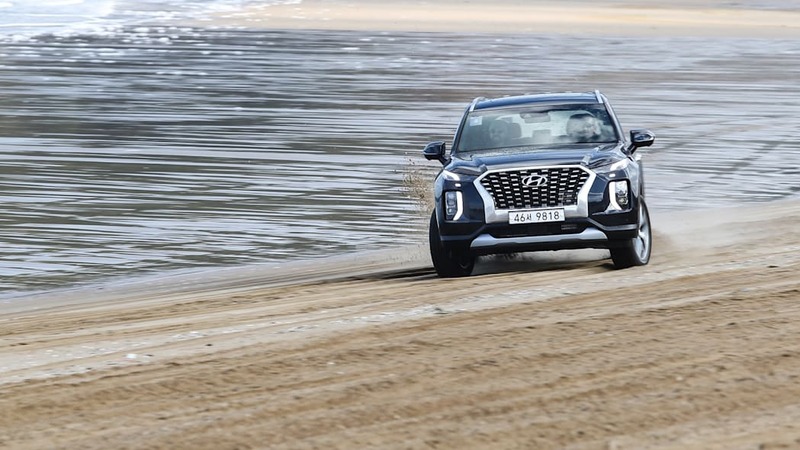 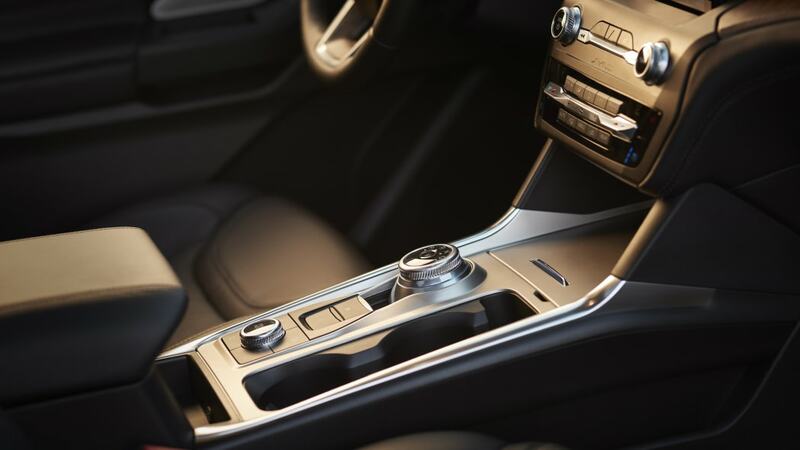 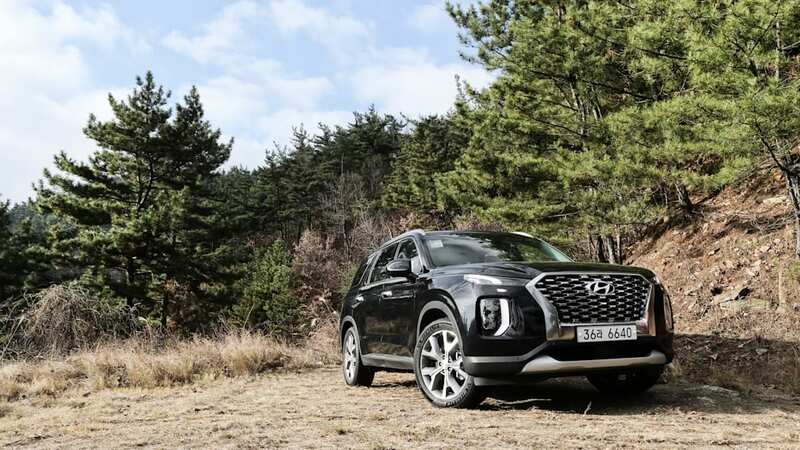 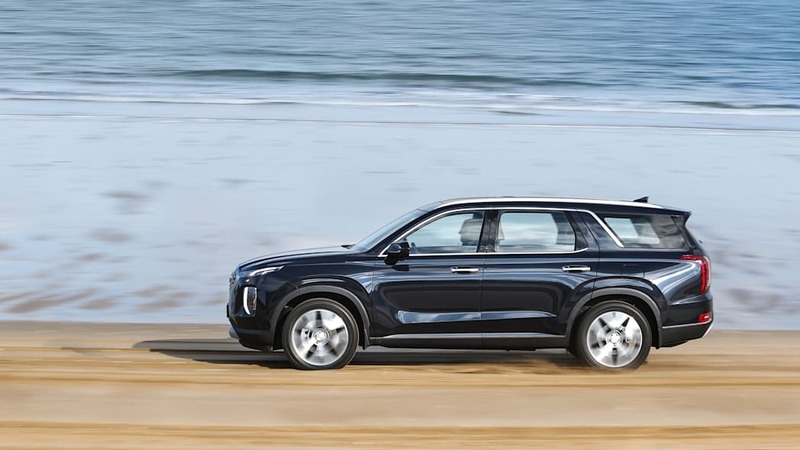 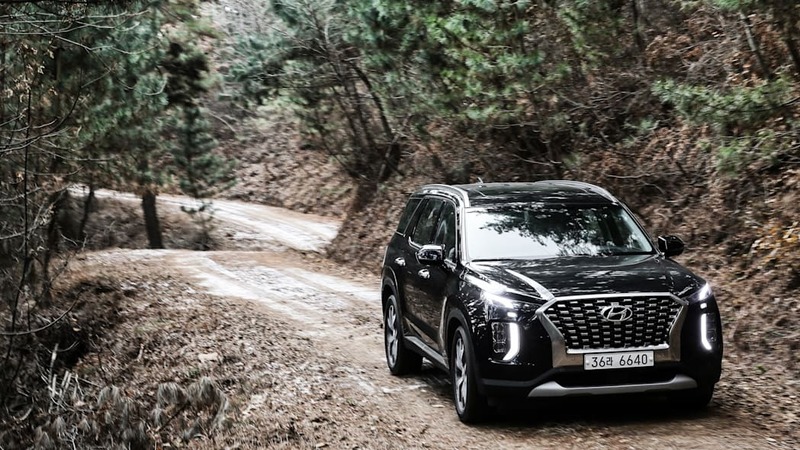 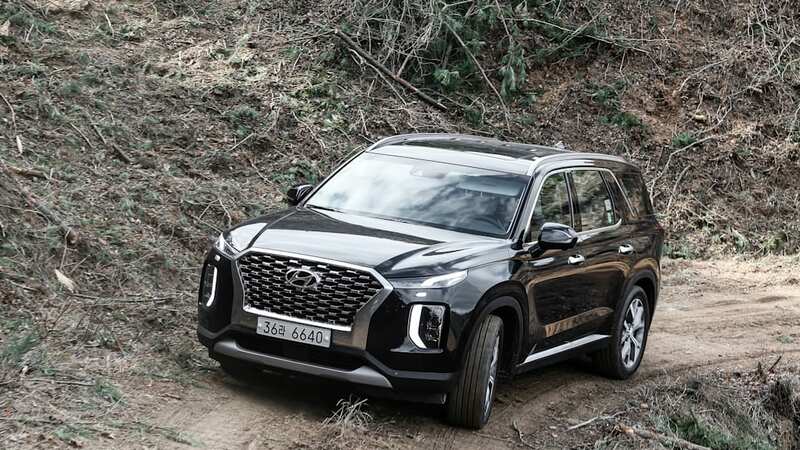 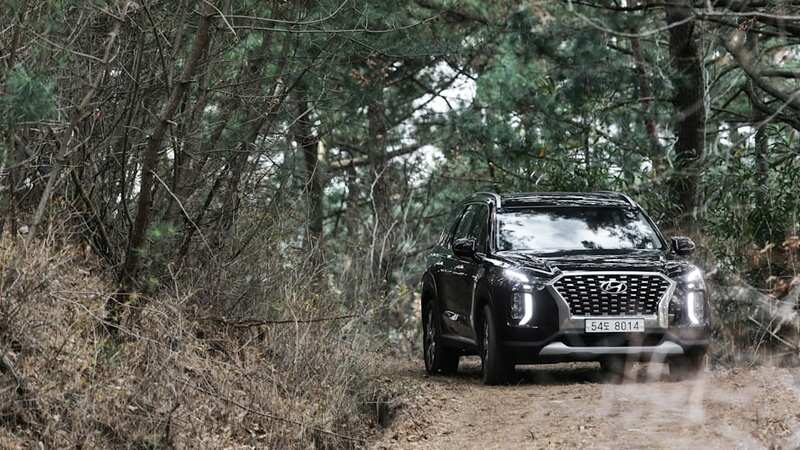 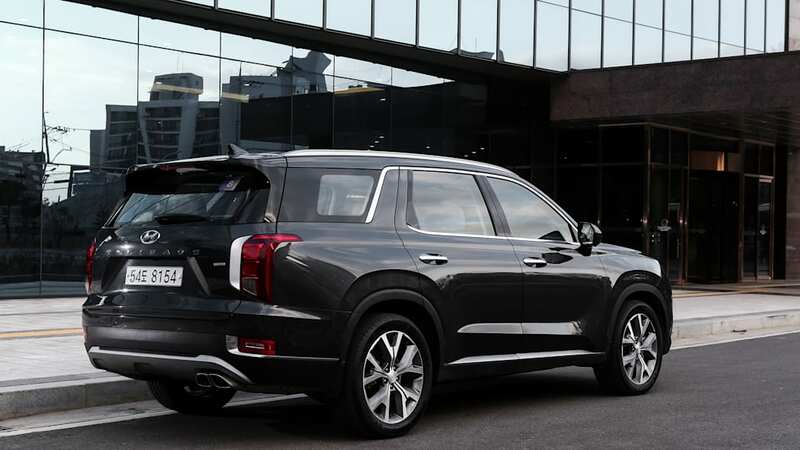 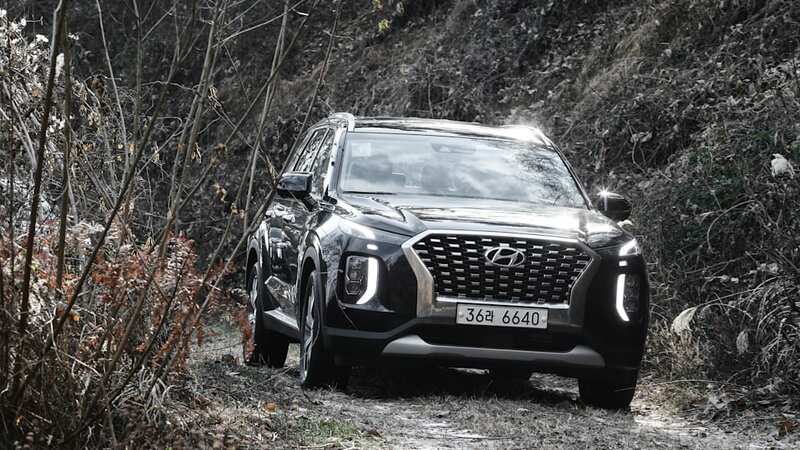 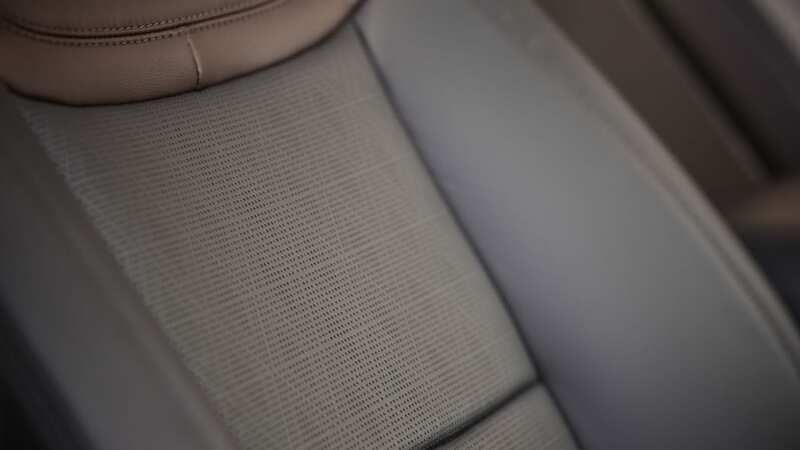 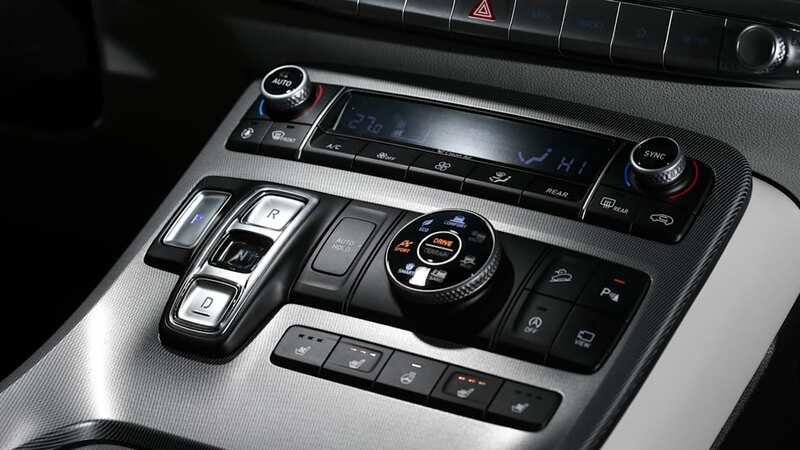 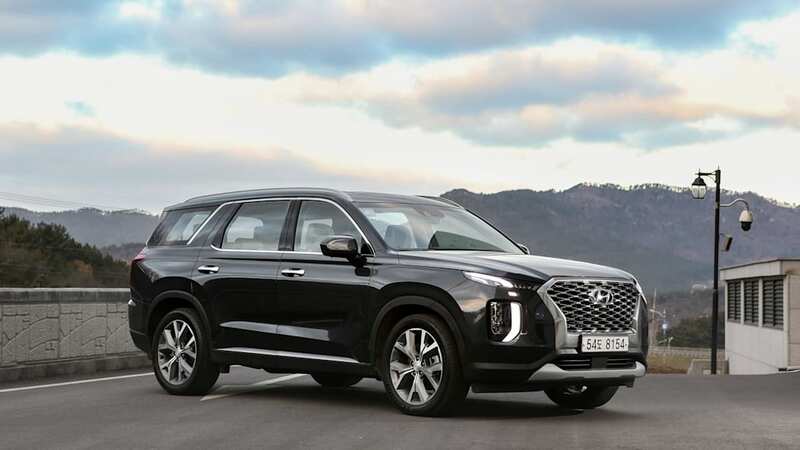 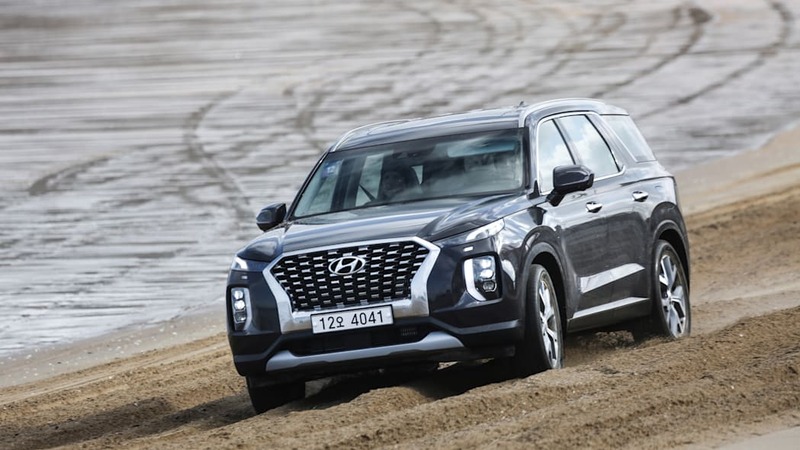 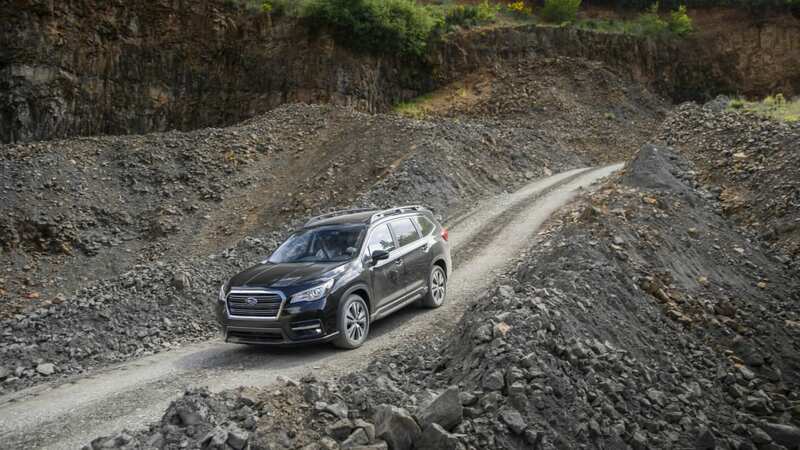 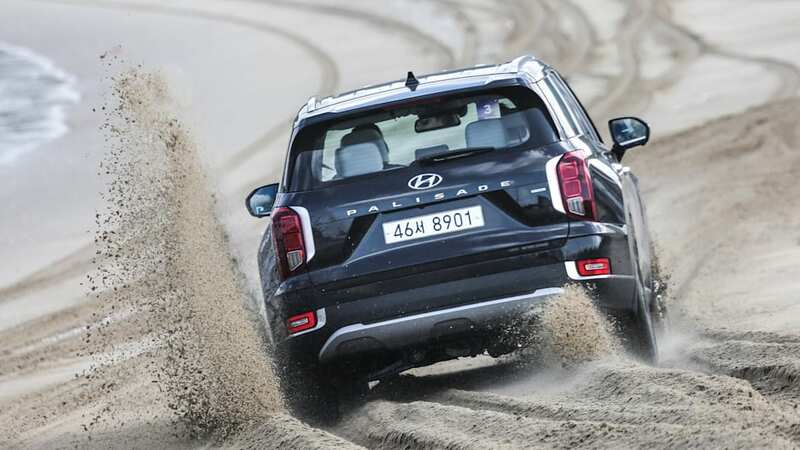 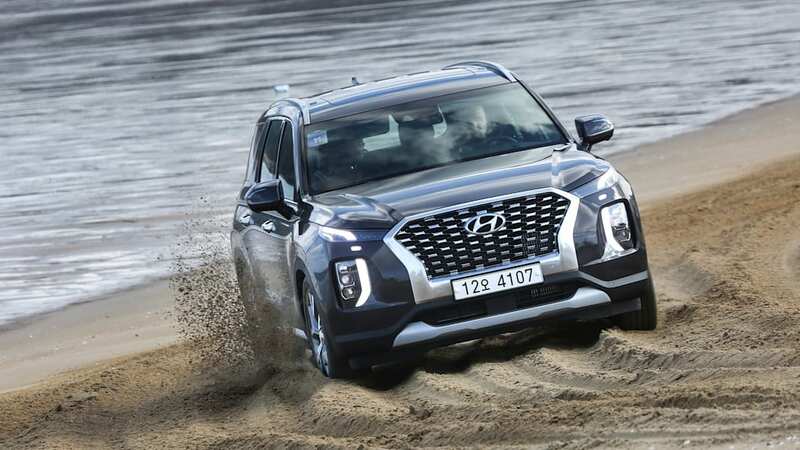 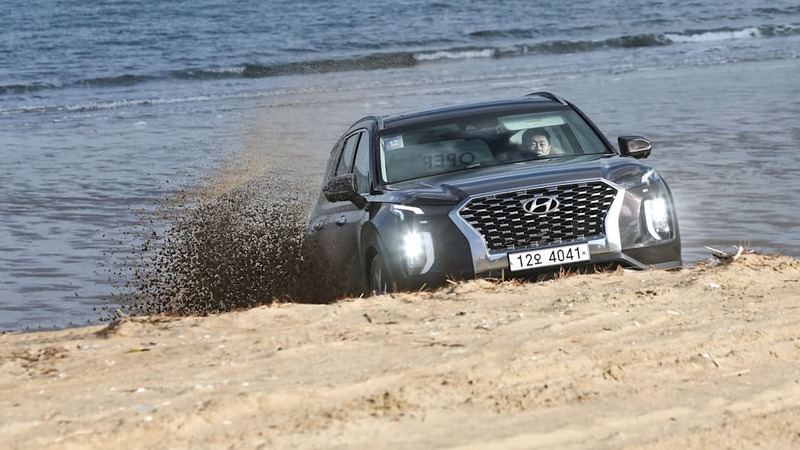 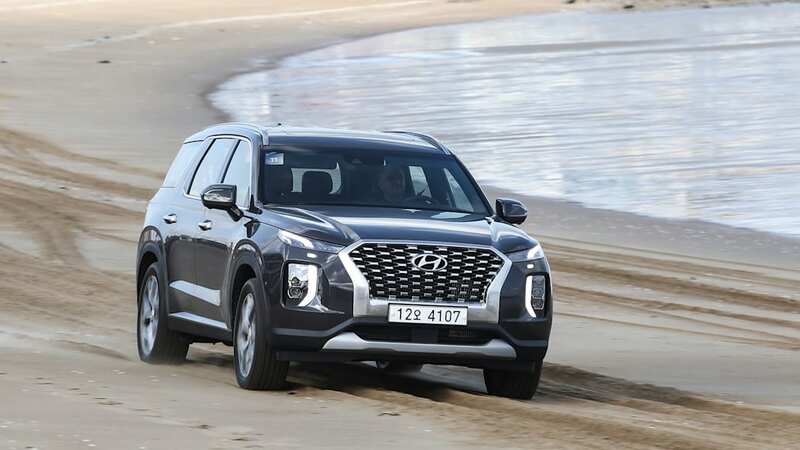 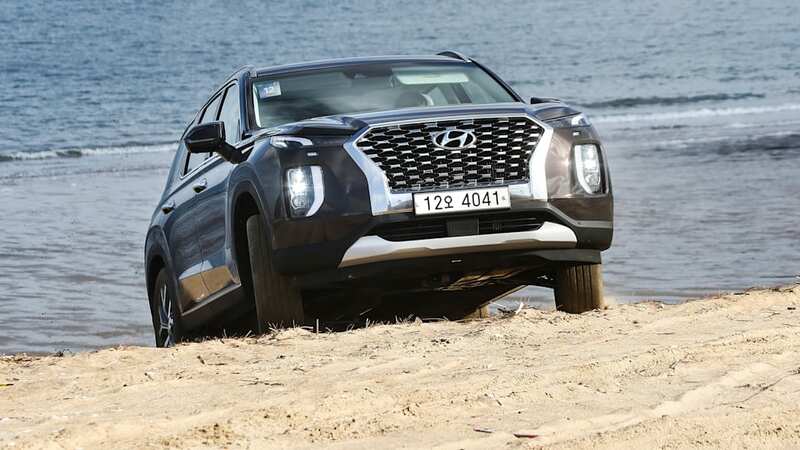 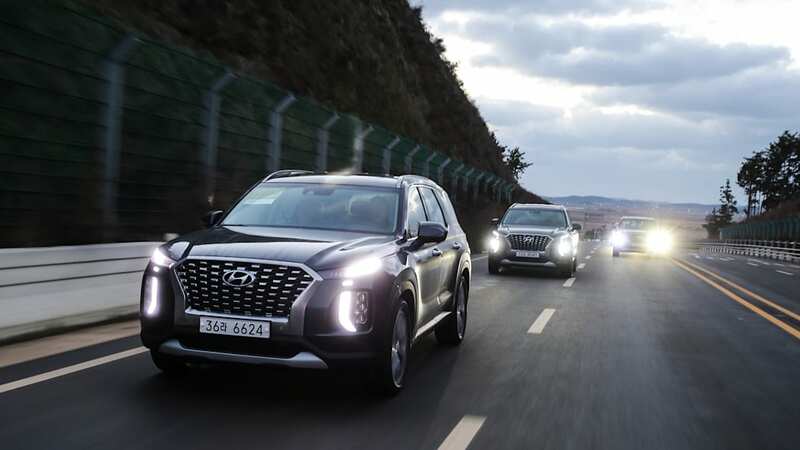 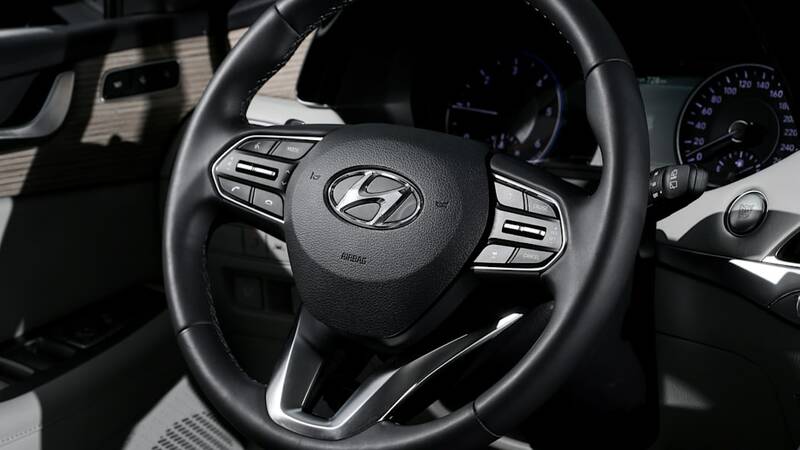 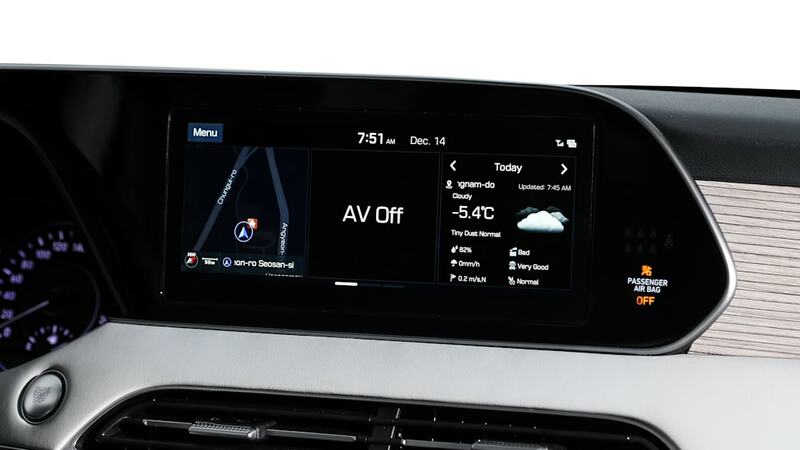 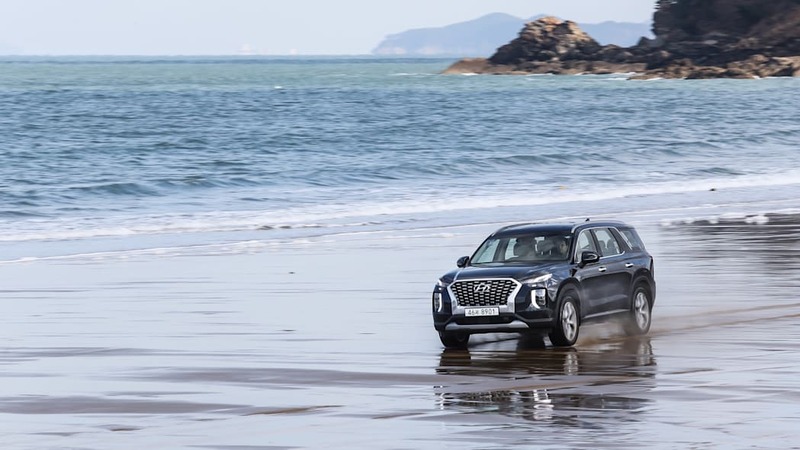 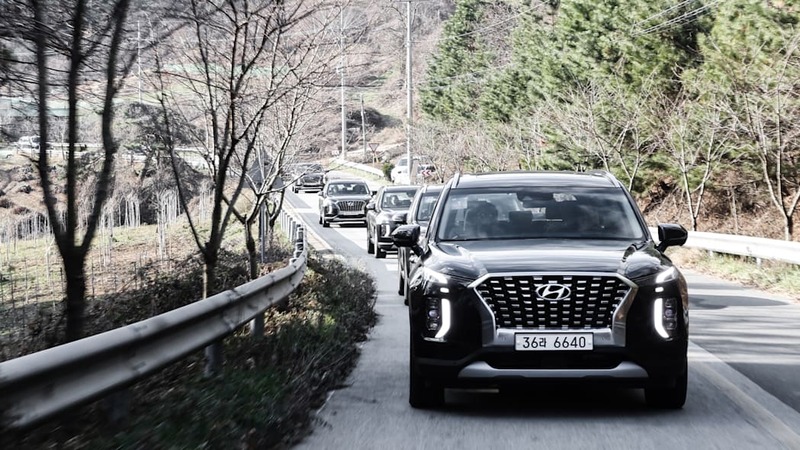 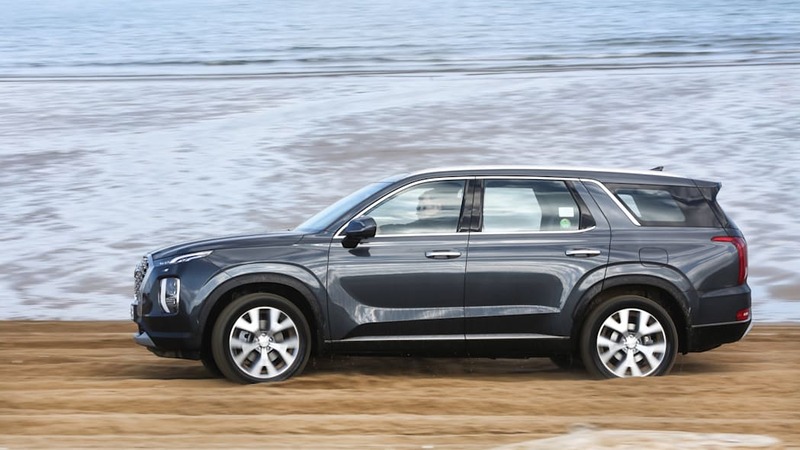 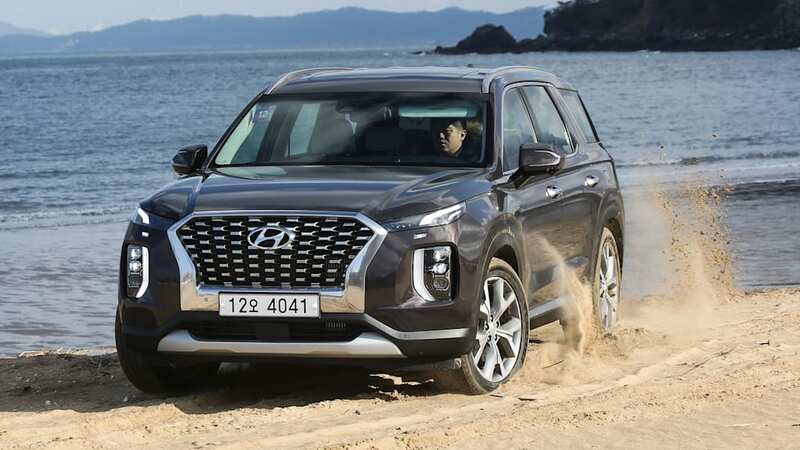 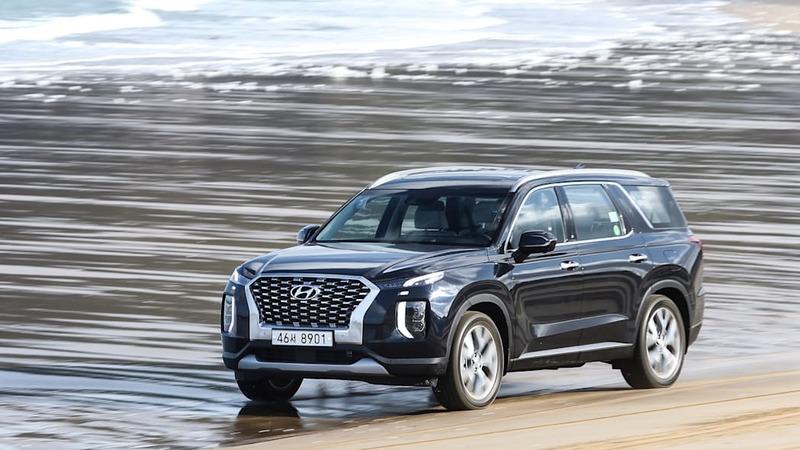 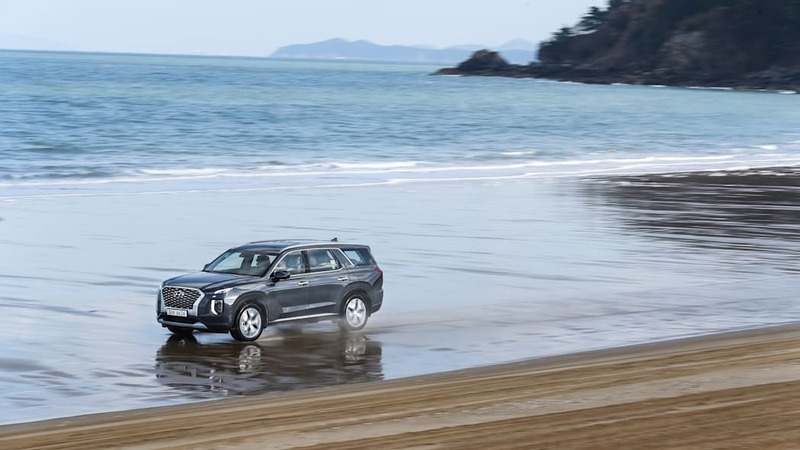 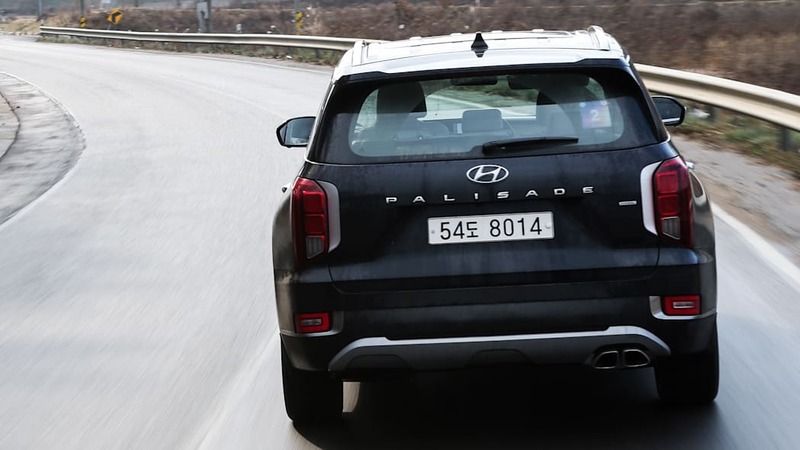 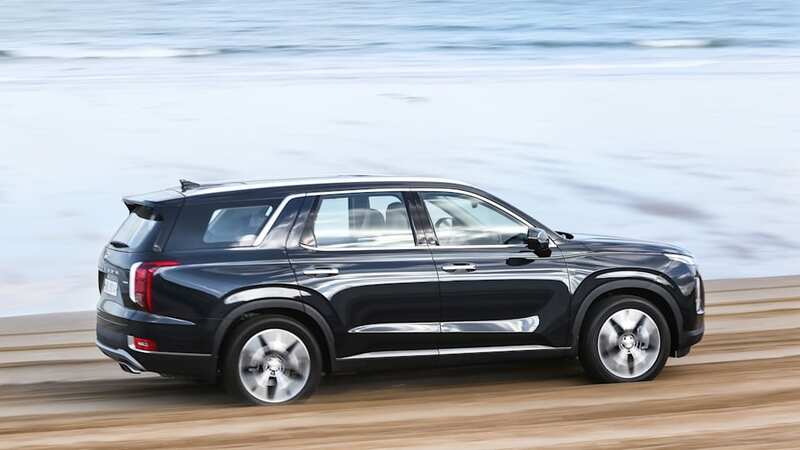 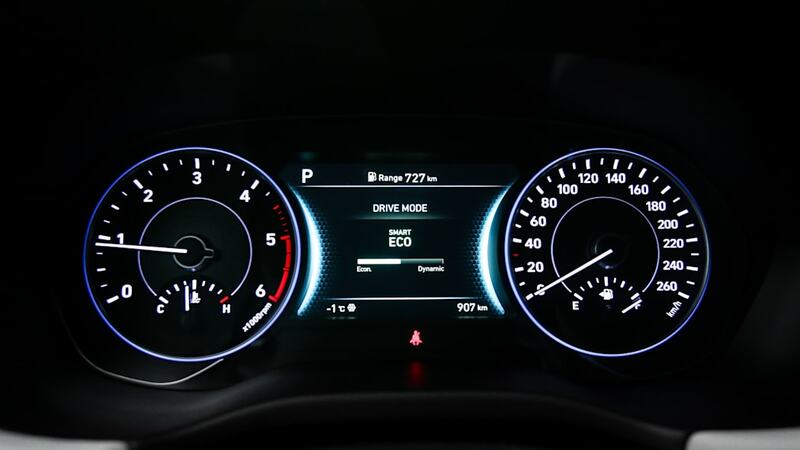 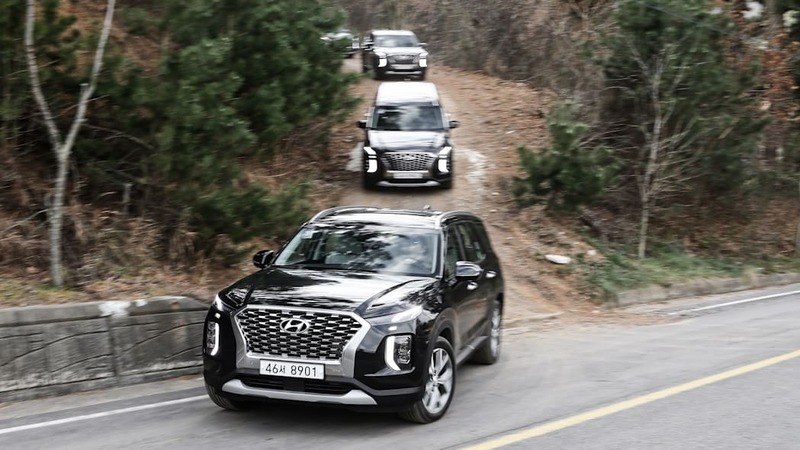 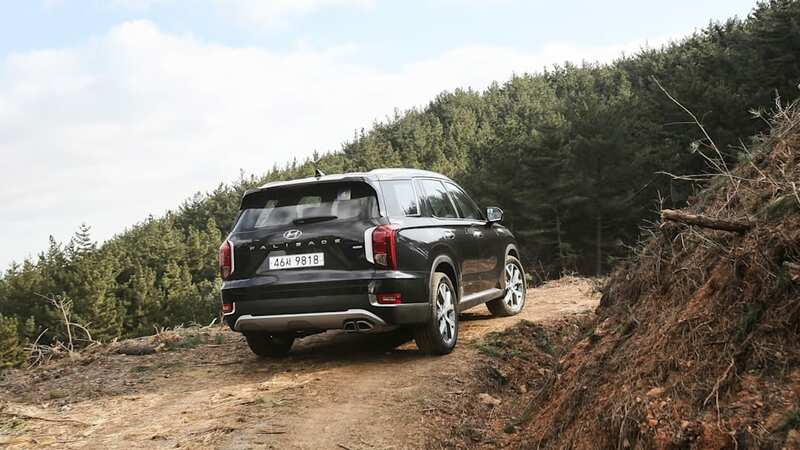 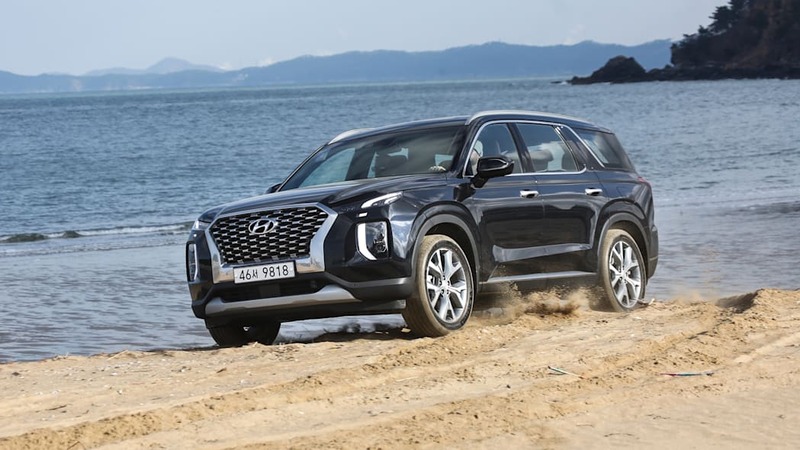 The Hyundai Palisade takes the cake, however, by providing all of the above as standard equipment along with a driver inattention warning system. 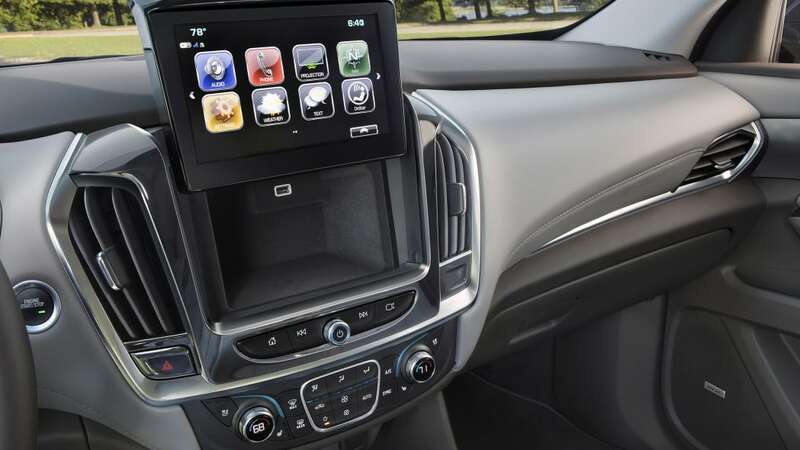 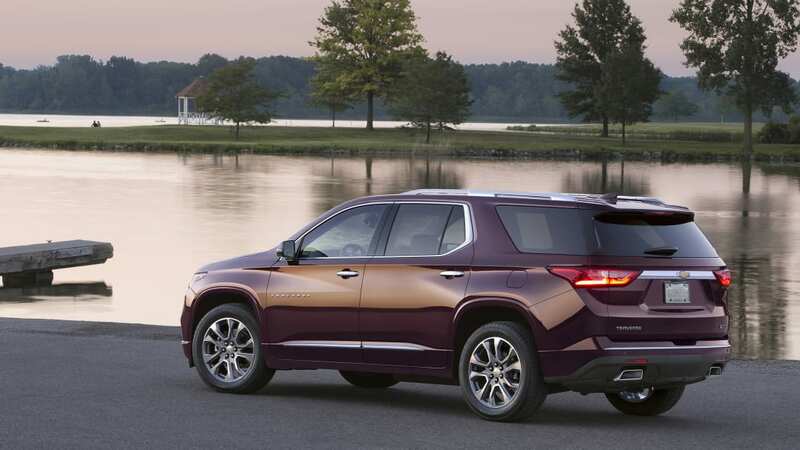 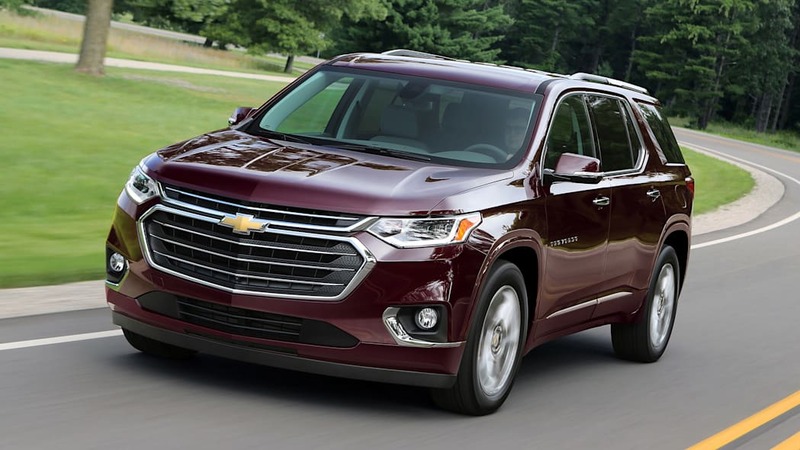 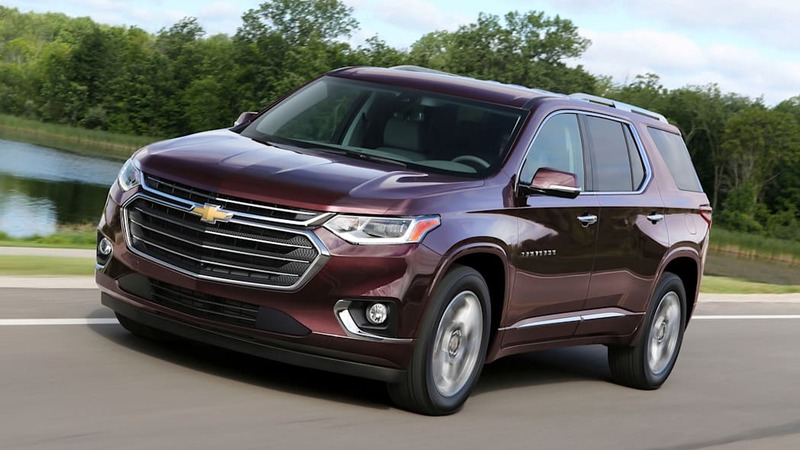 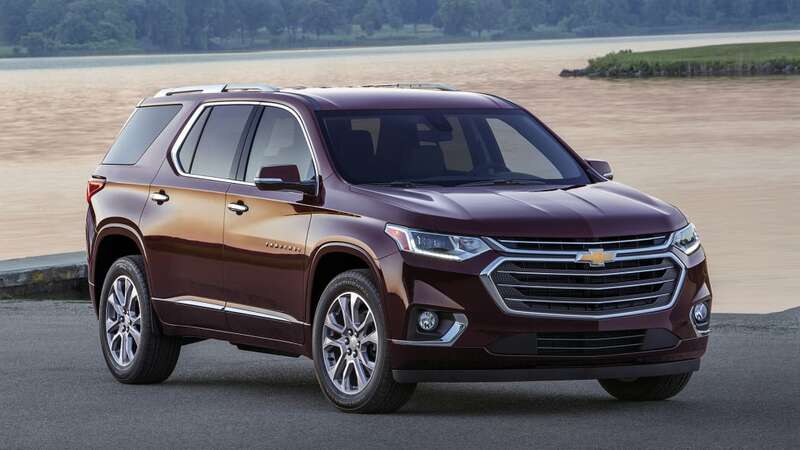 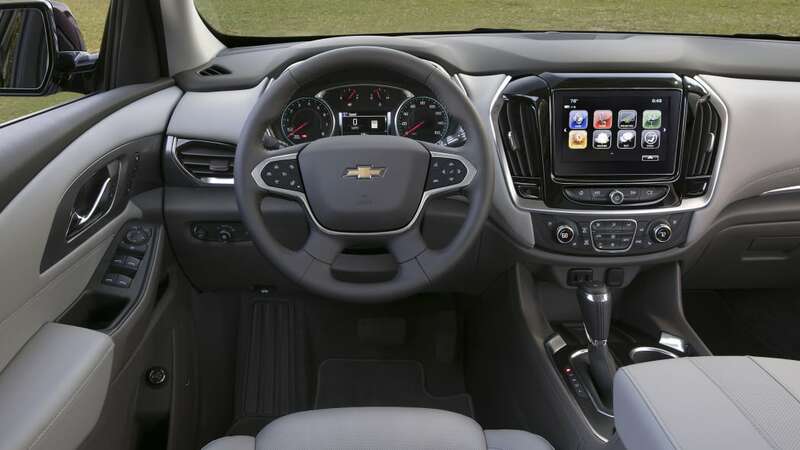 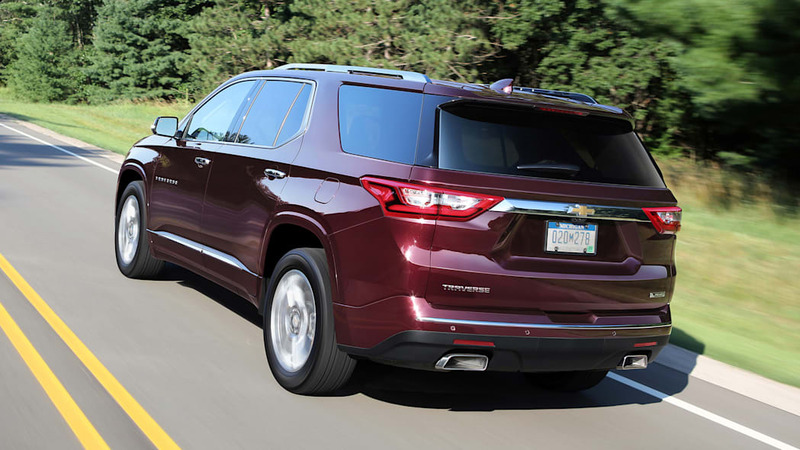 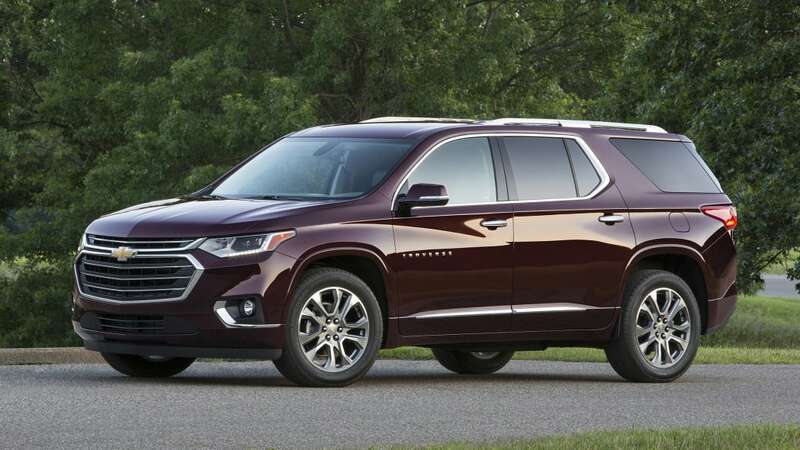 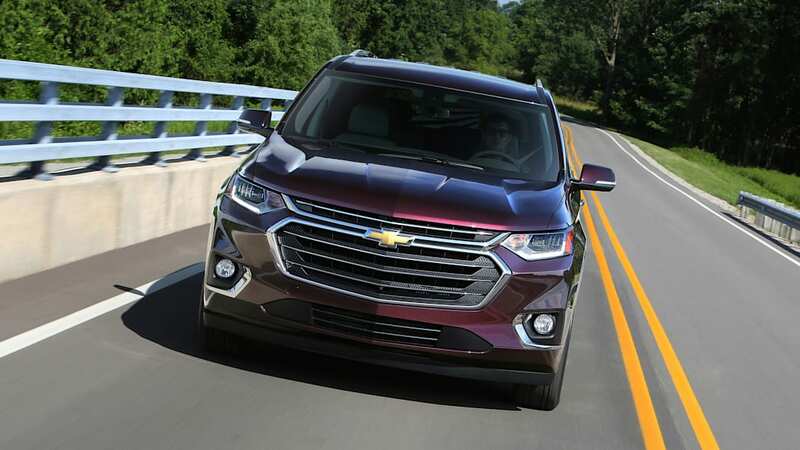 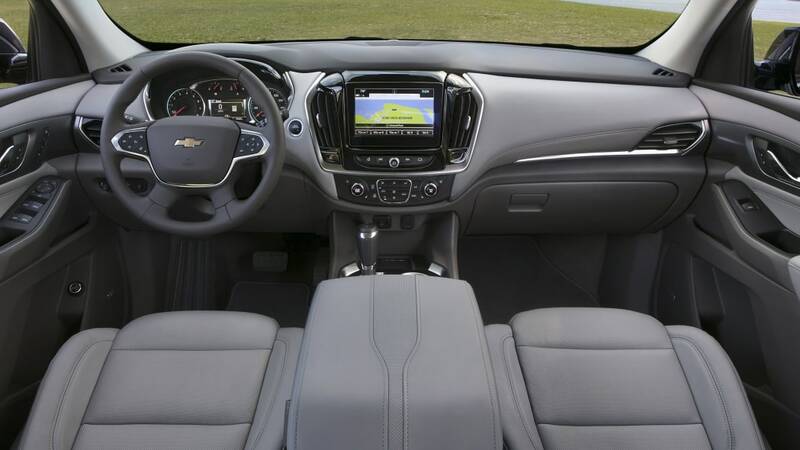 Then there's the Chevrolet Traverse, which is going against the industry trend. 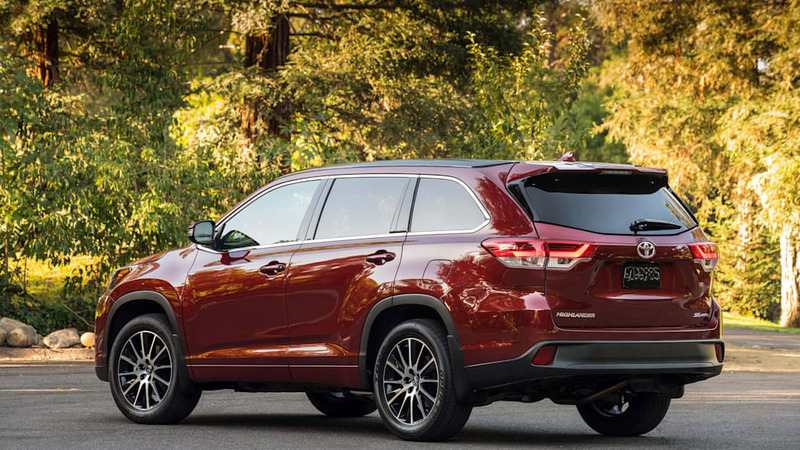 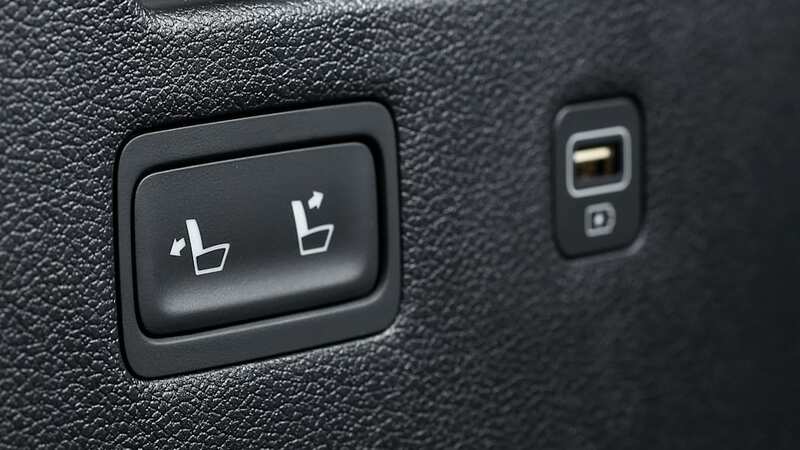 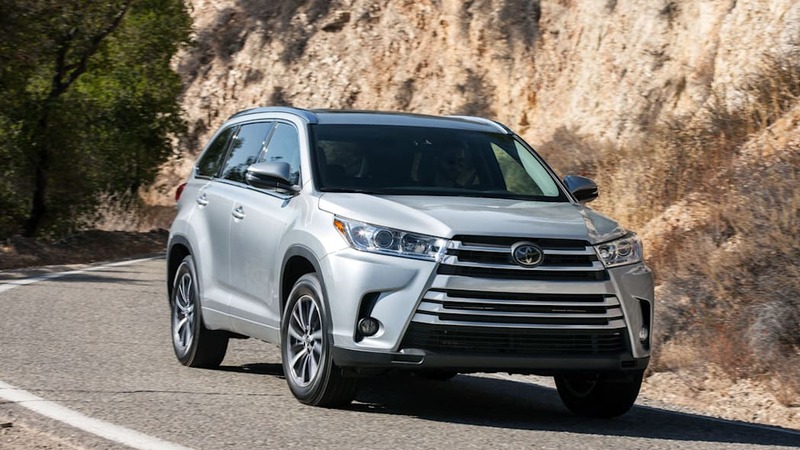 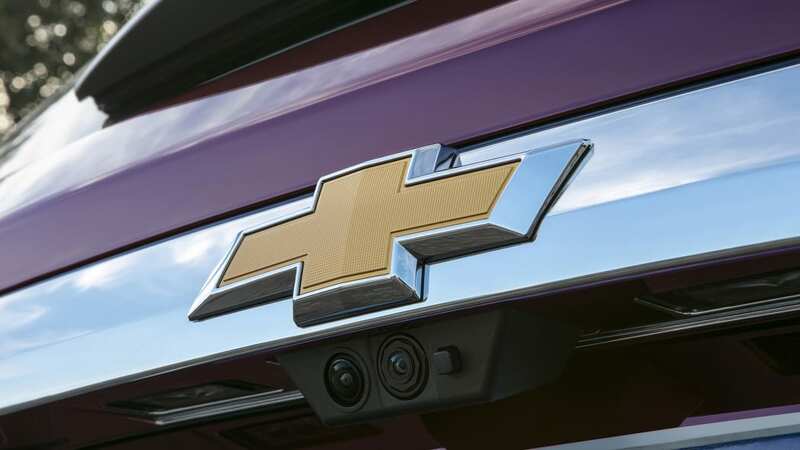 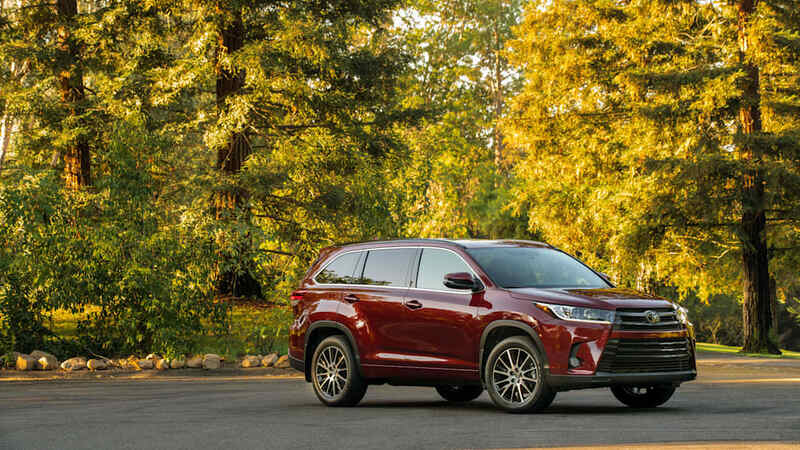 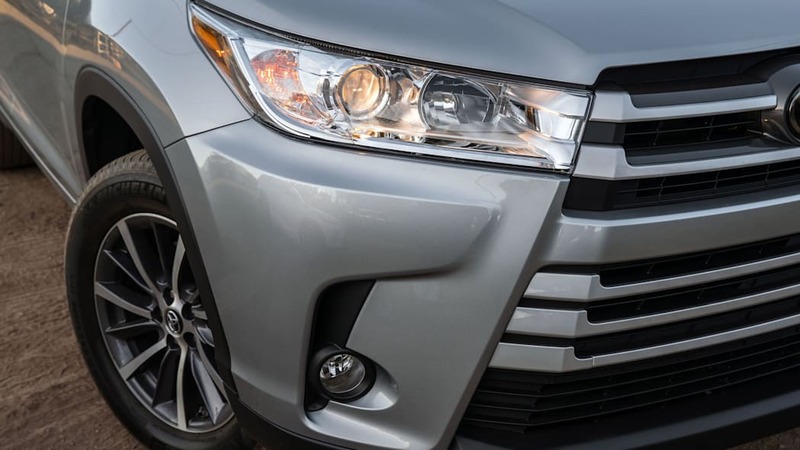 Blind-spot and rear cross-traffic don't show up until the LT trim level (standard with AWD, optional with FWD), while forward collision warning and automatic emergency braking are only available on the range-topping Premier (optional) and High Country (standard) trim levels. 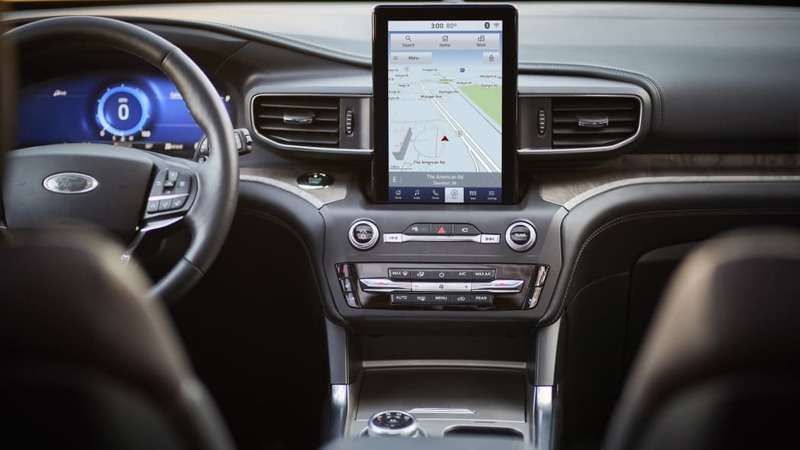 The optional vertically oriented 10.3-inch screen.